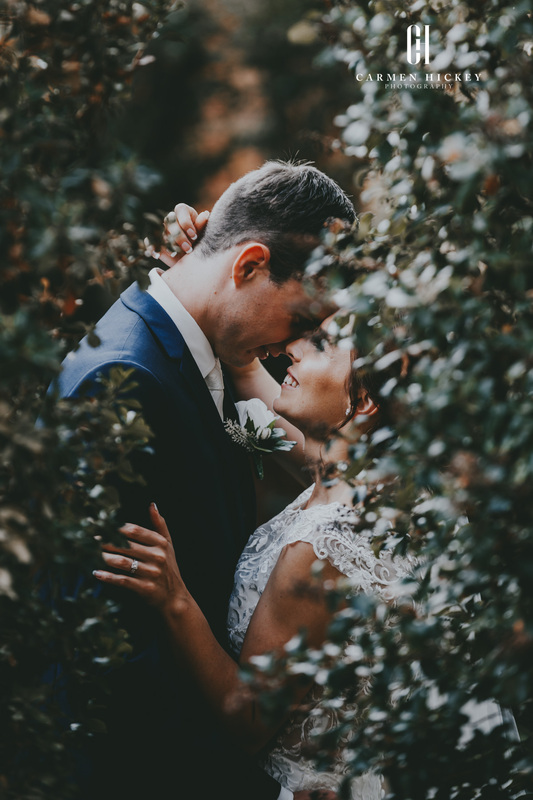 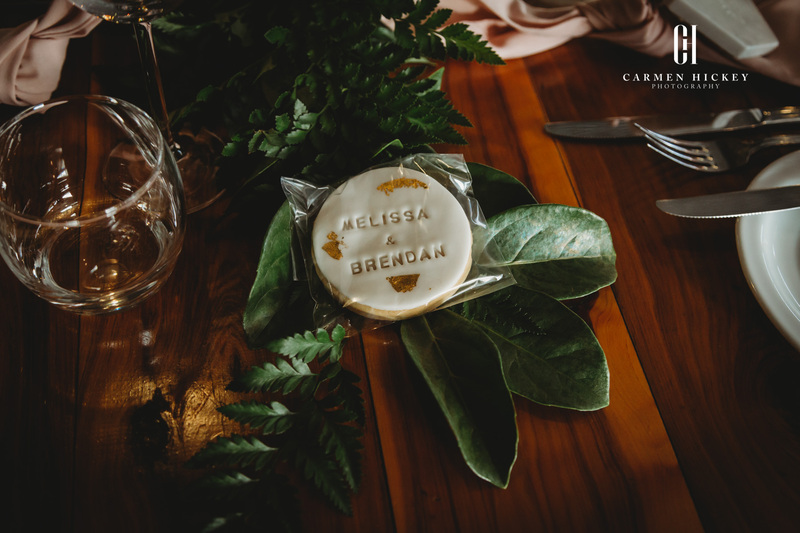 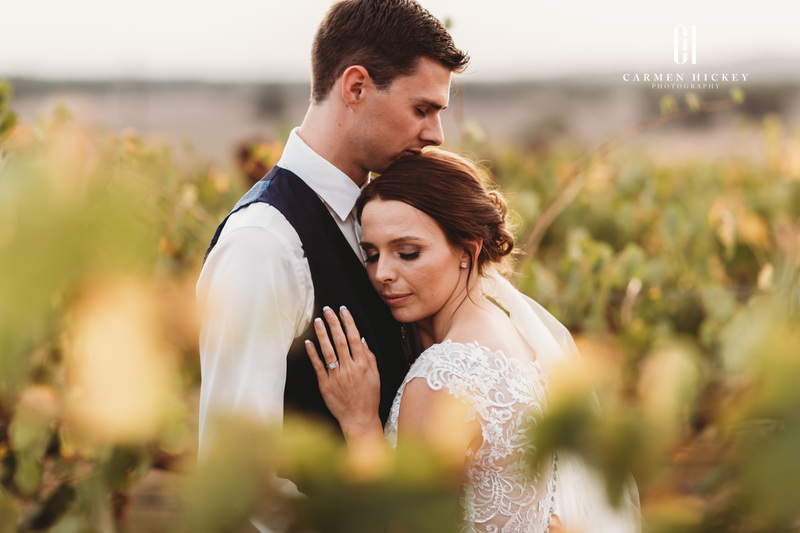 I got to know Brendan and Mel whilst capturing their engagement photographs and it was evident the love and respect they held for each other. 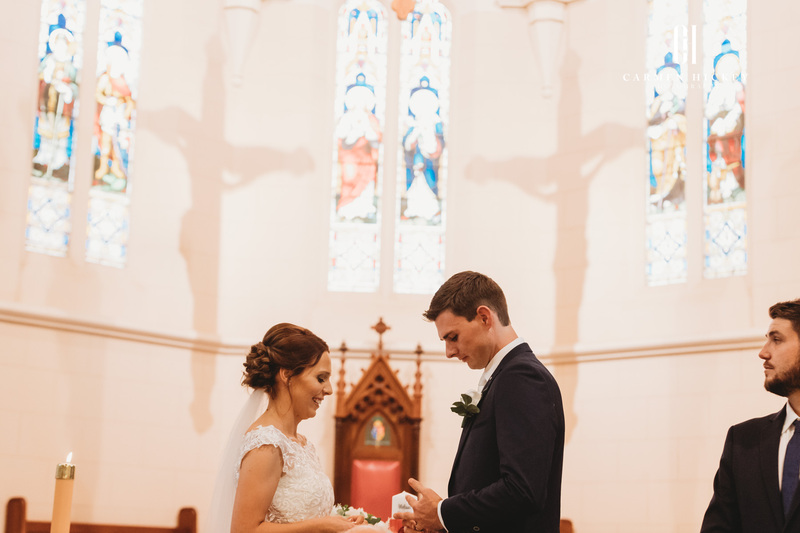 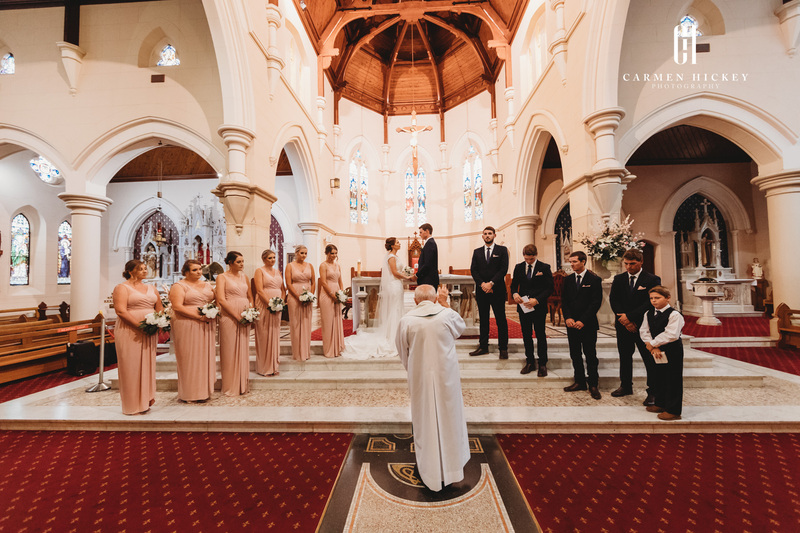 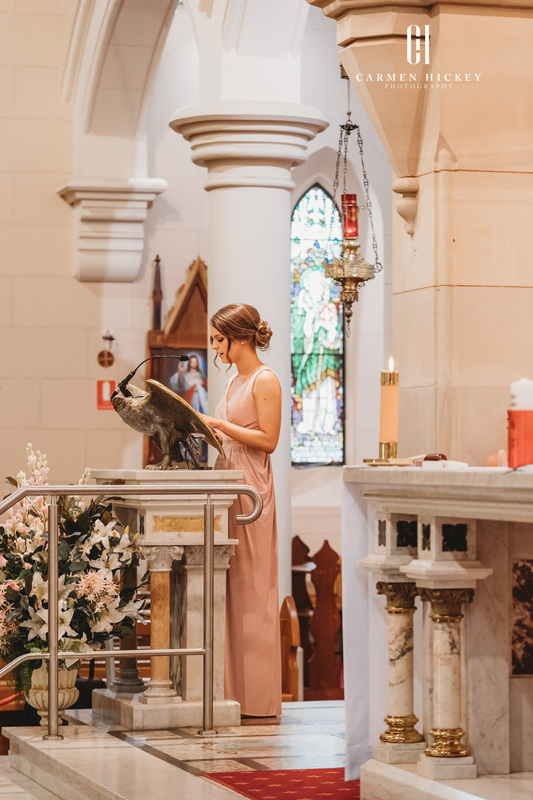 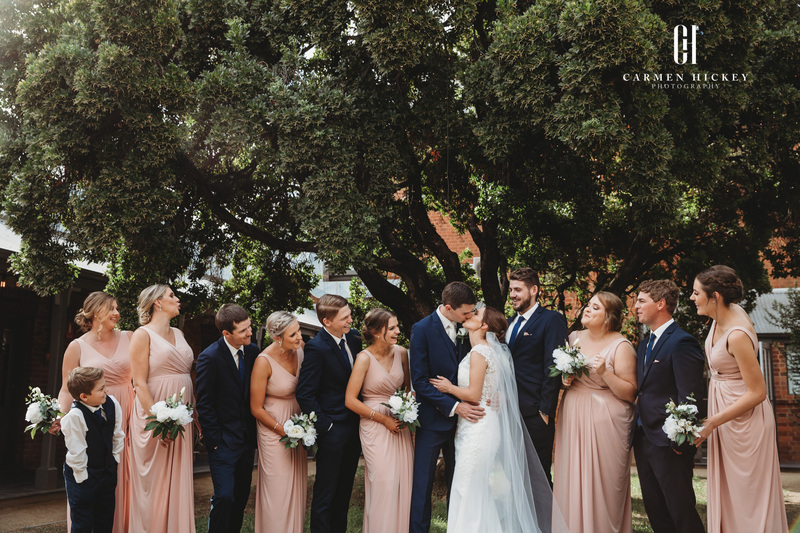 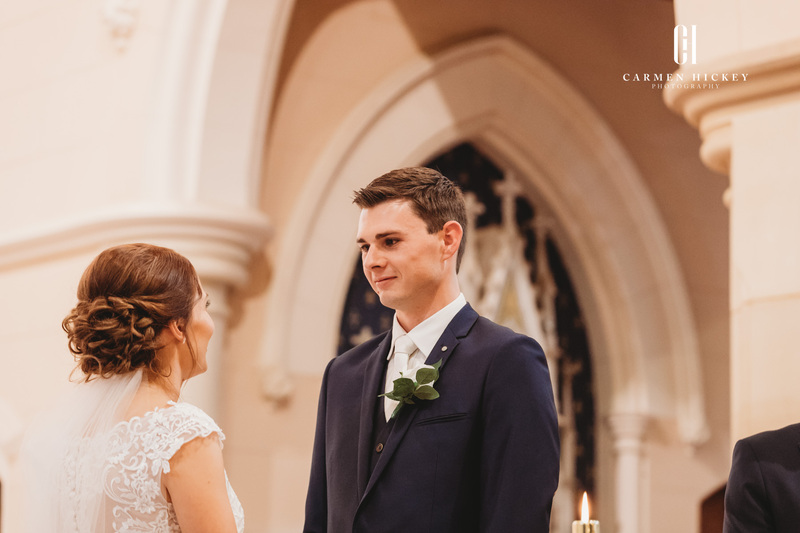 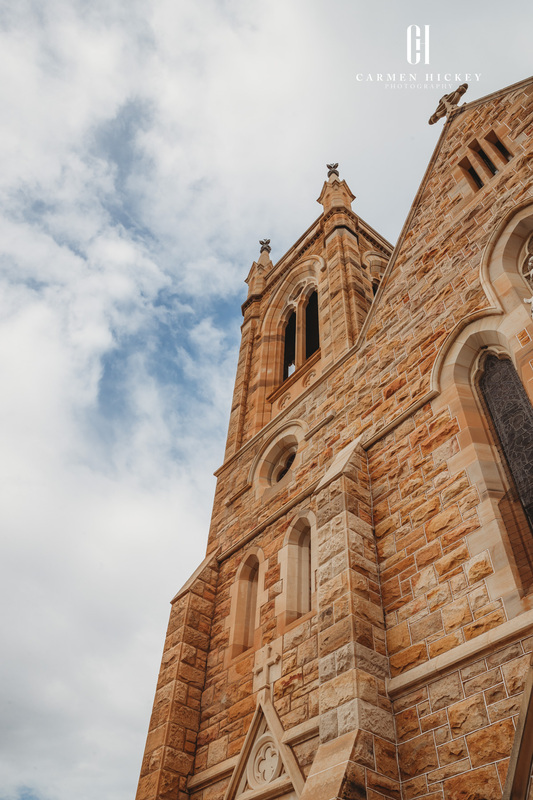 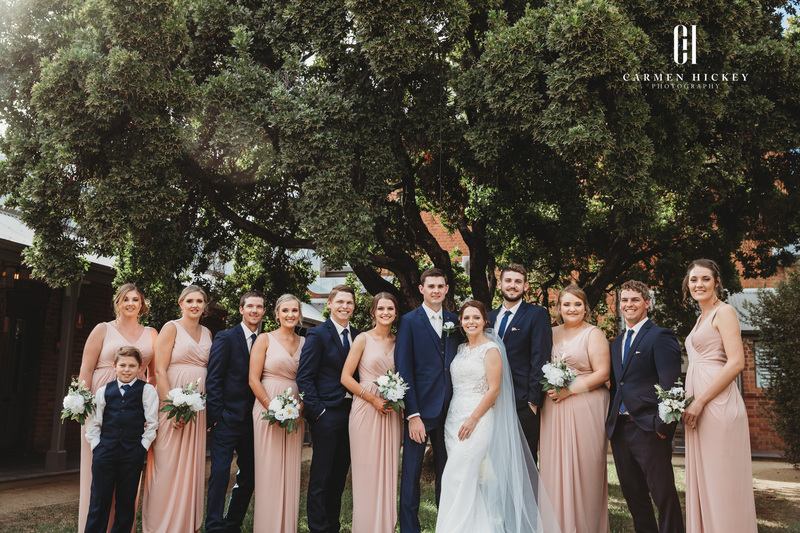 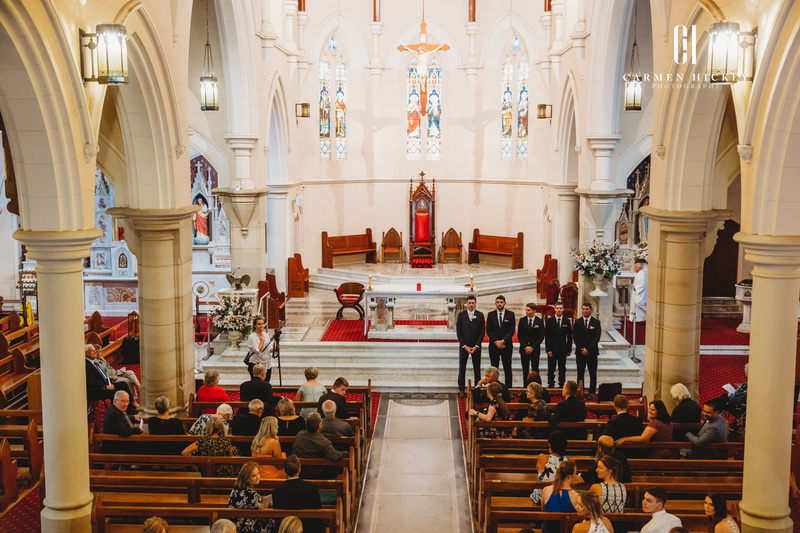 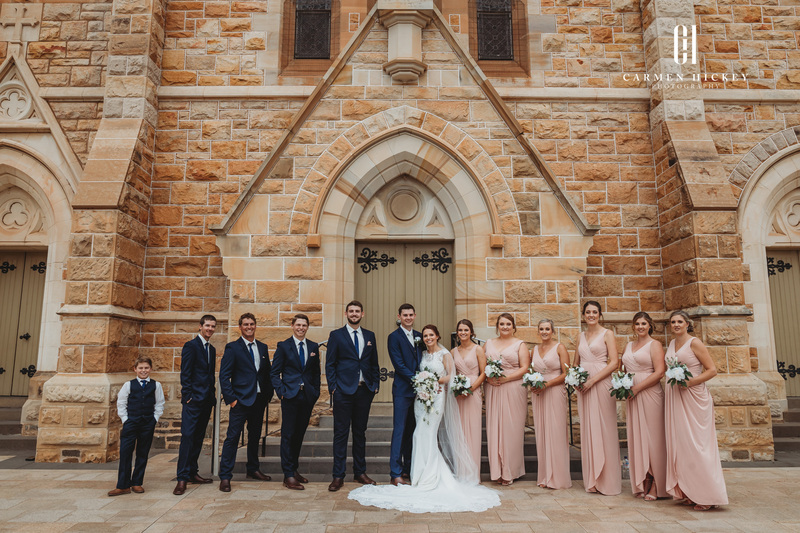 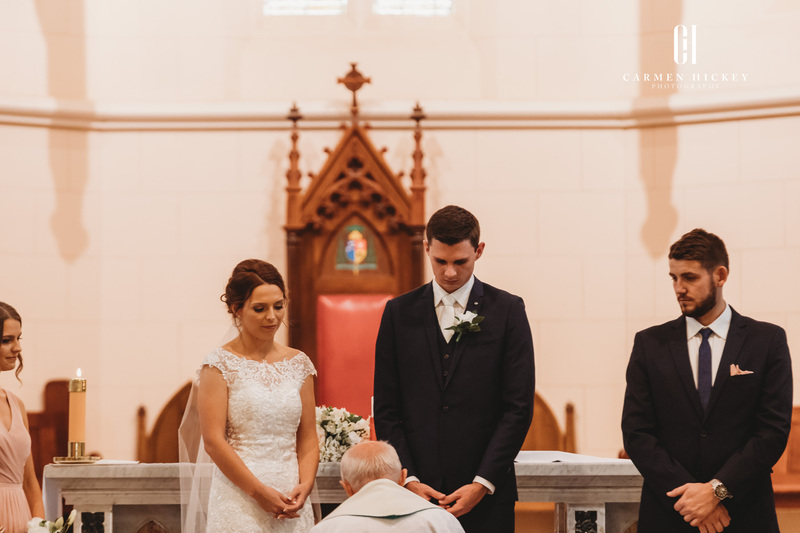 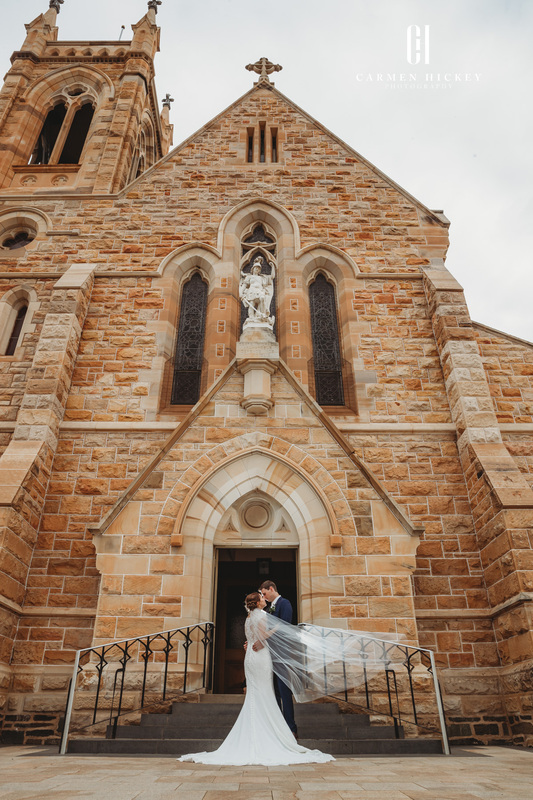 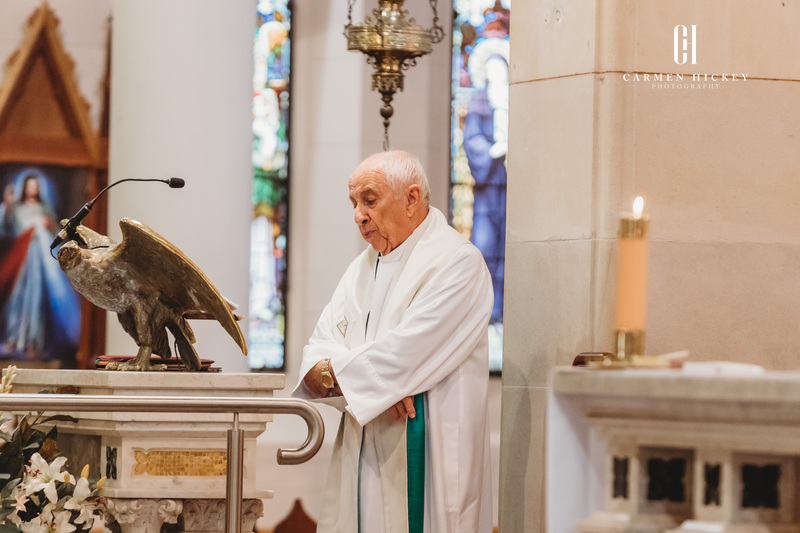 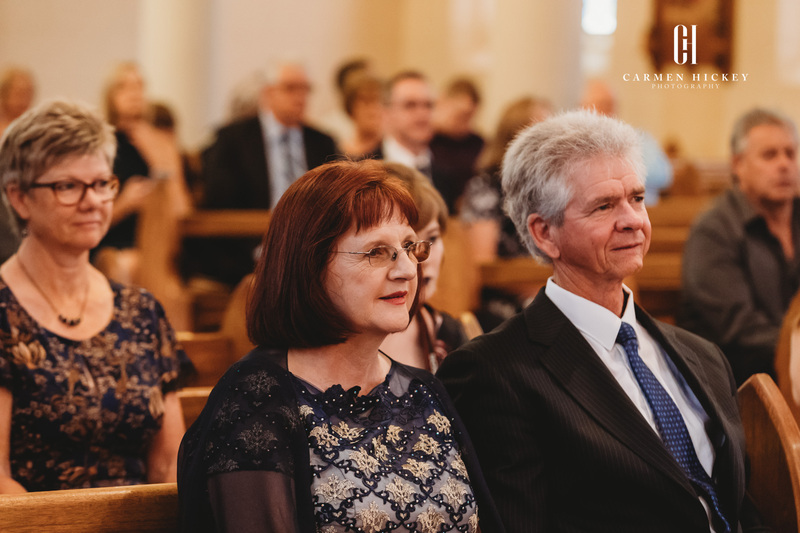 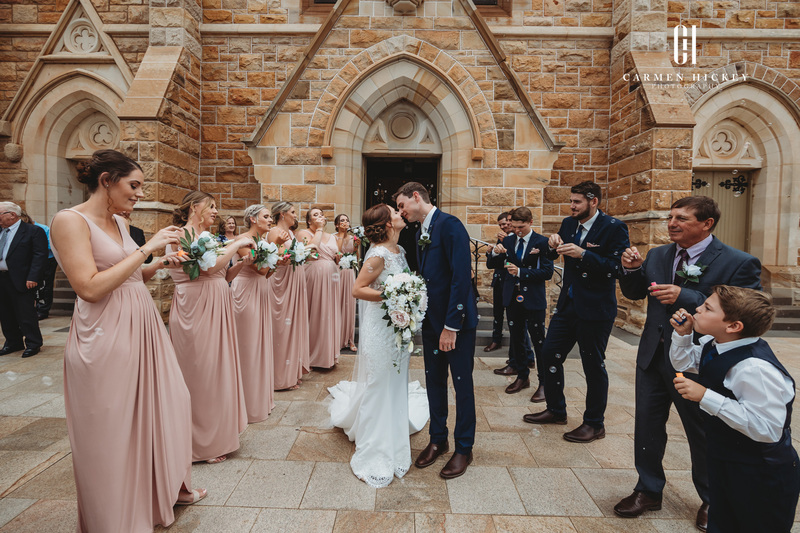 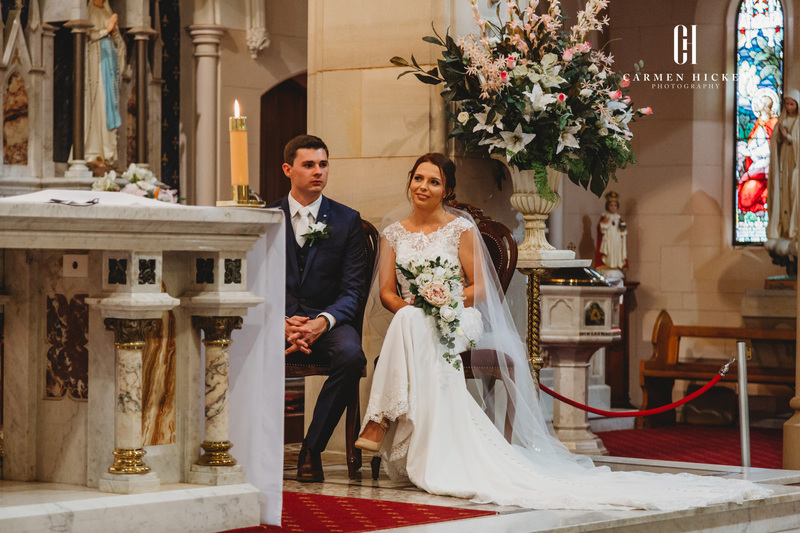 On Saturday, this beautiful couple said their vows in front of family and friends at St Michael’s Cathedral in Wagga Wagga NSW. 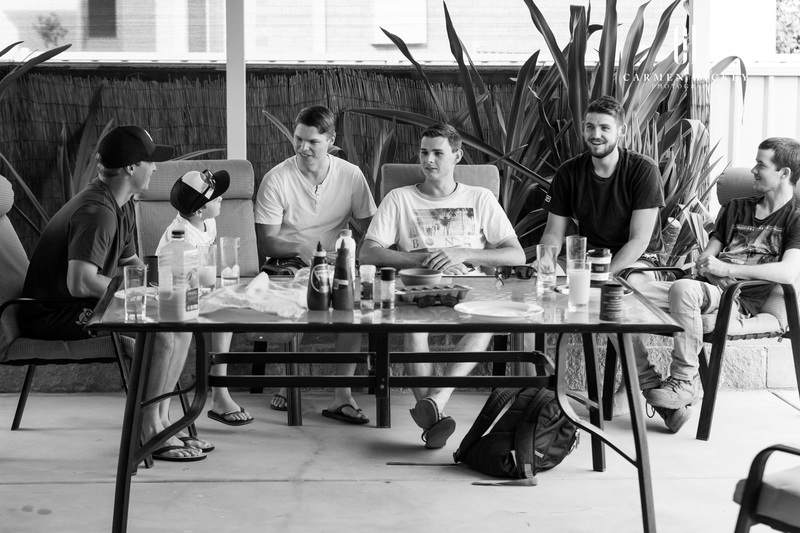 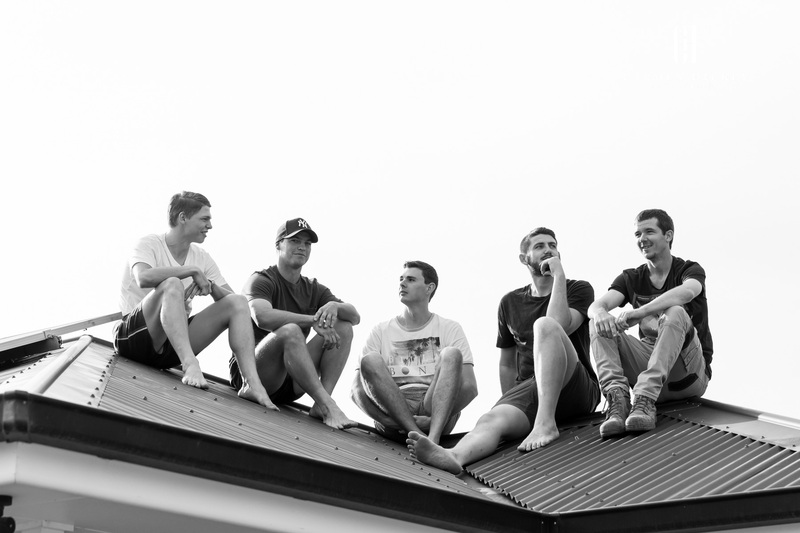 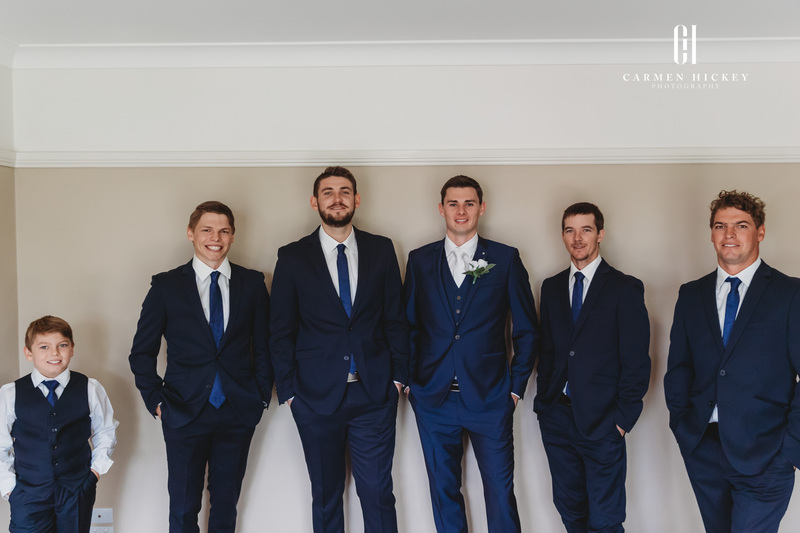 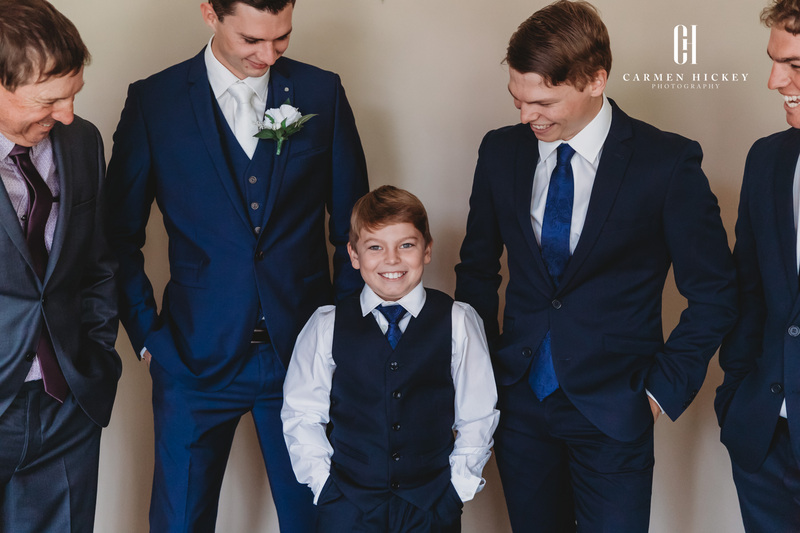 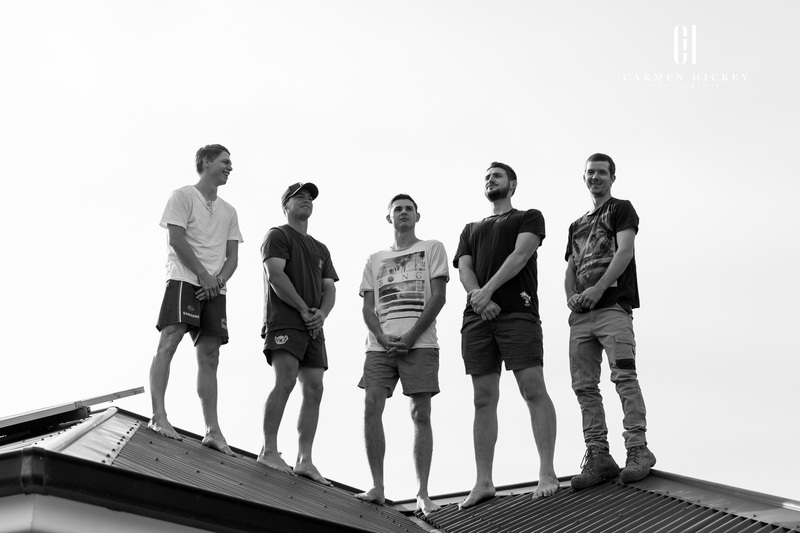 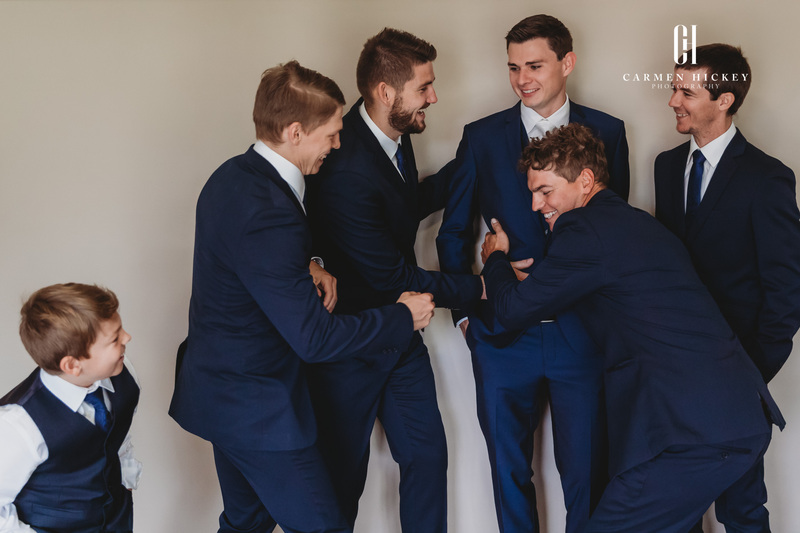 We all had a great laugh when the Bestman – Reece, thinking it was a great idea to get some photographs on the roof of his house. 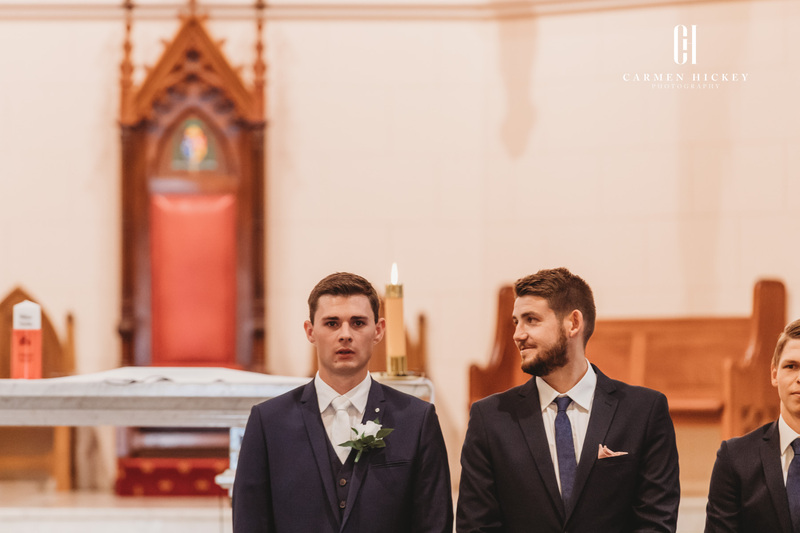 Oh dear, we all were worried, especially when I told them “all good, jump down” and literally one of the groomsman did, lucky not to break his neck. 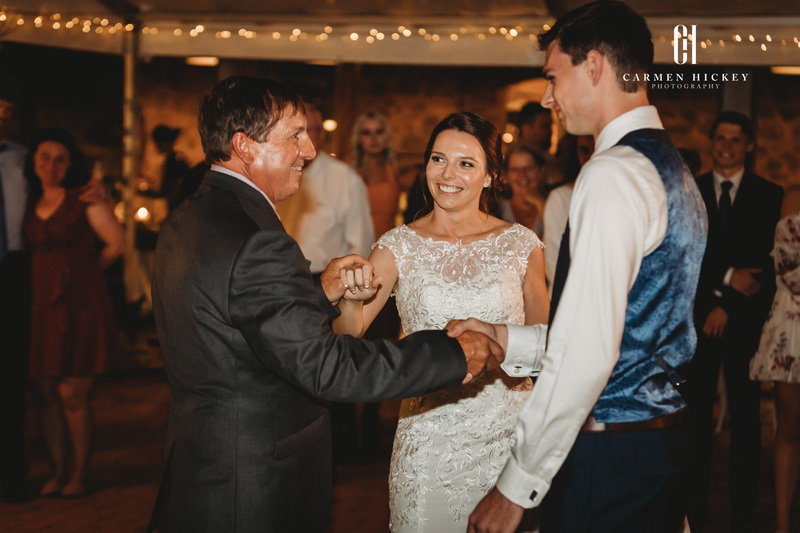 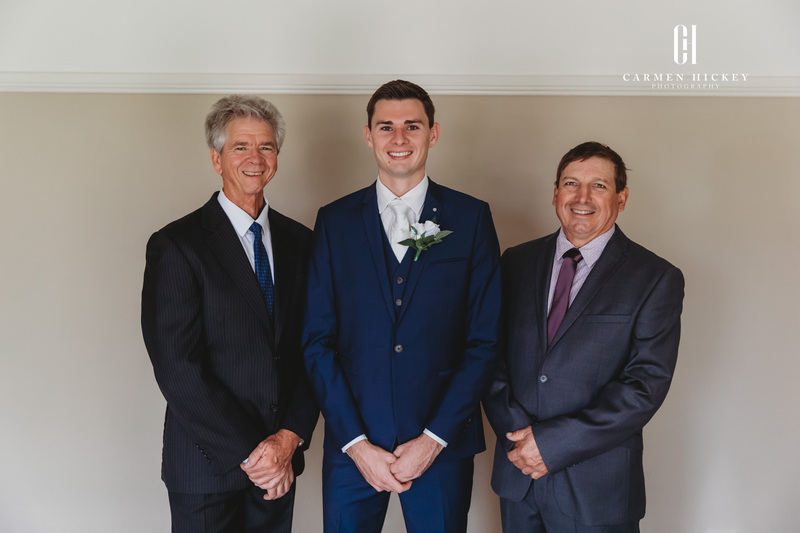 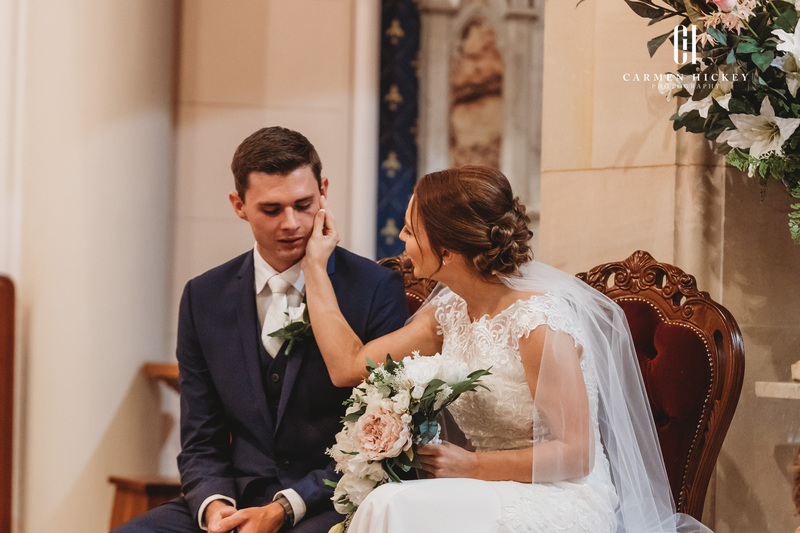 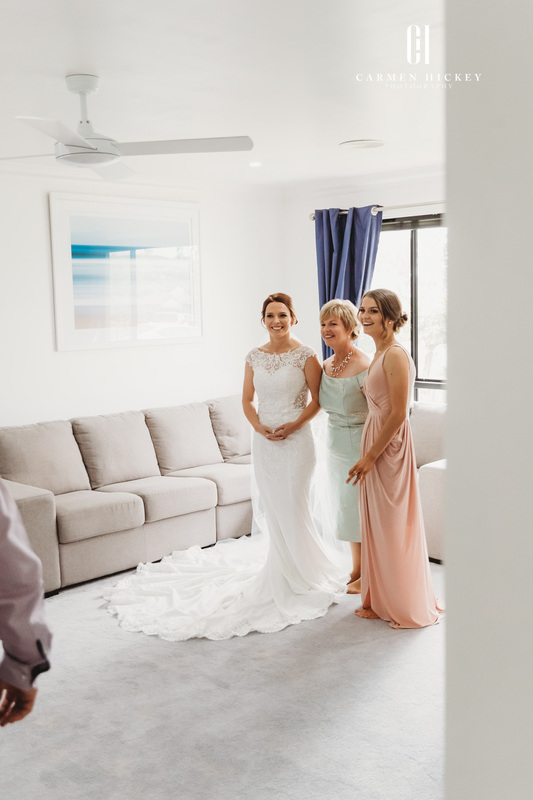 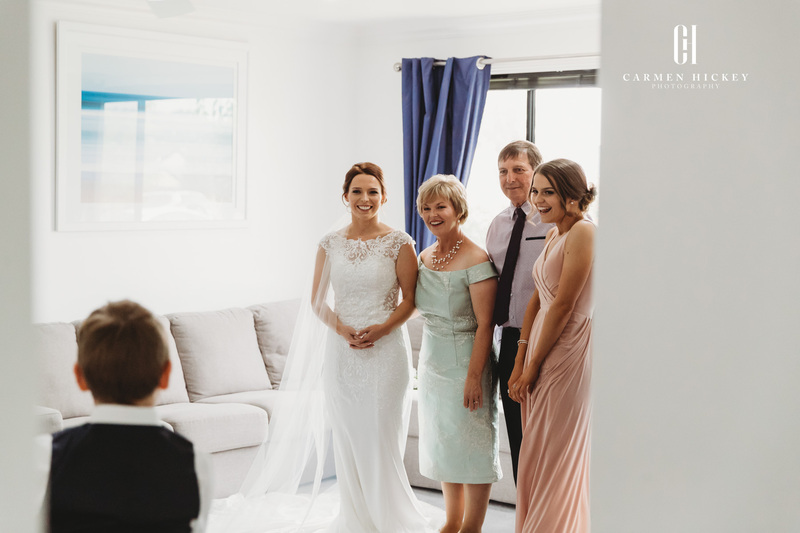 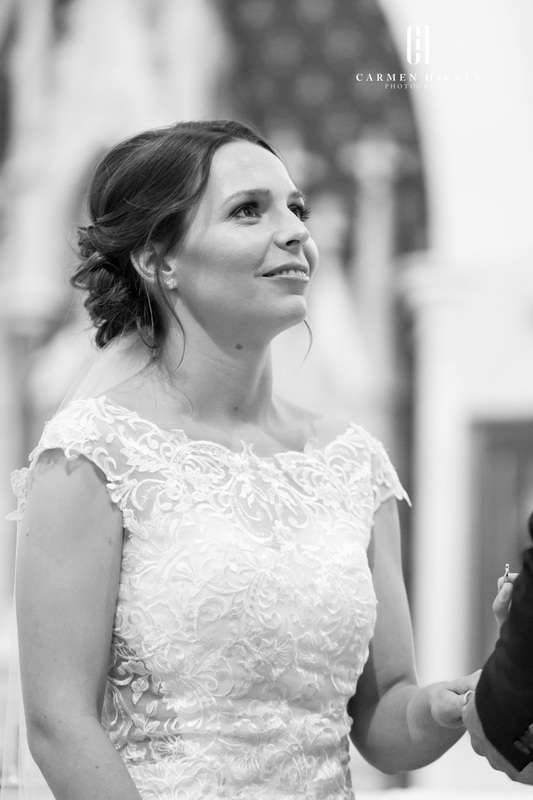 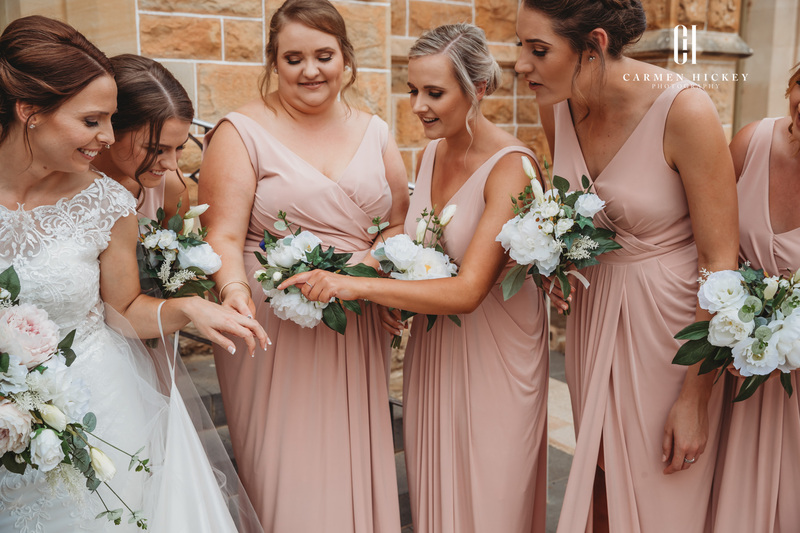 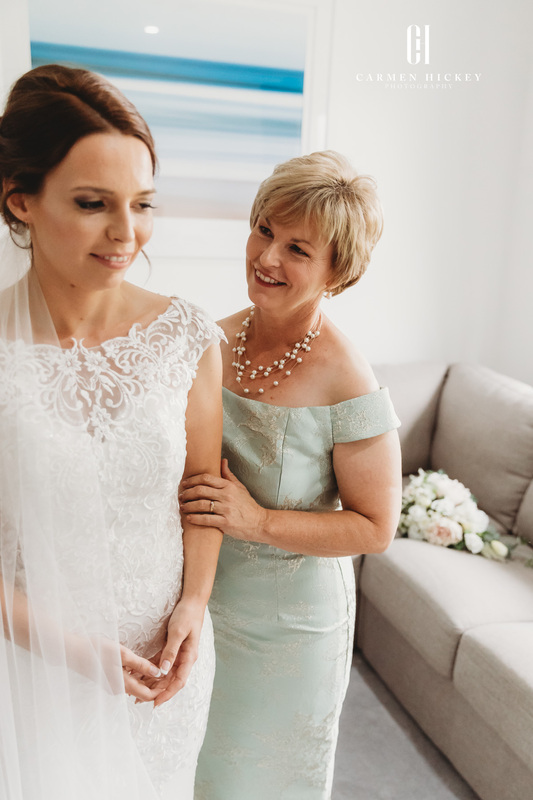 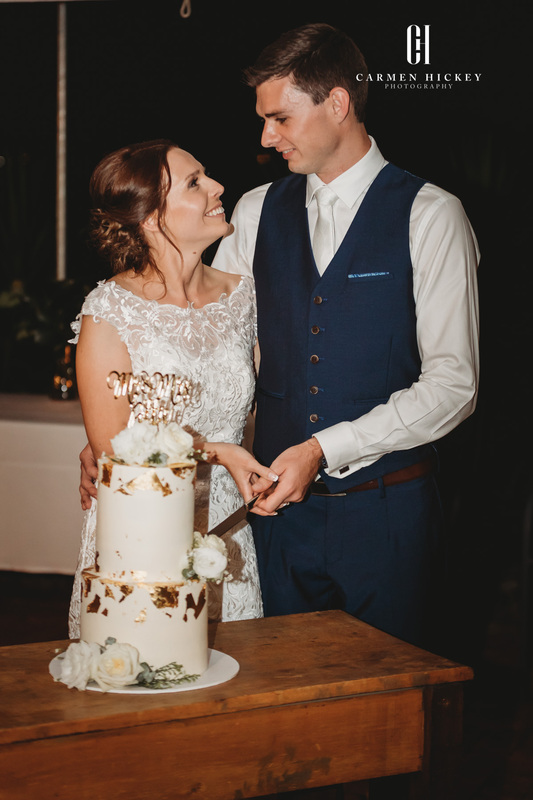 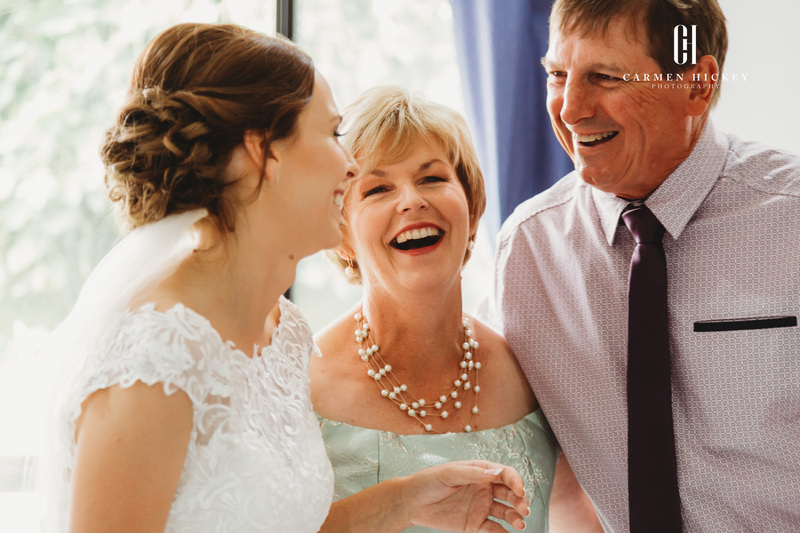 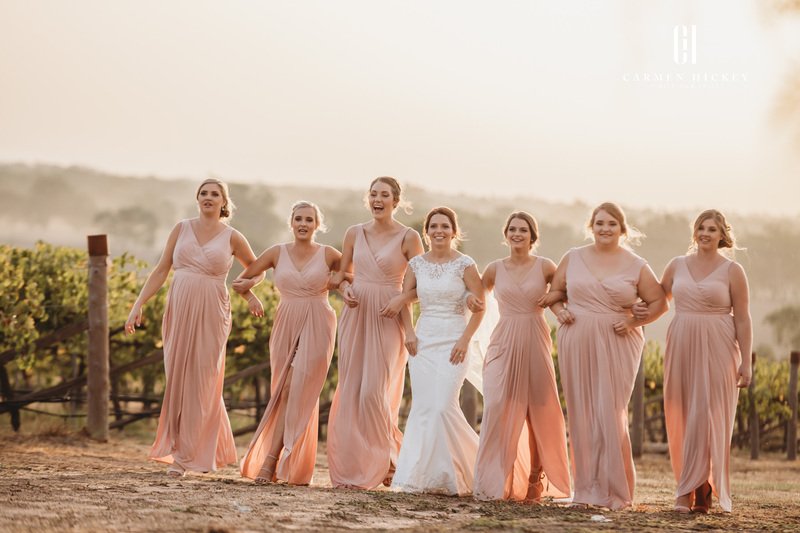 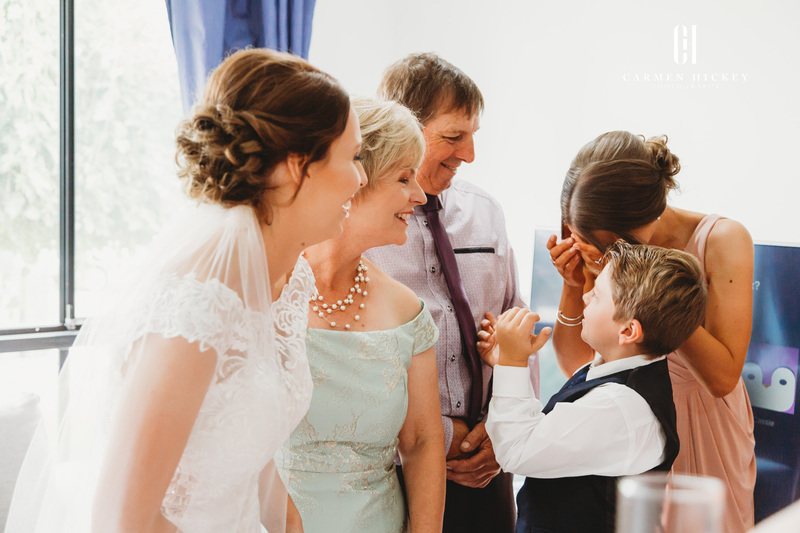 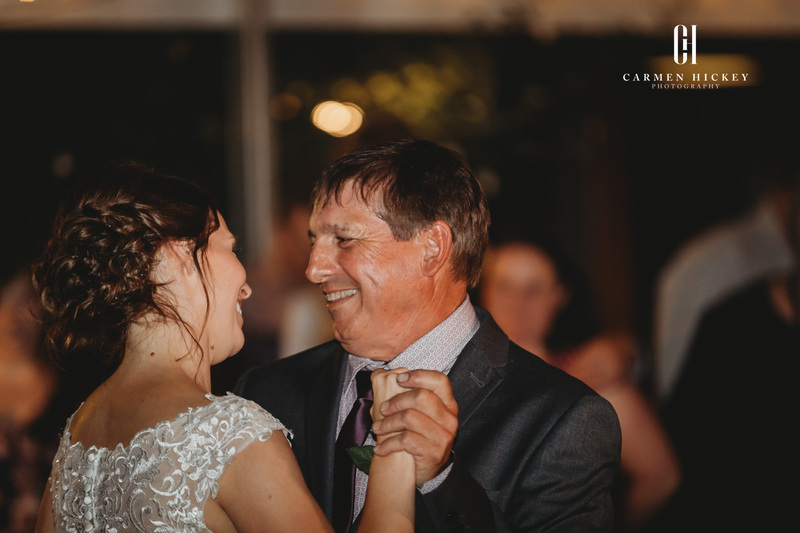 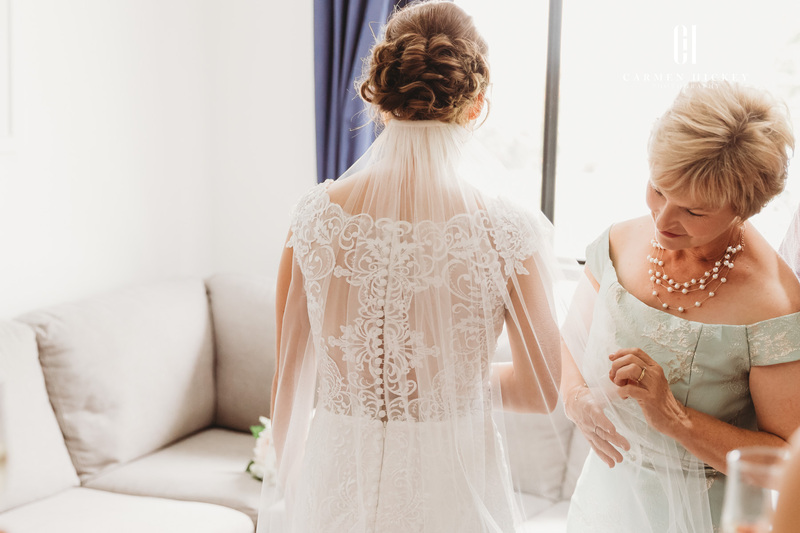 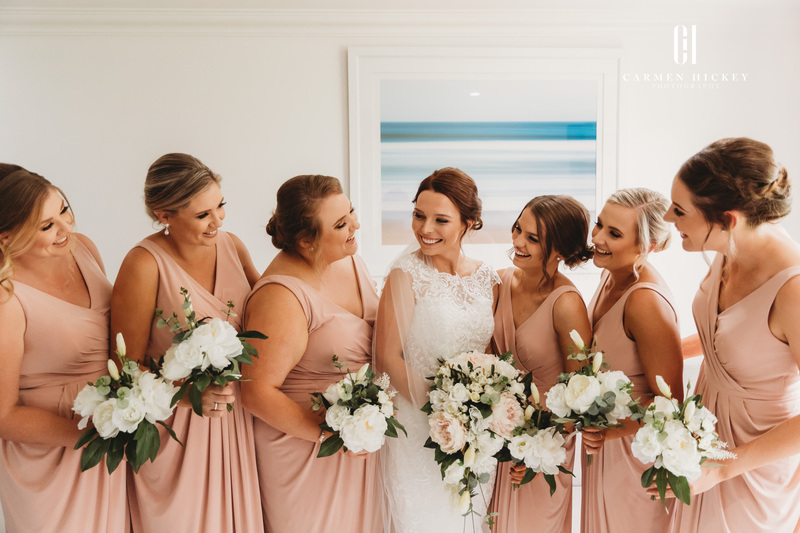 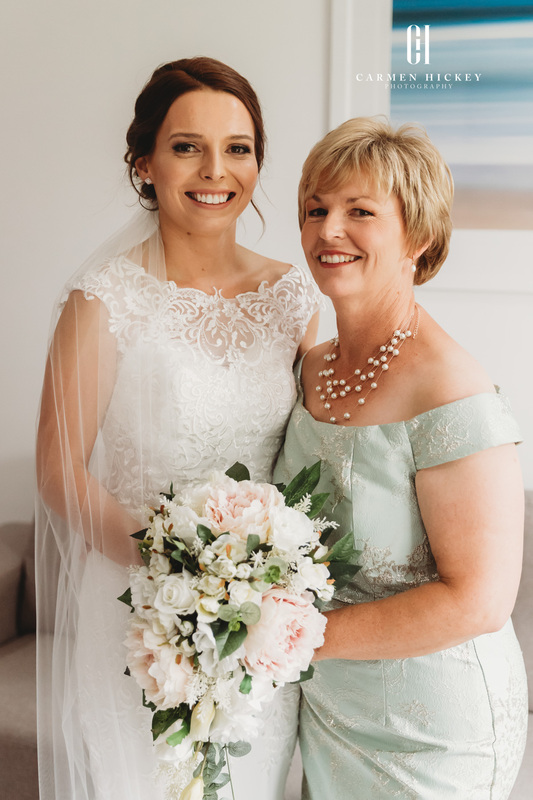 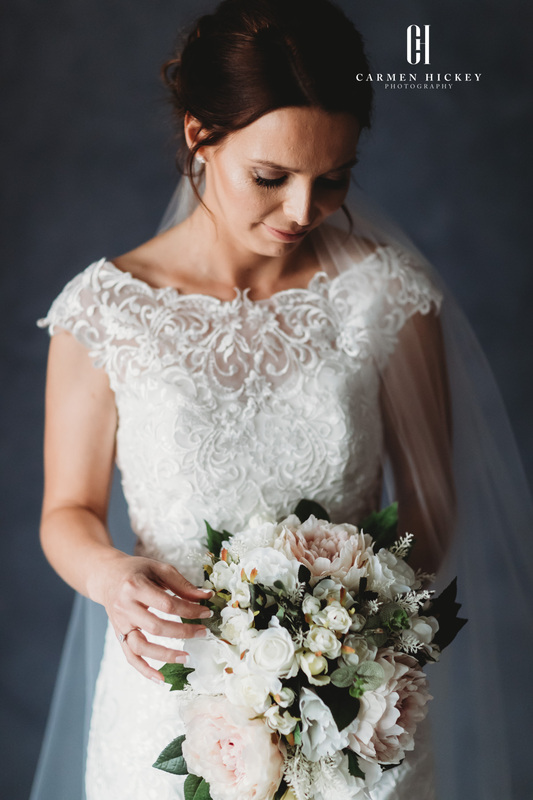 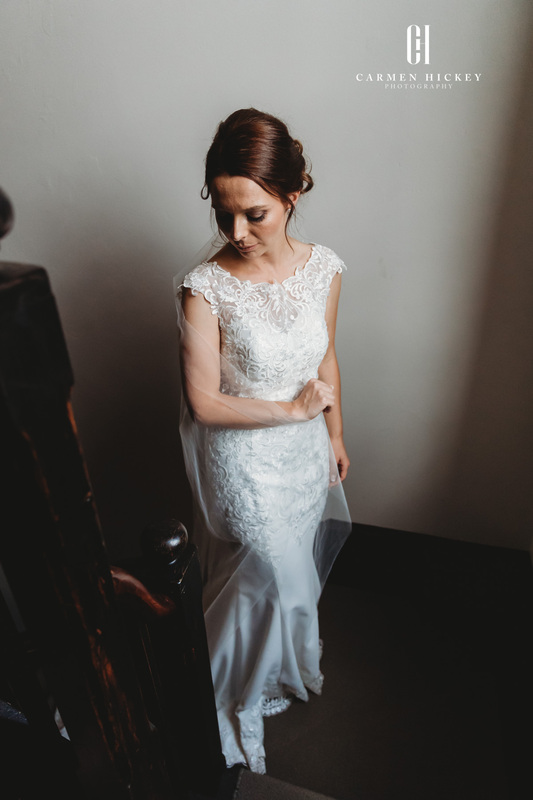 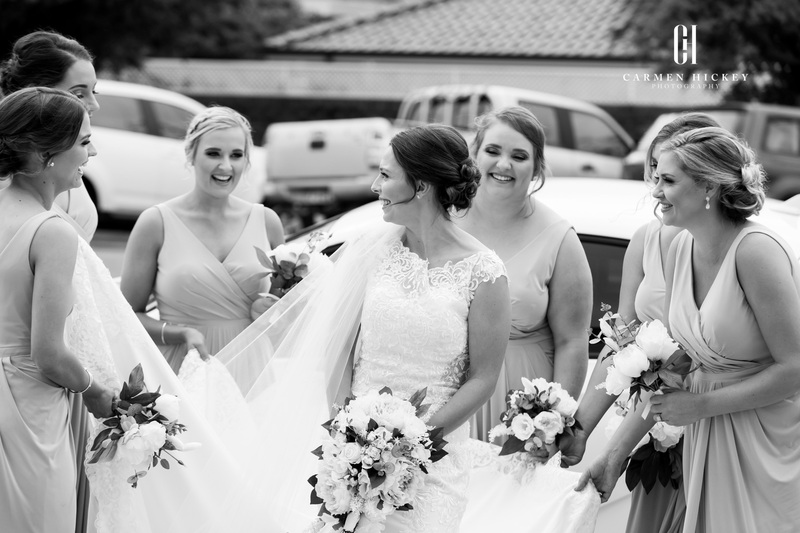 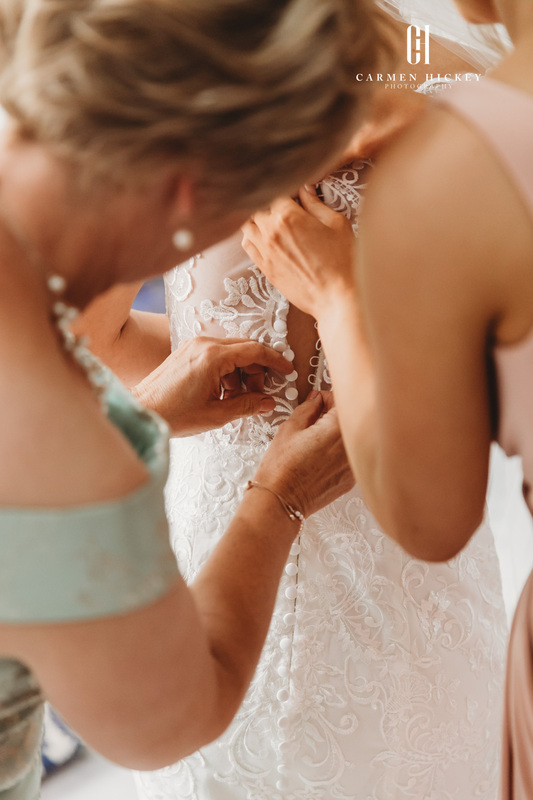 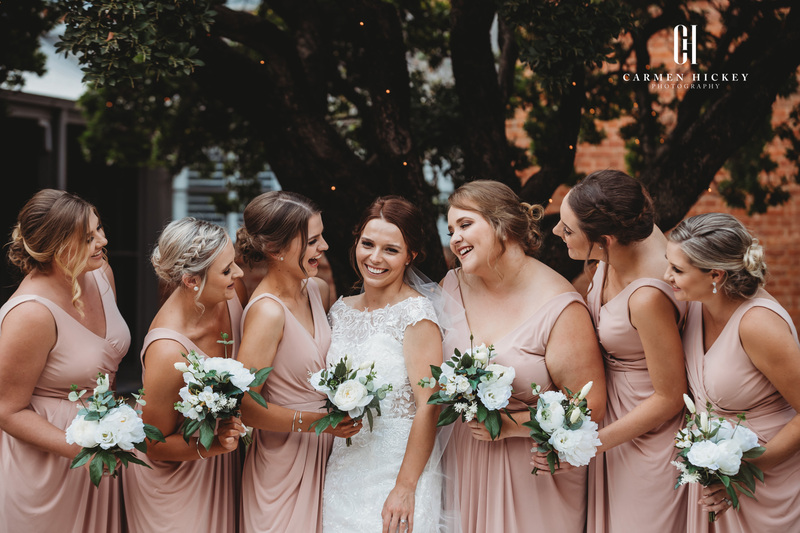 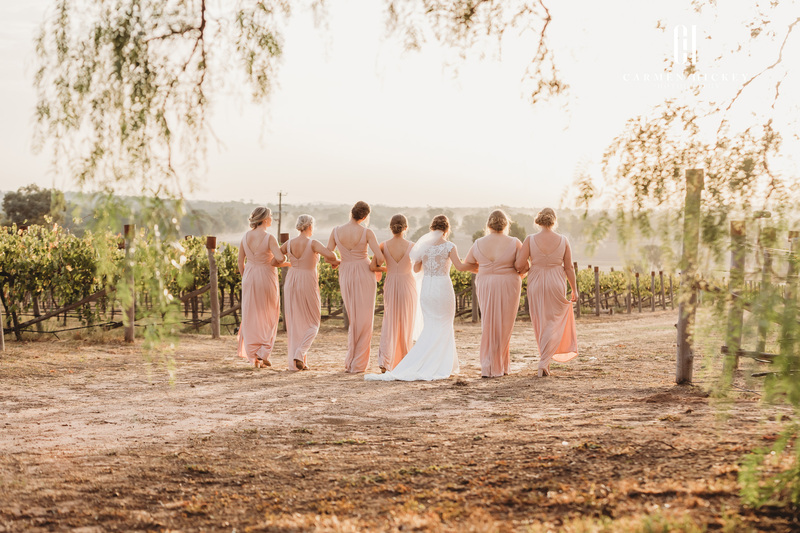 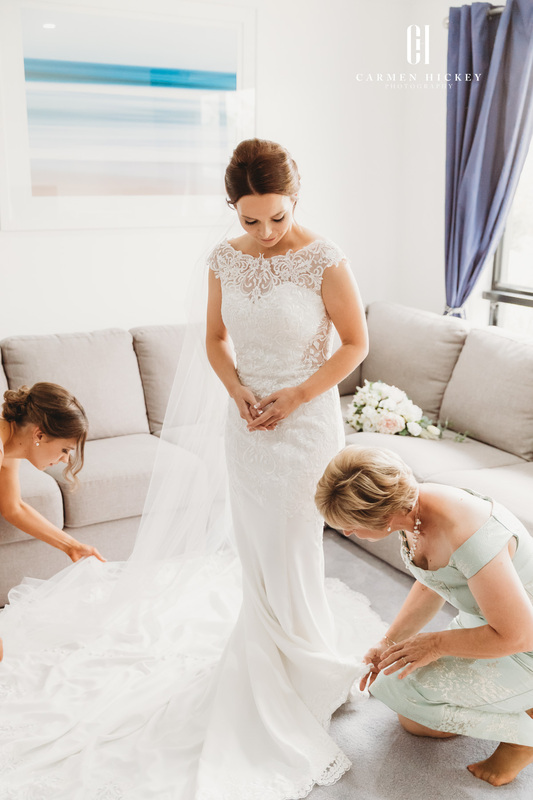 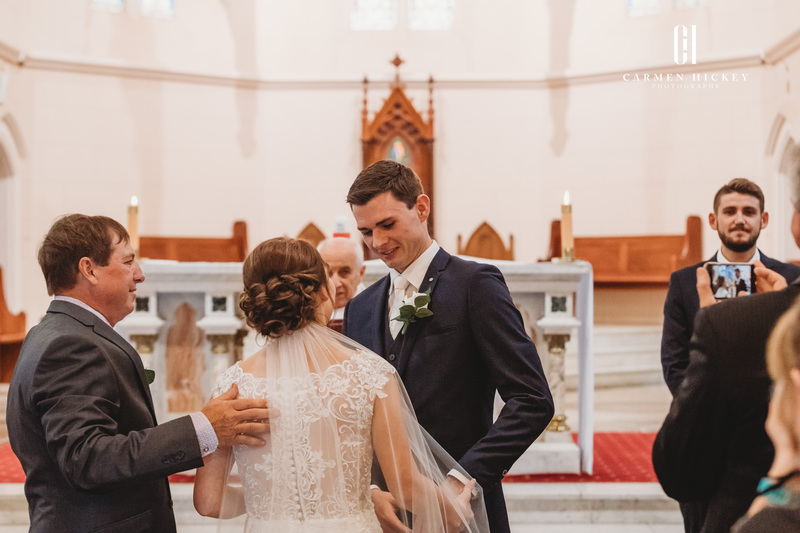 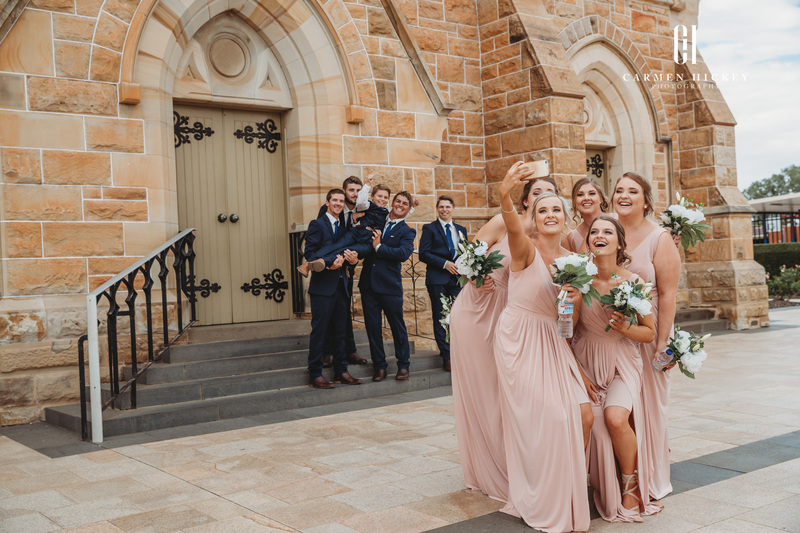 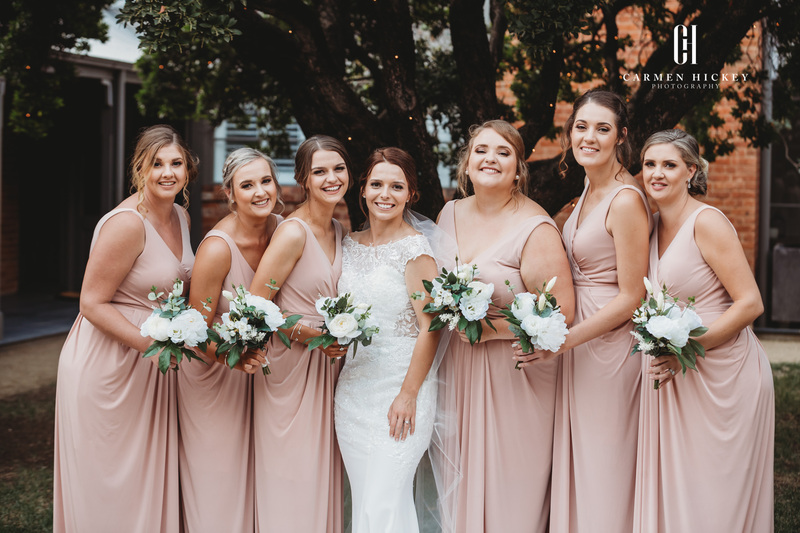 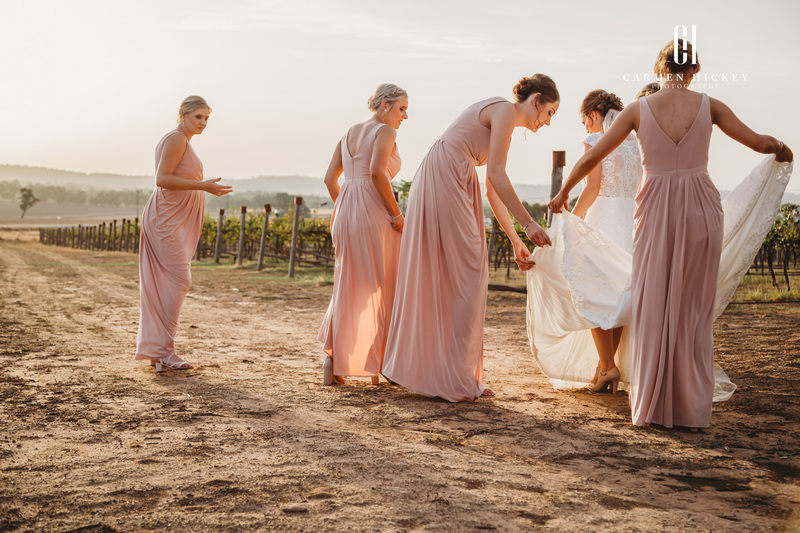 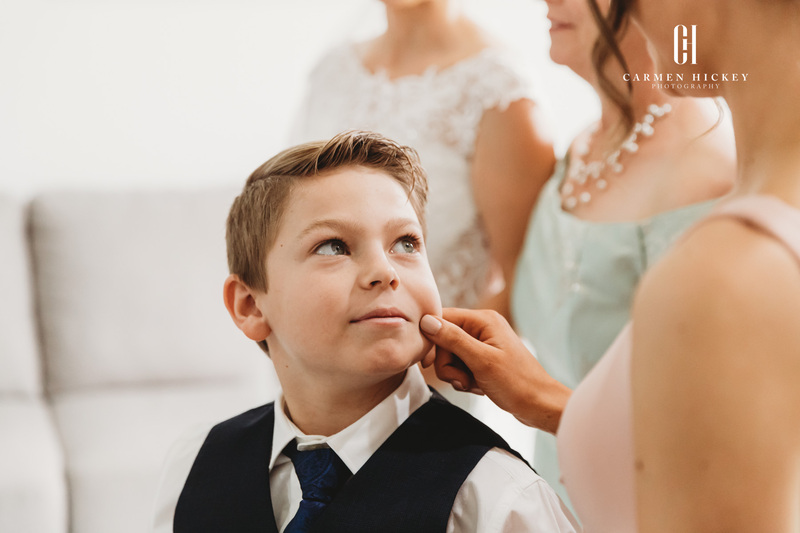 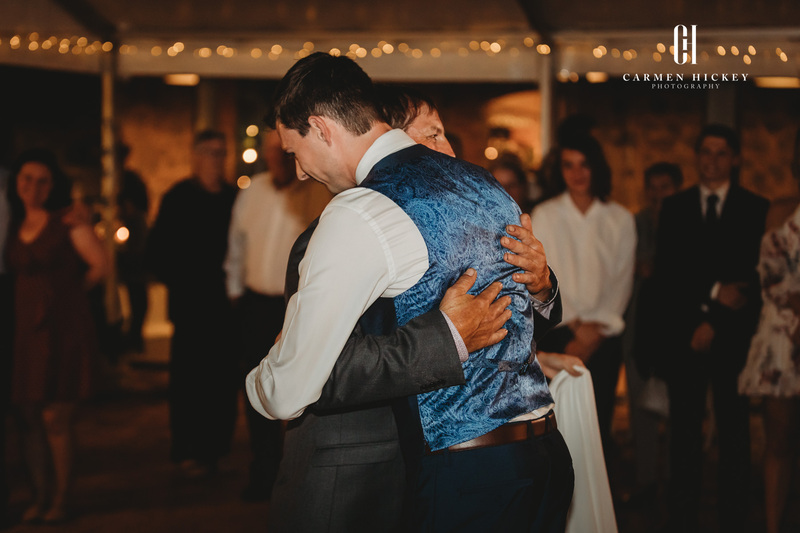 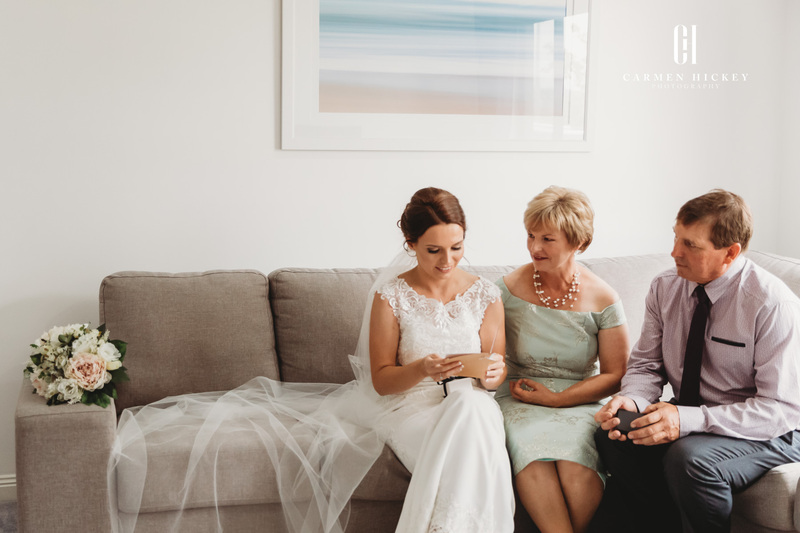 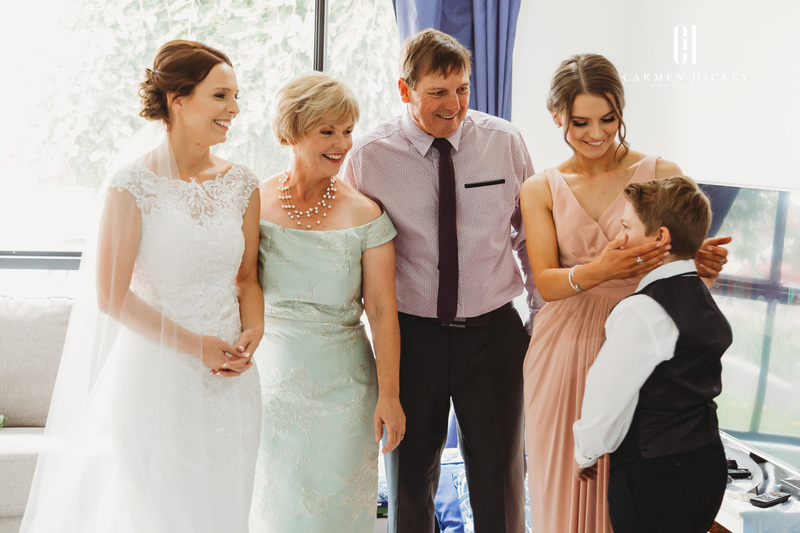 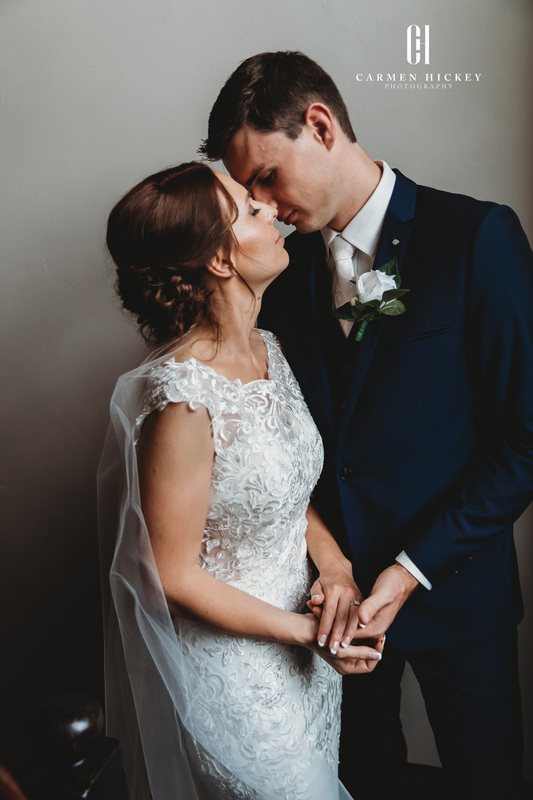 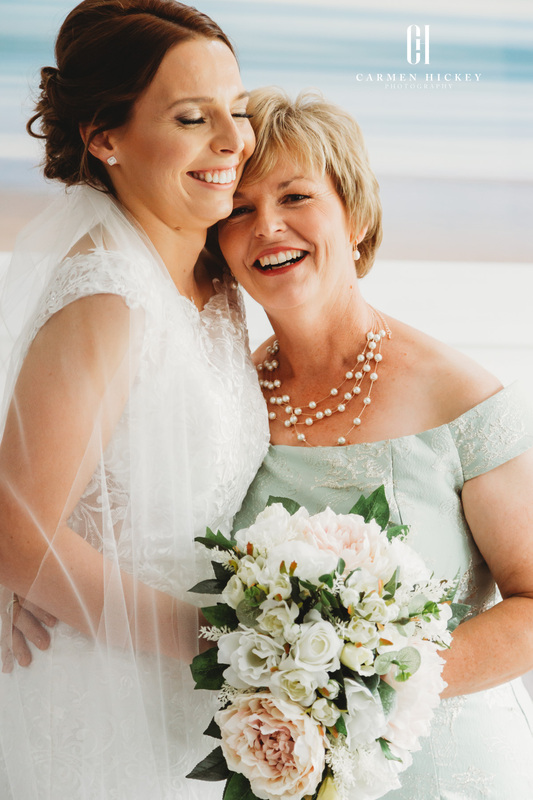 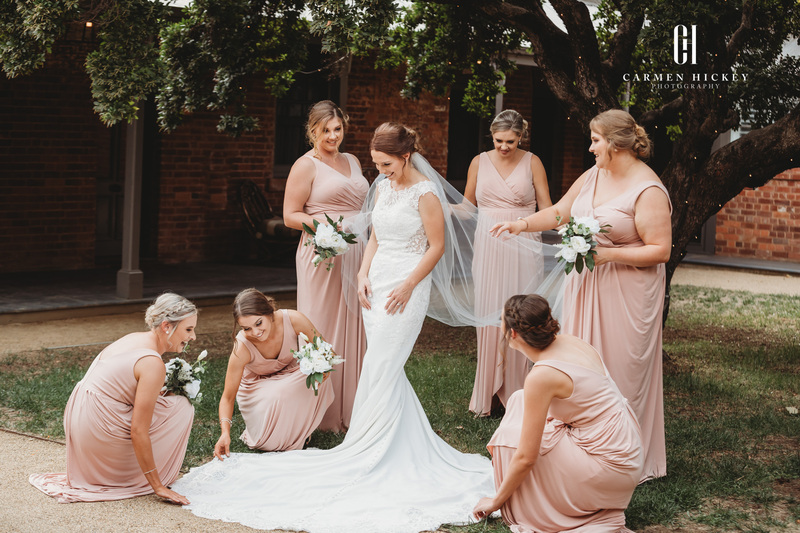 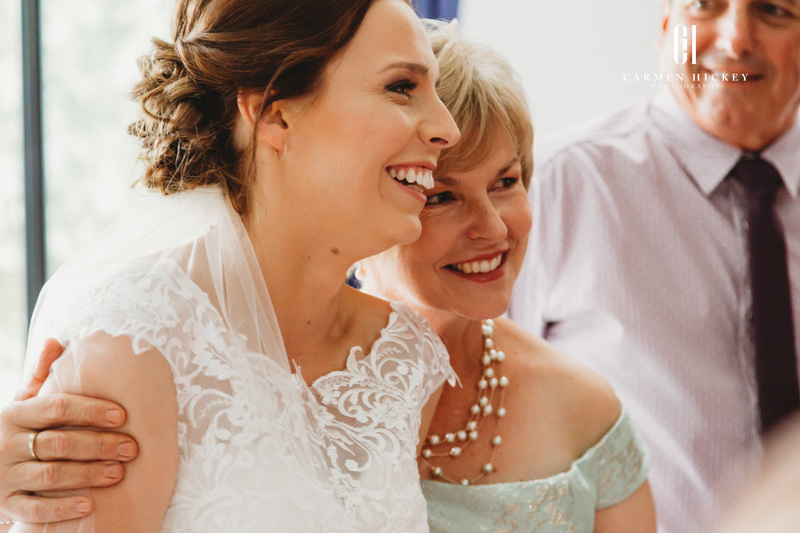 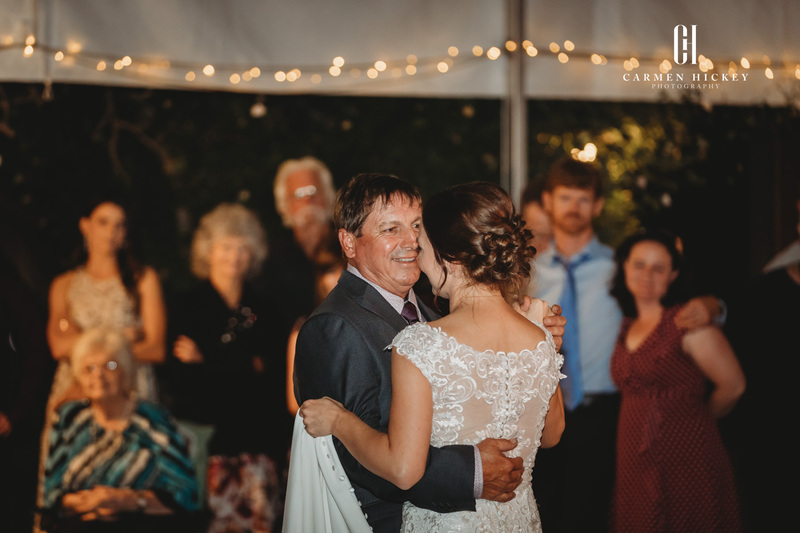 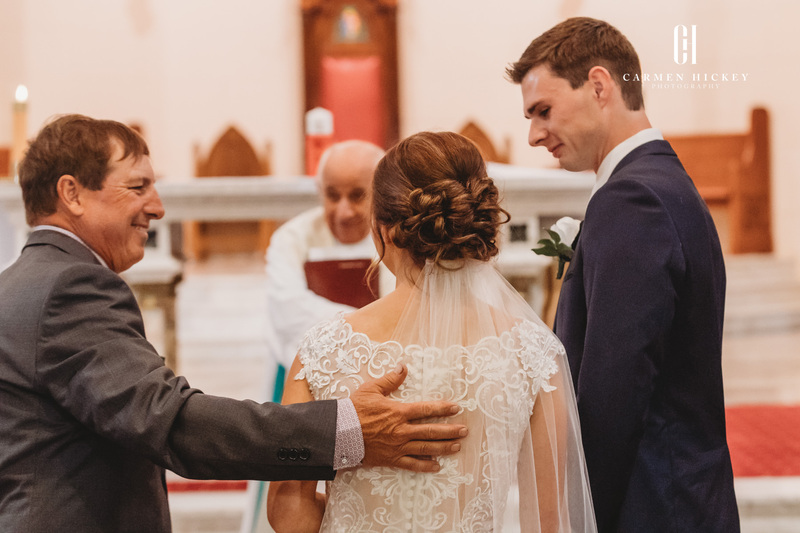 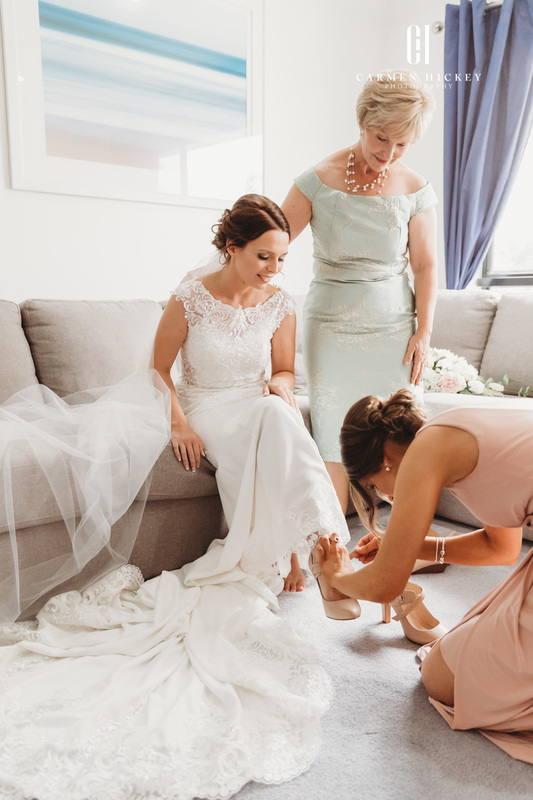 Seeing Mel’s gorgeous Mum – Libby see her daughter for the first time on the day was very special, and even more so was when Mel revealed her dress for the first time to her doting Dad, Brother and bridesmaids. 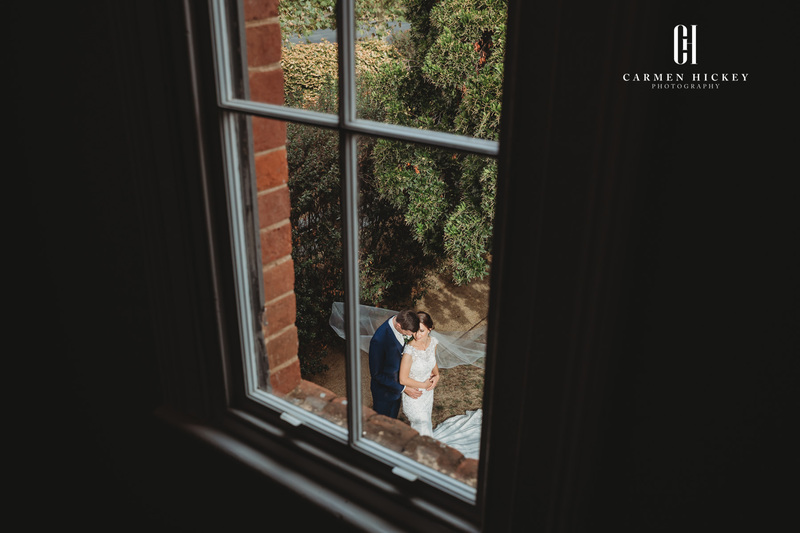 After the ceremony, we ventured to The Houston, which is one of my favourite locations in Wagga, here we explored the garden and were able to capture Brendan’s gentle touches and attentiveness to his beautiful wife, before moving our location to the fabulous Magpies Nest where guests were treated to the culinary delighted and flowing wine to settle in for the night of laughter, tears and dancing. 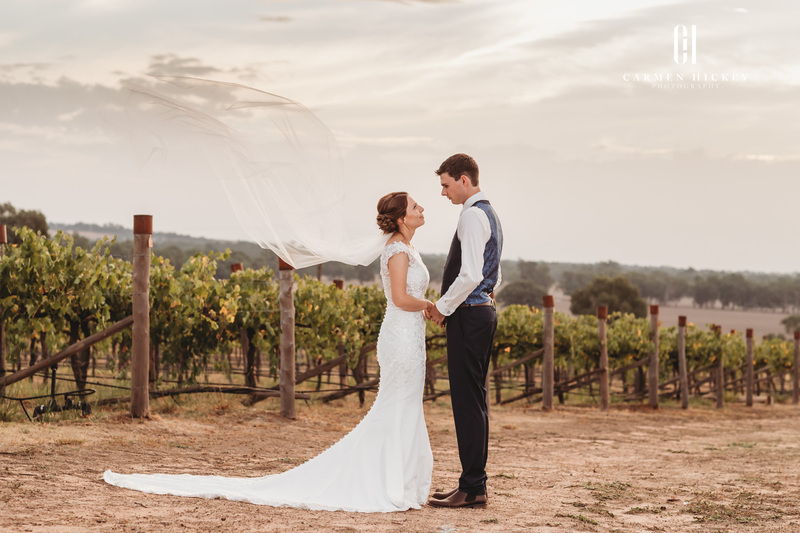 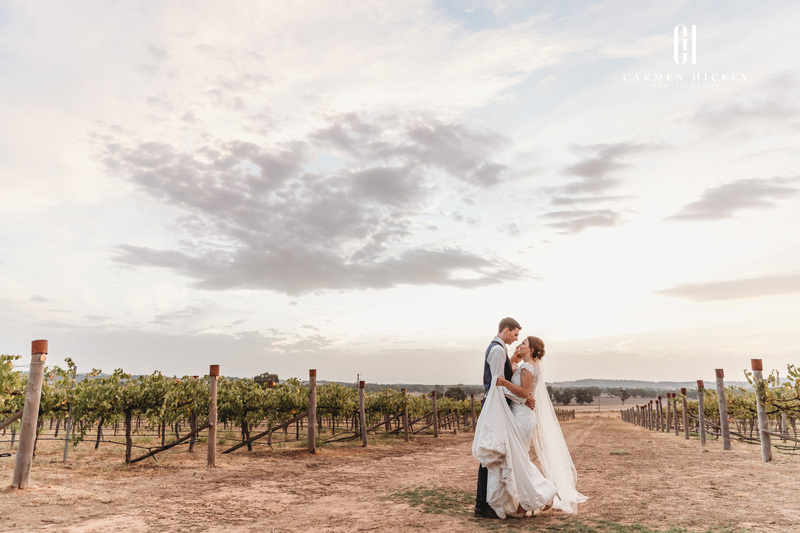 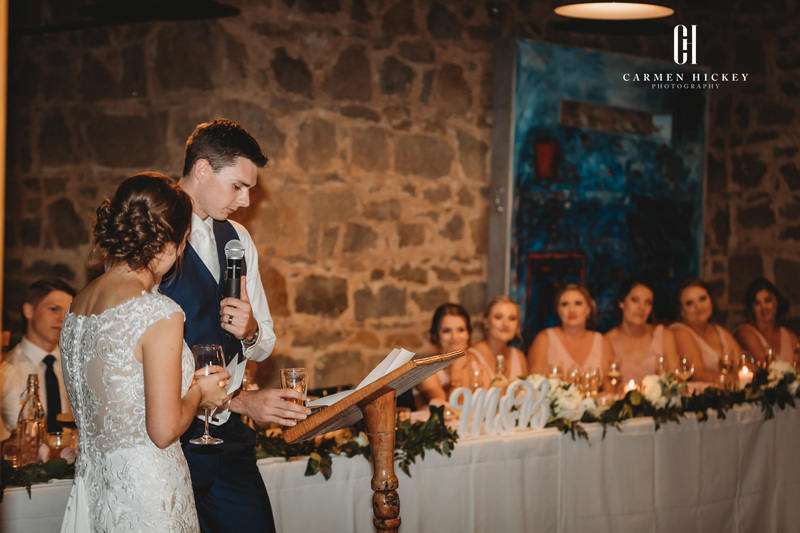 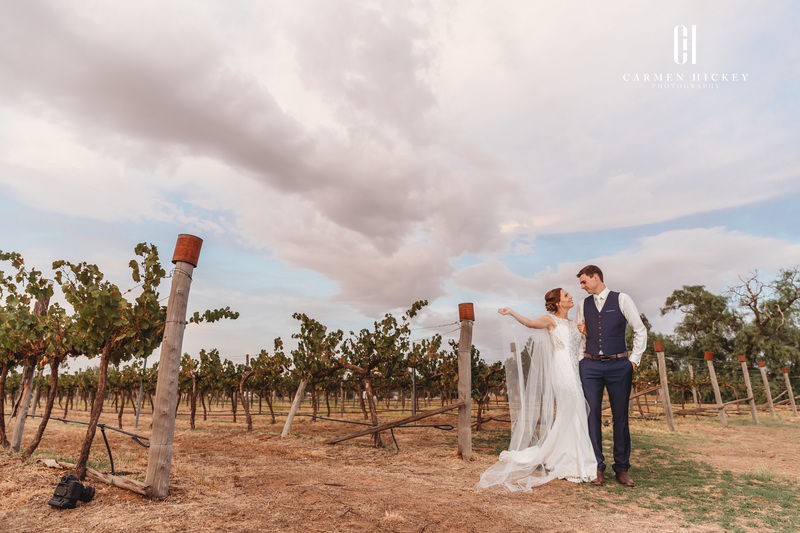 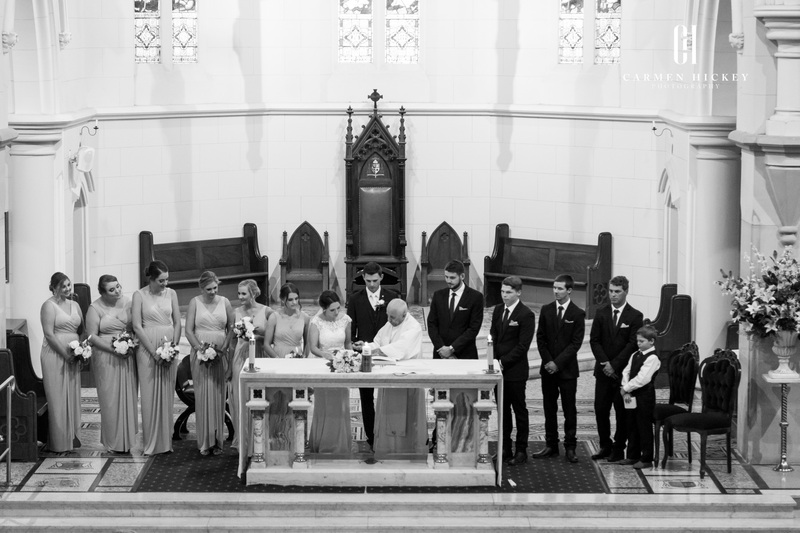 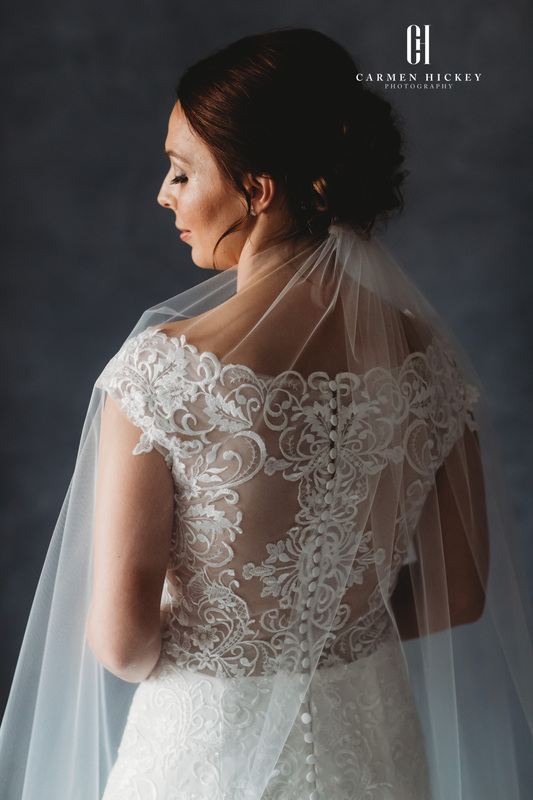 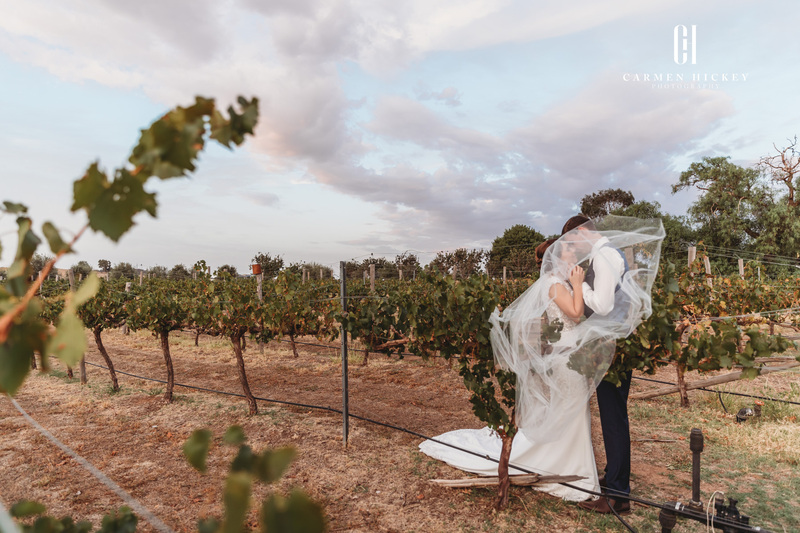 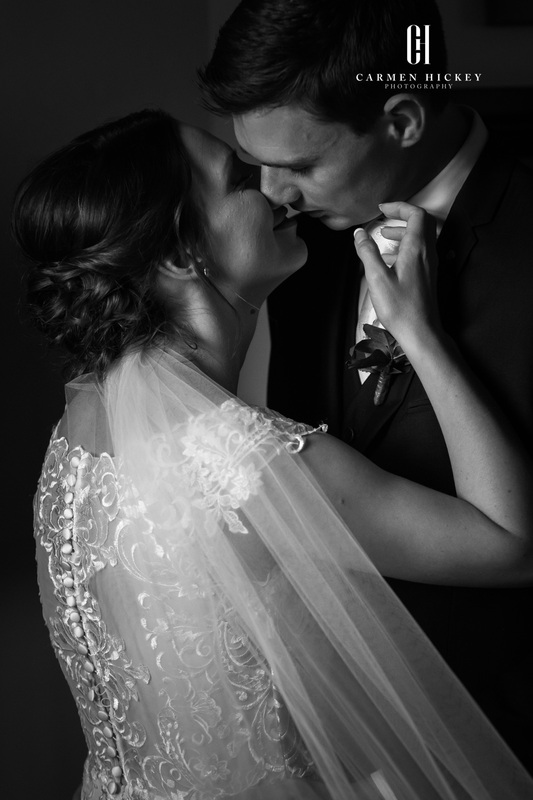 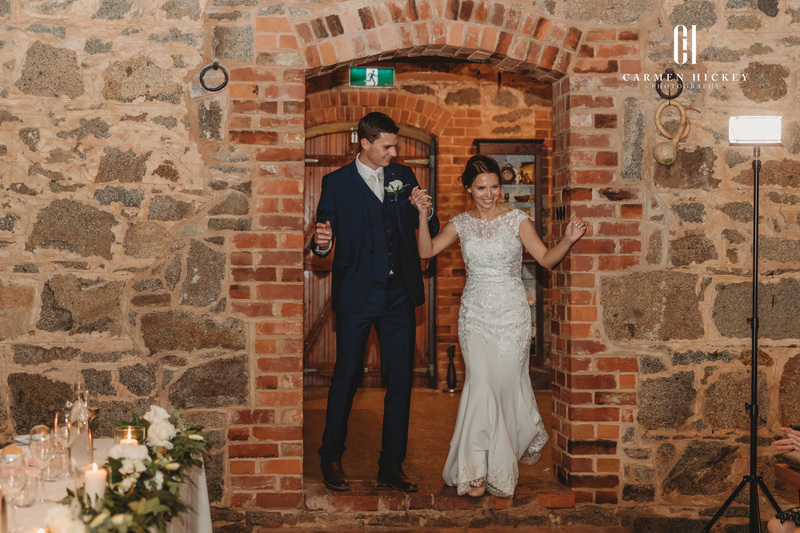 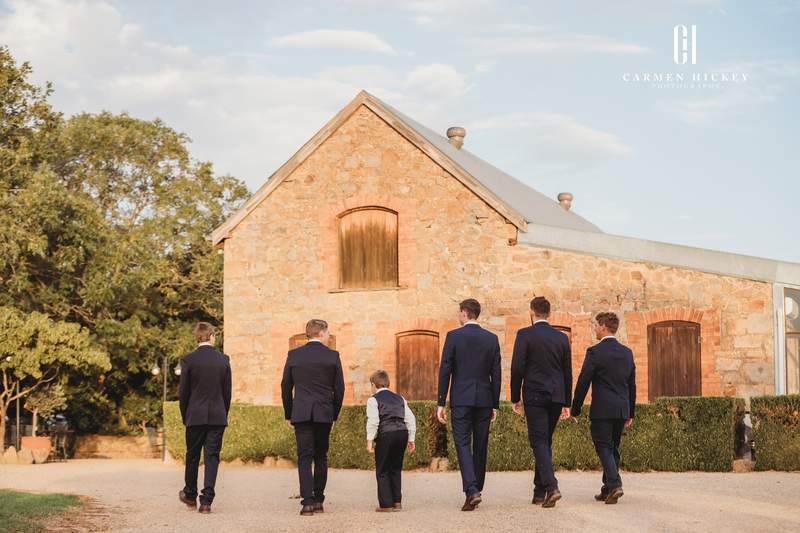 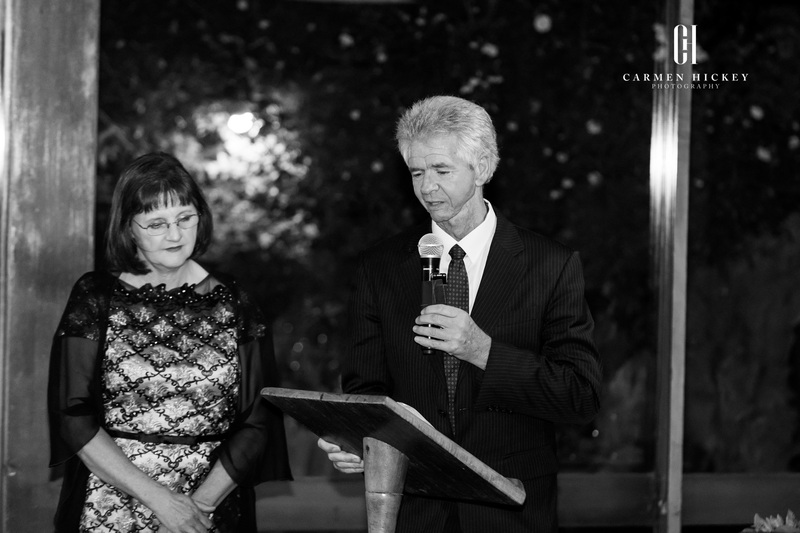 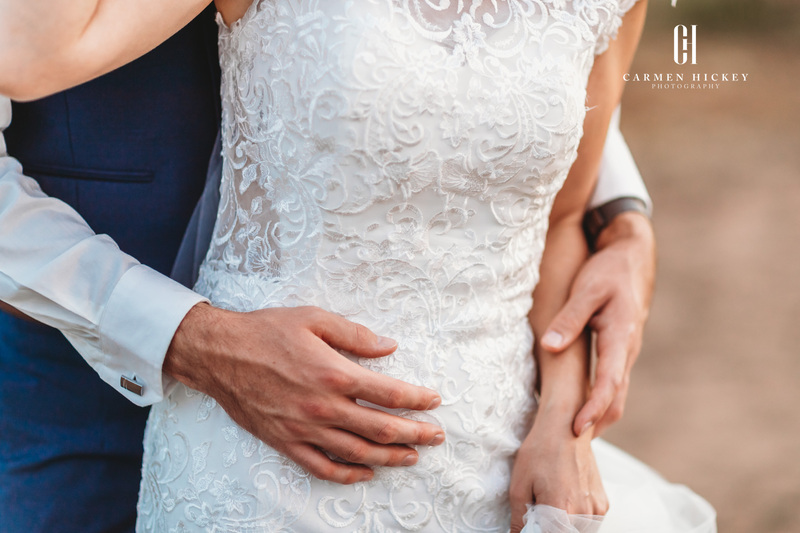 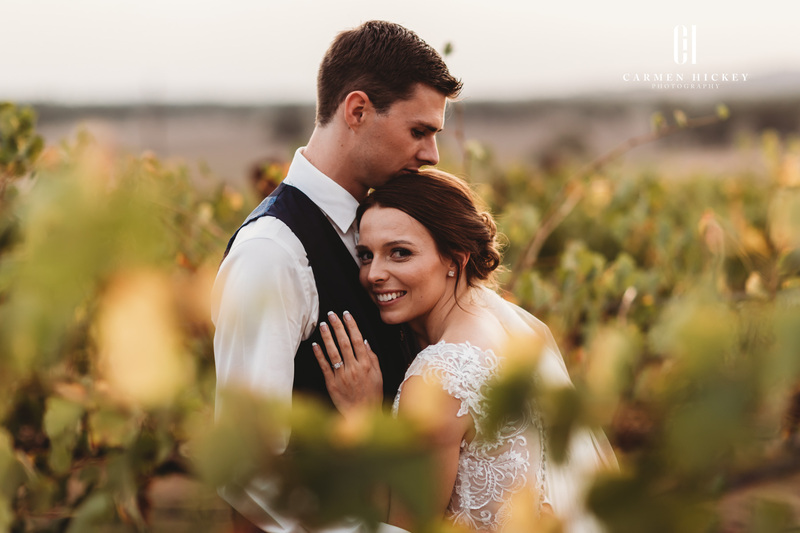 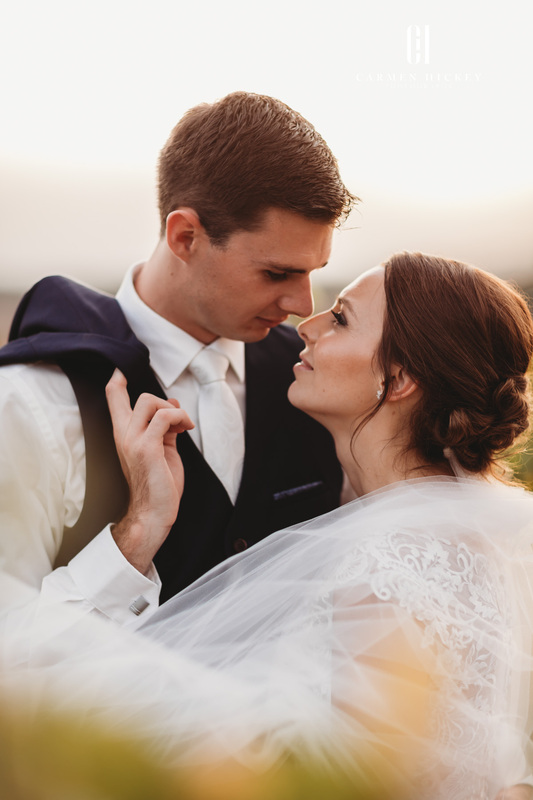 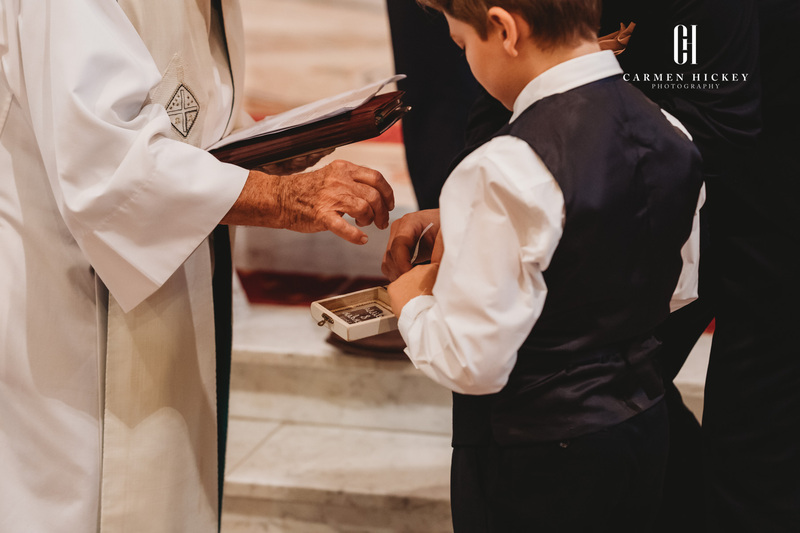 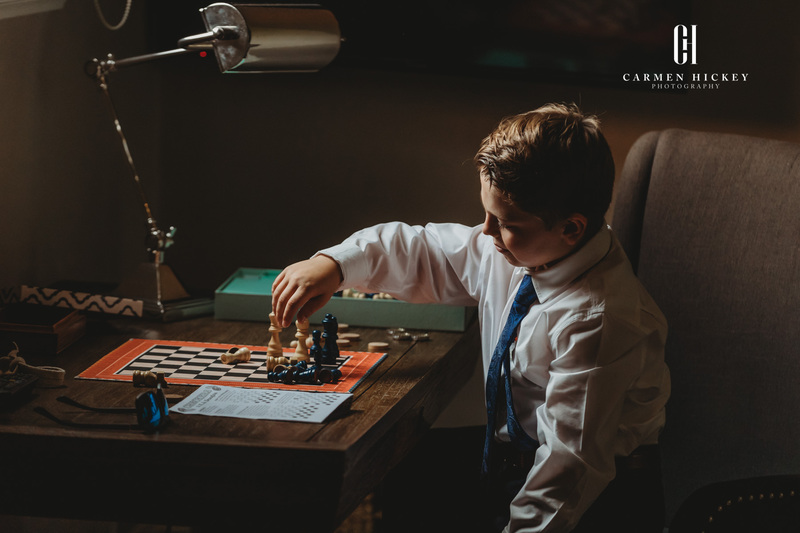 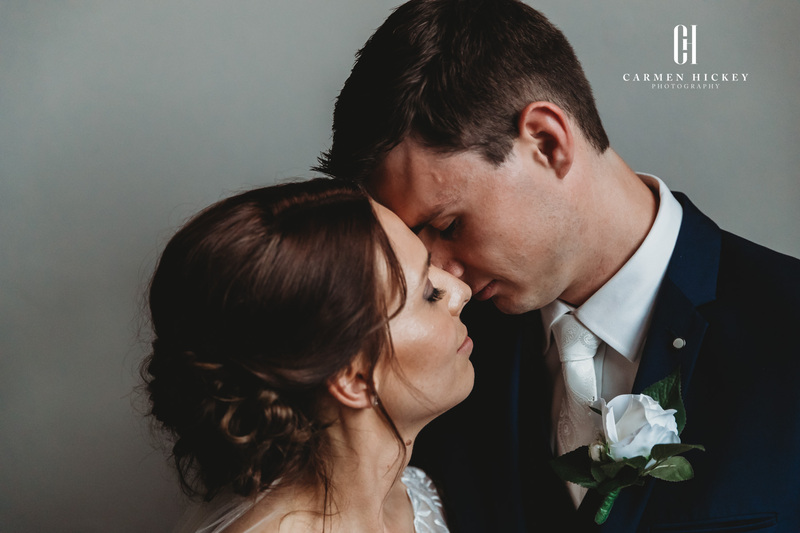 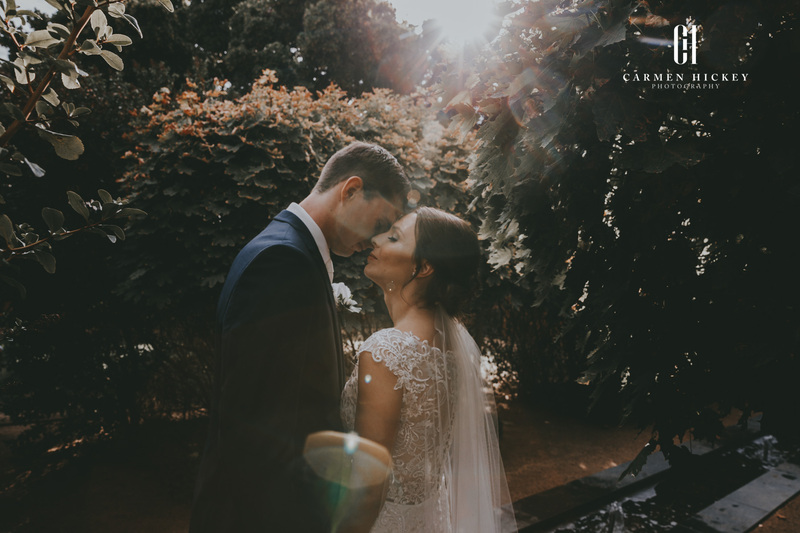 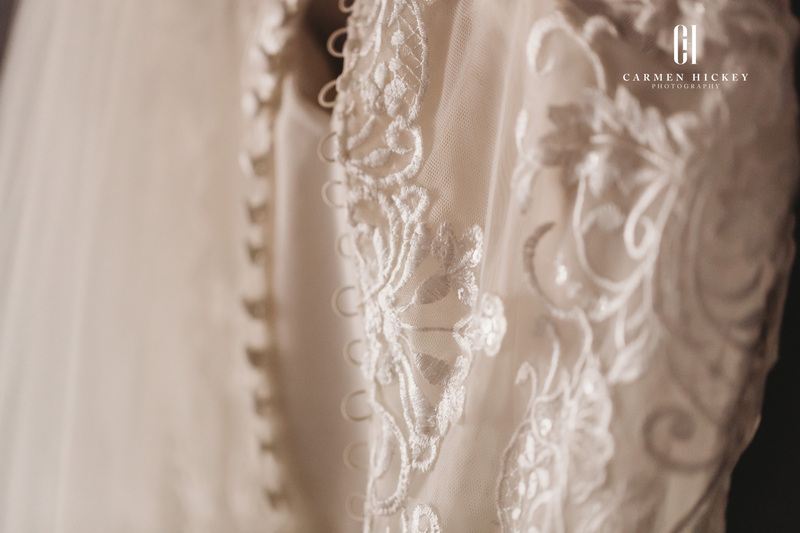 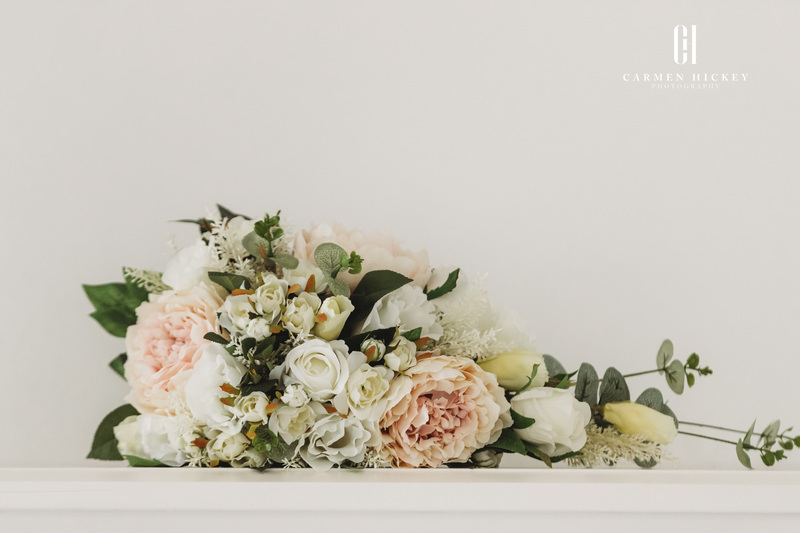 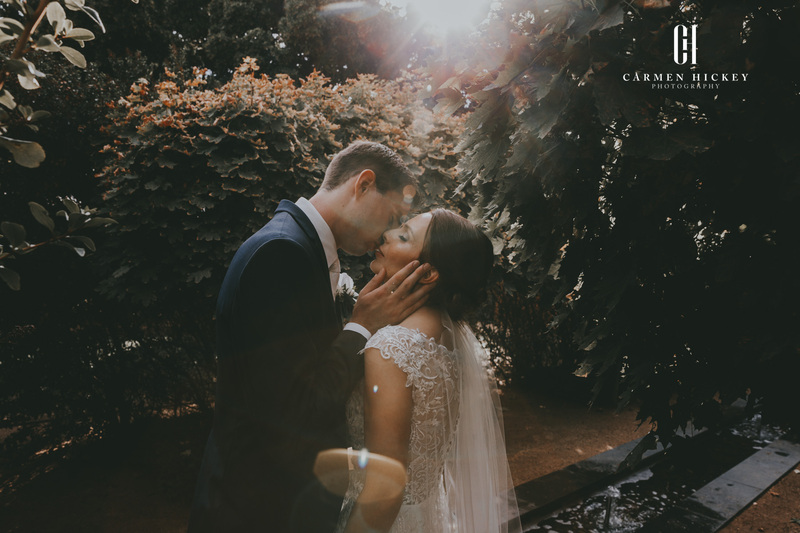 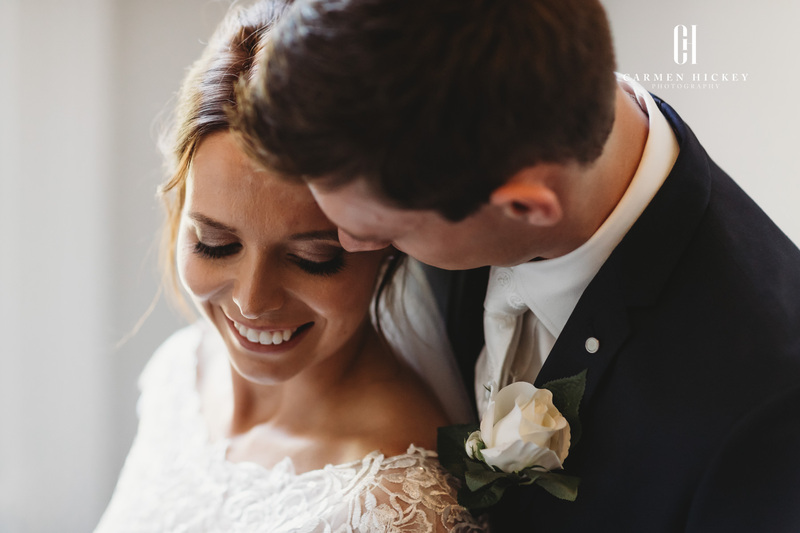 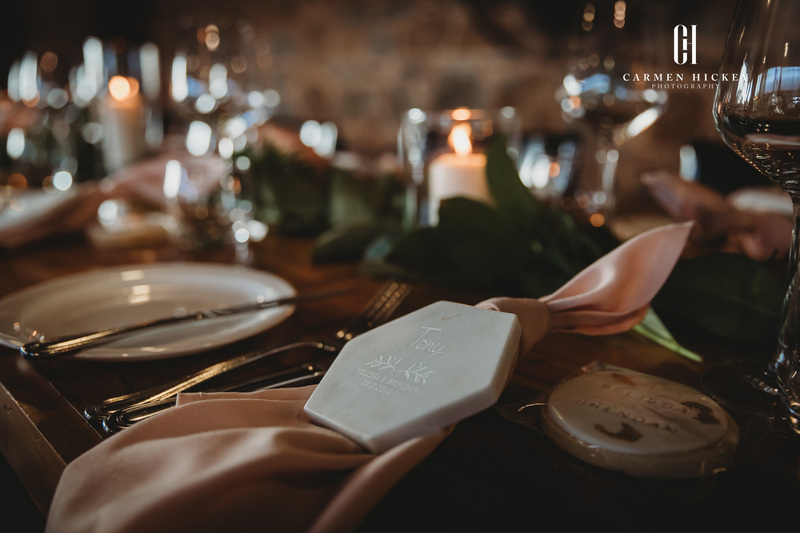 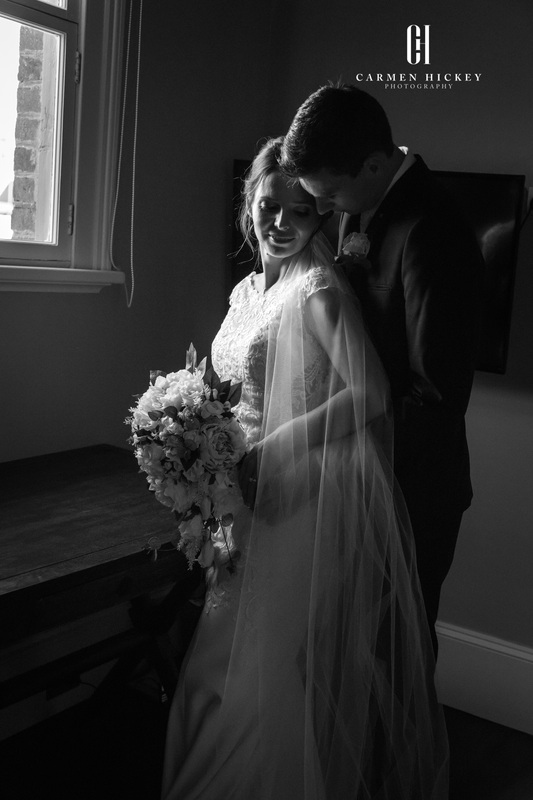 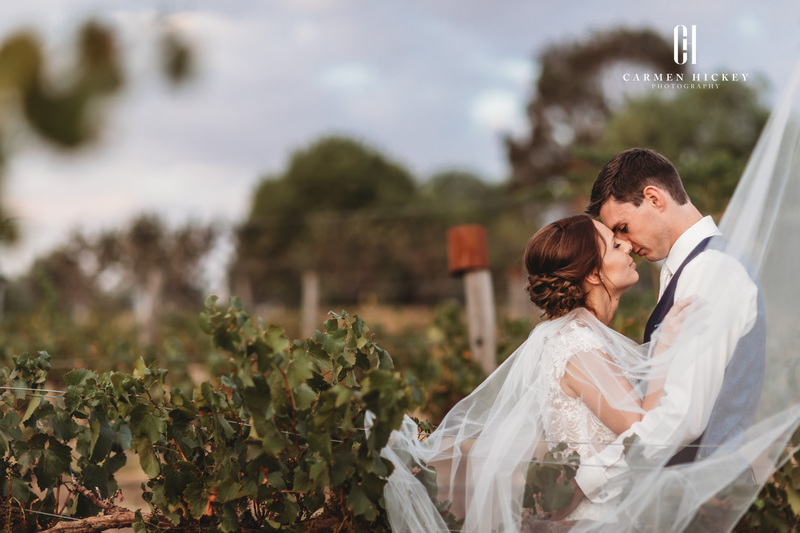 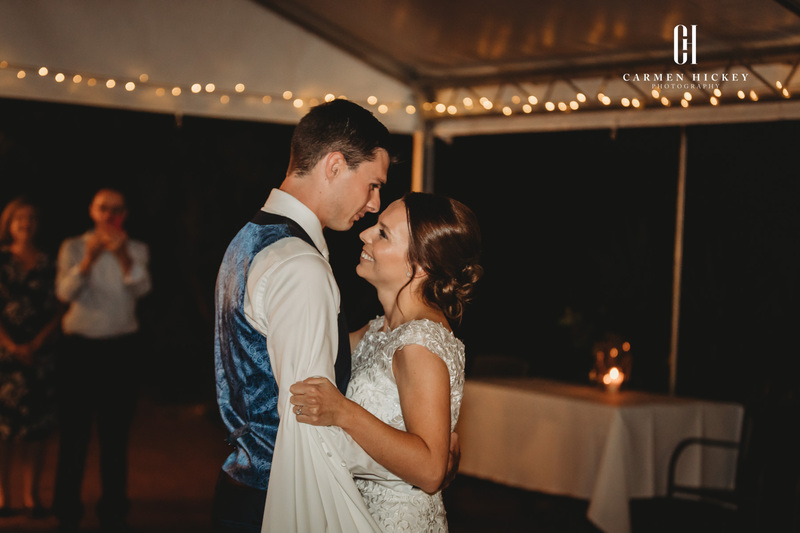 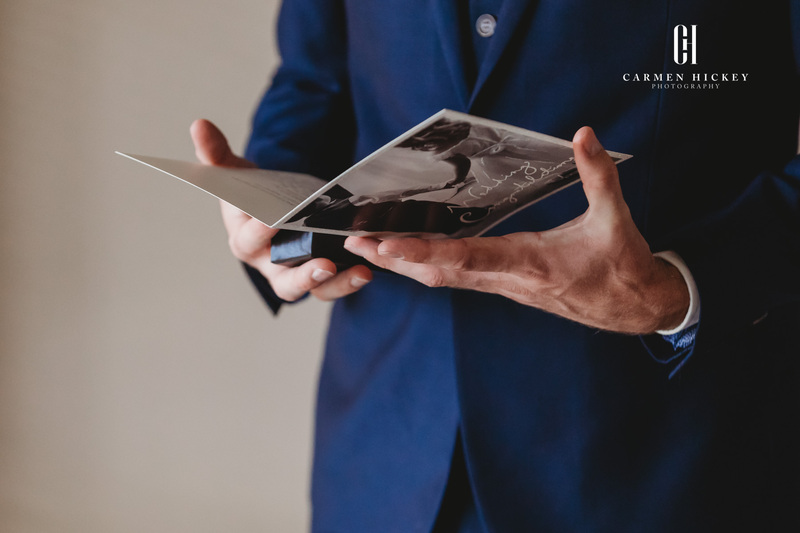 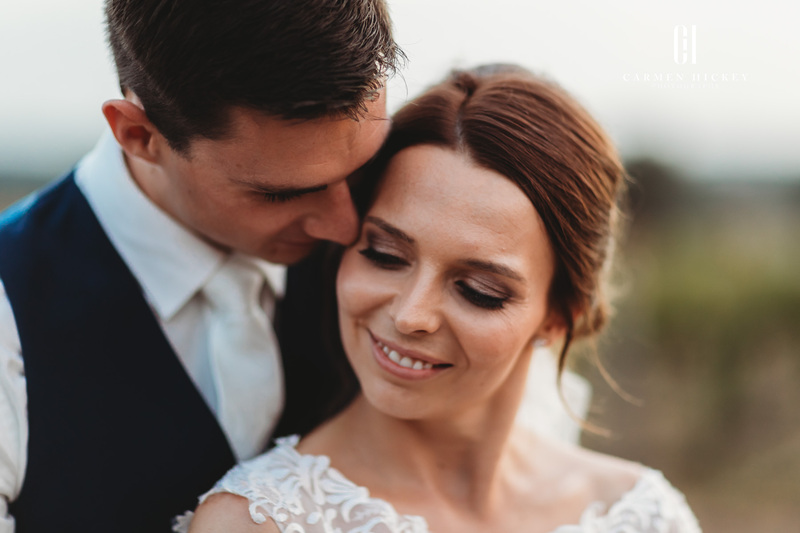 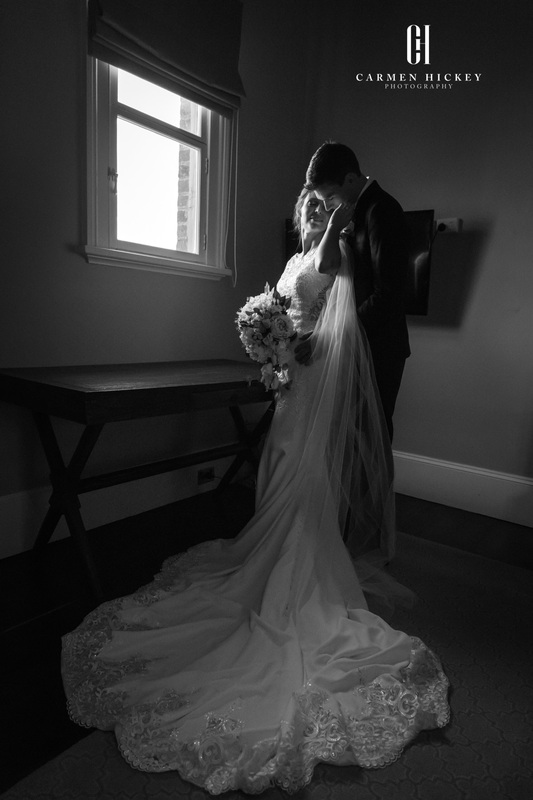 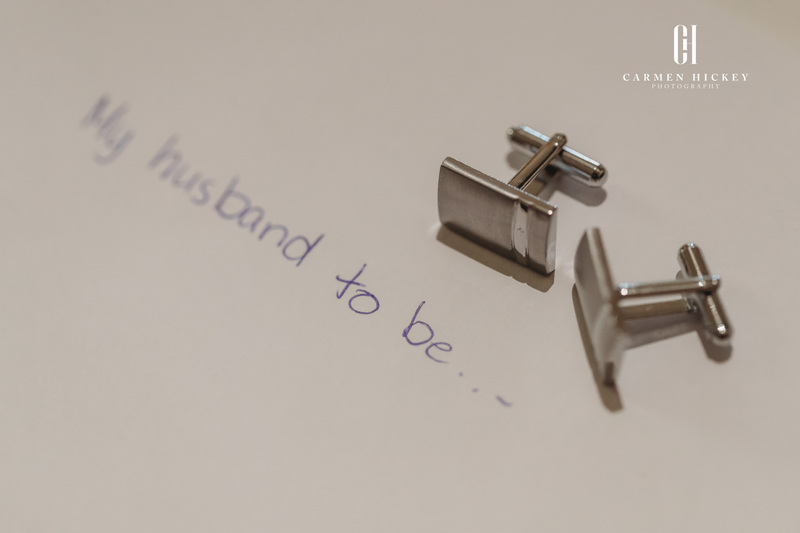 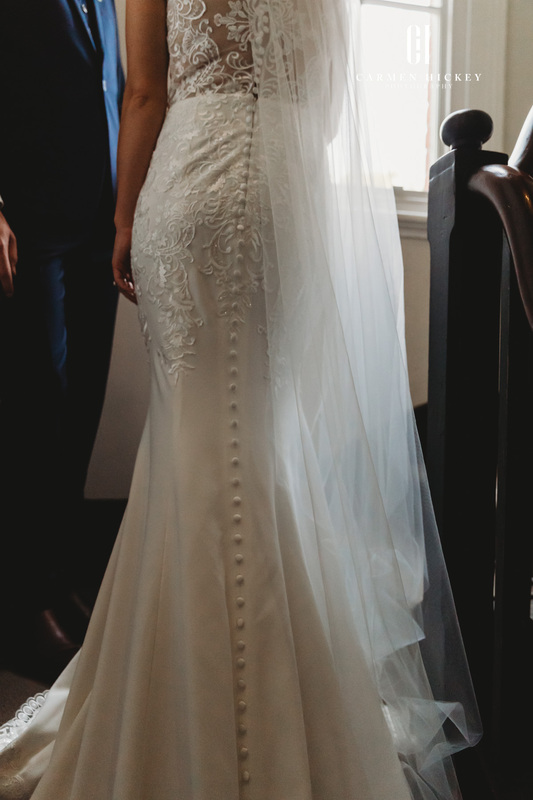 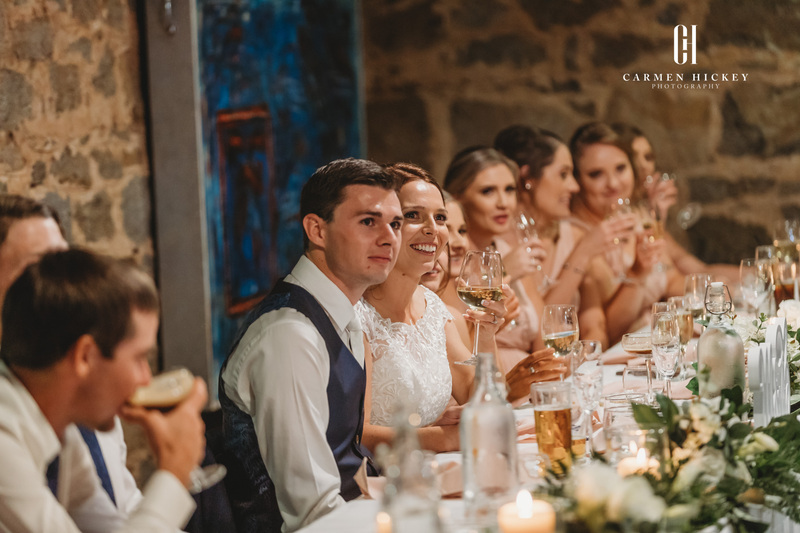 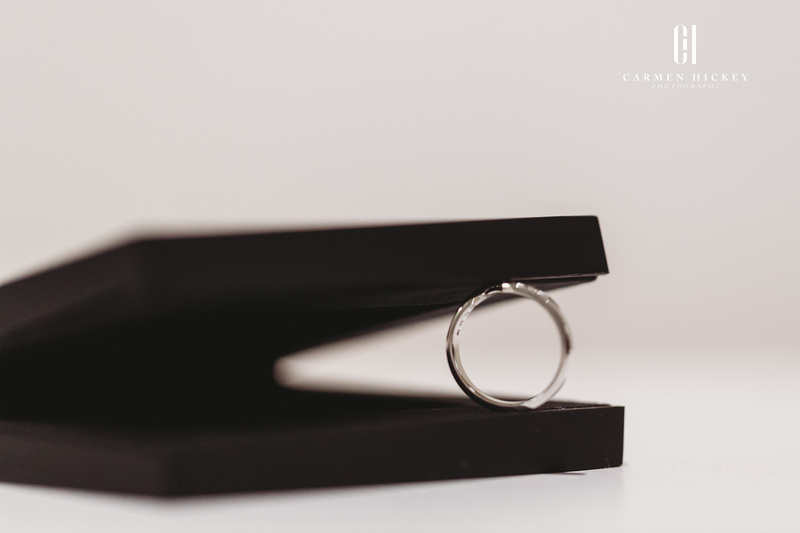 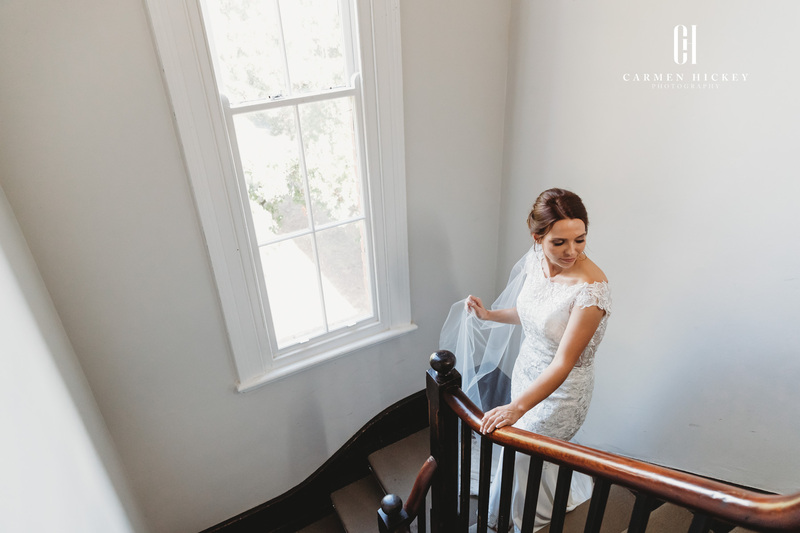 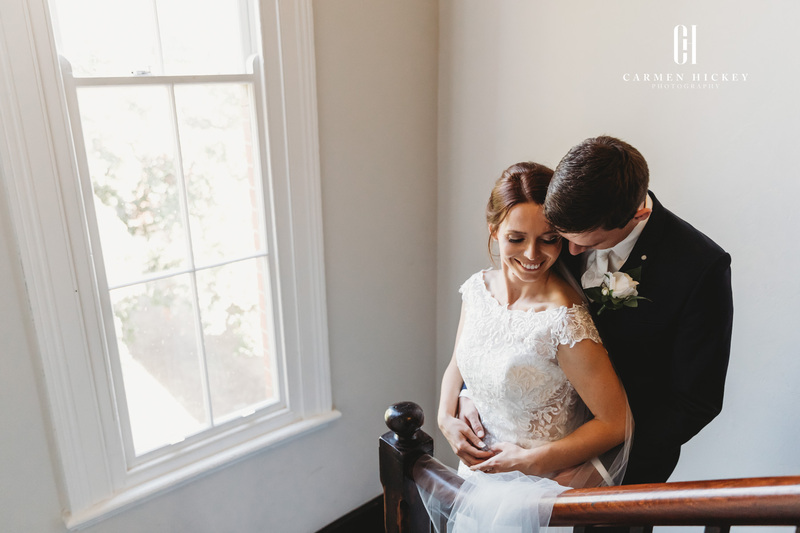 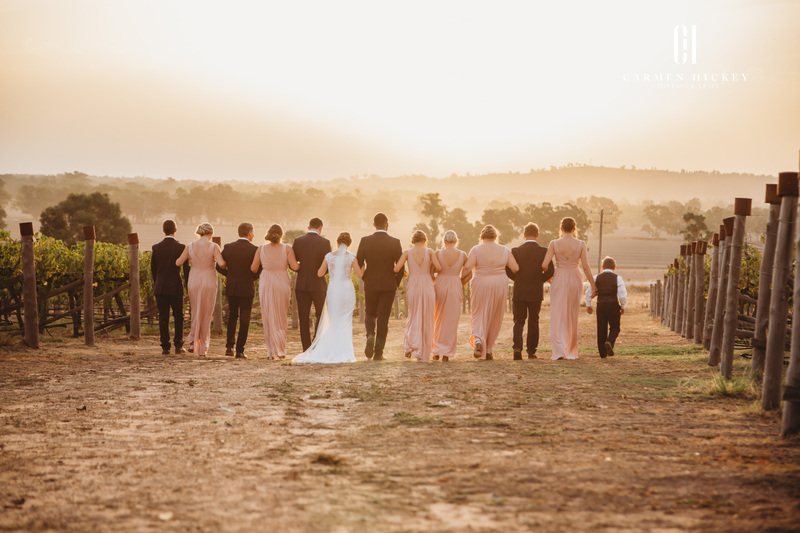 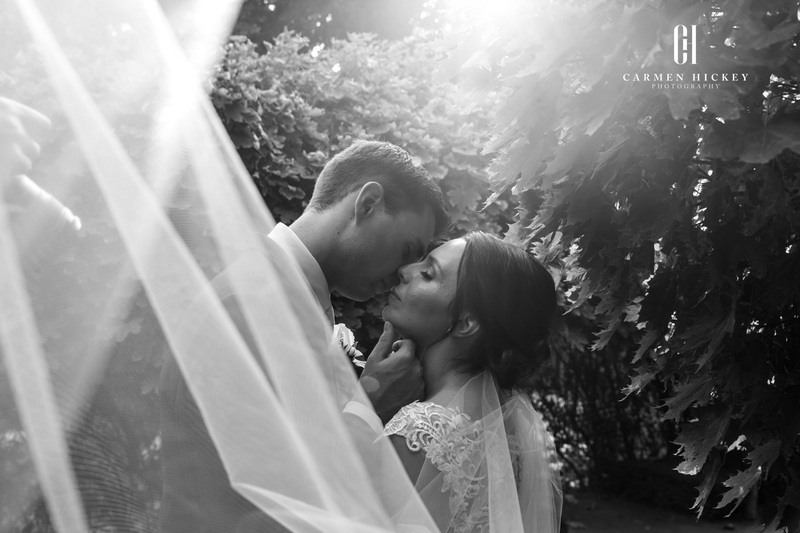 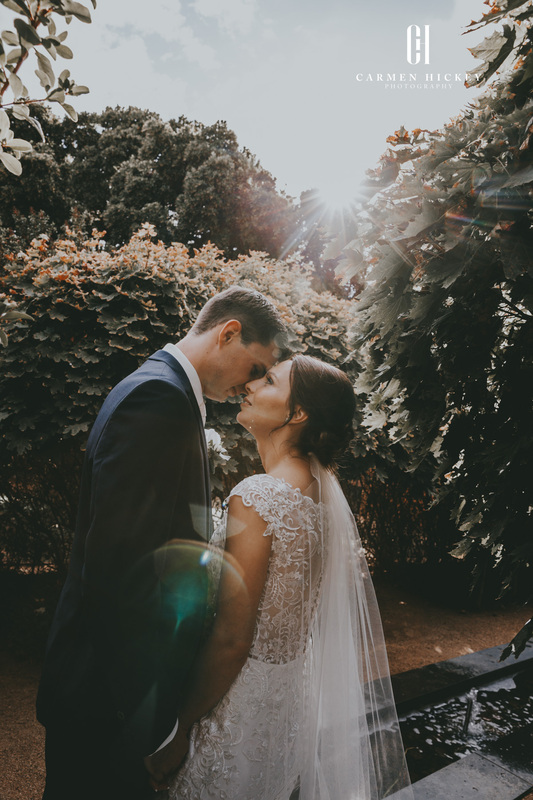 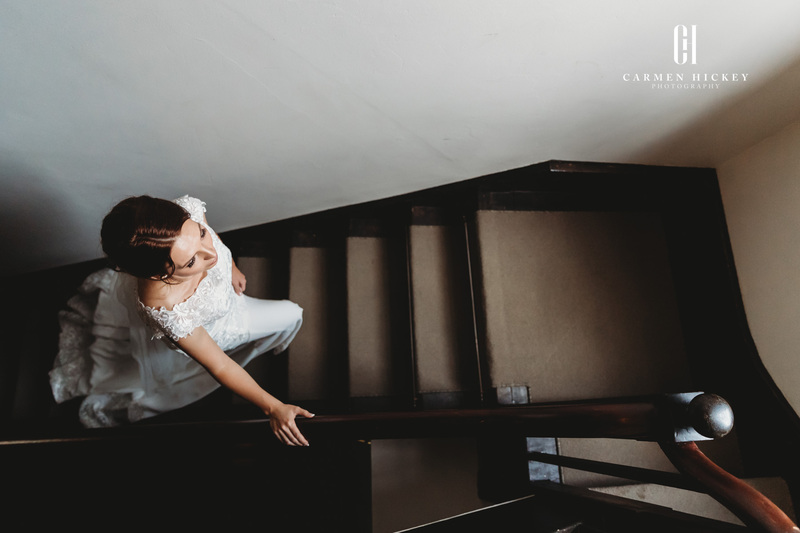 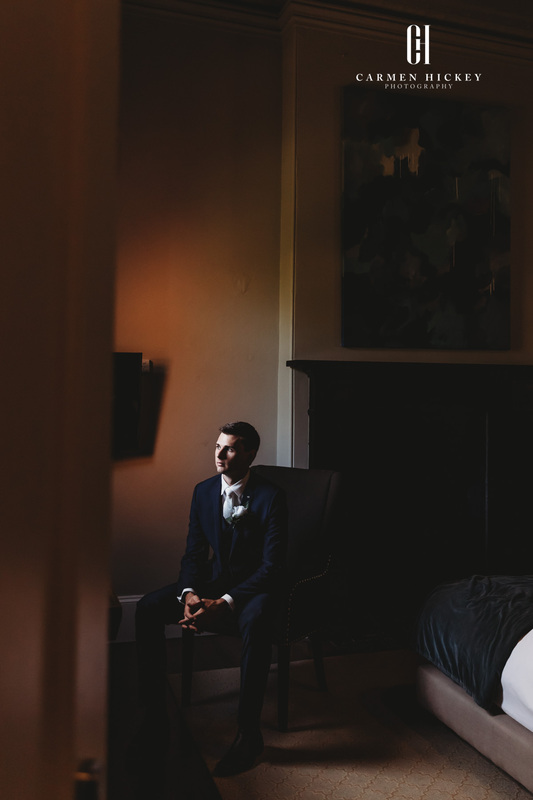 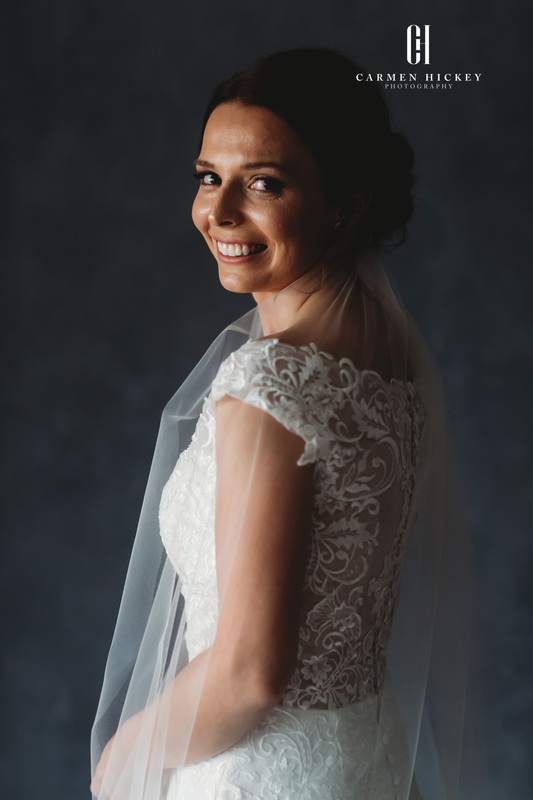 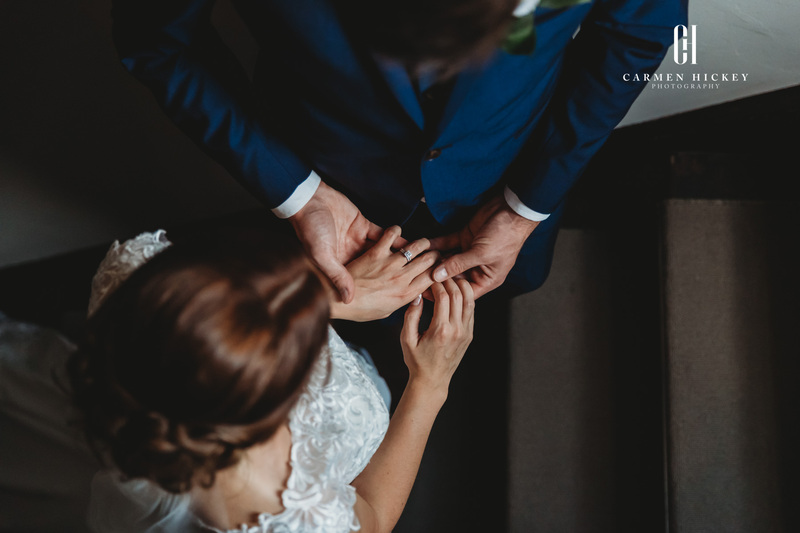 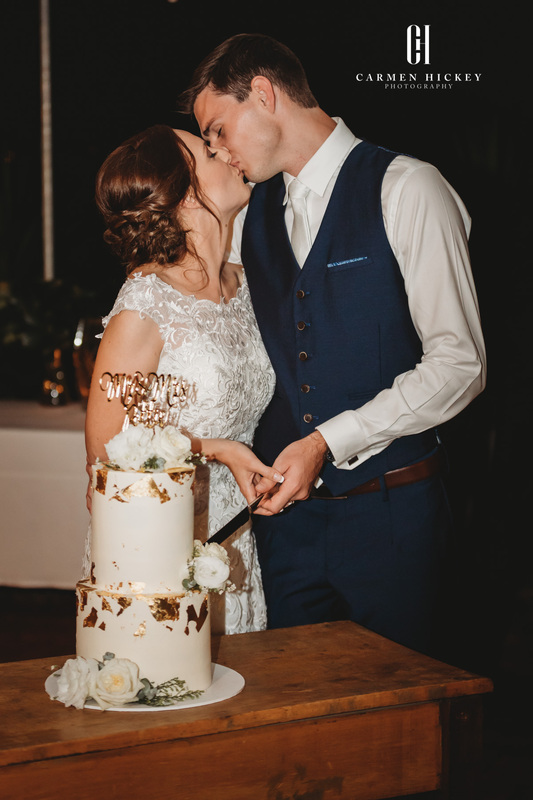 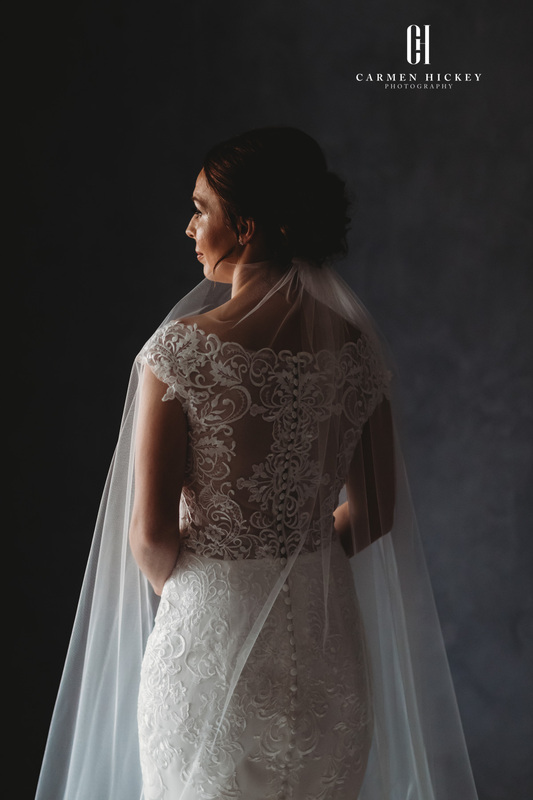 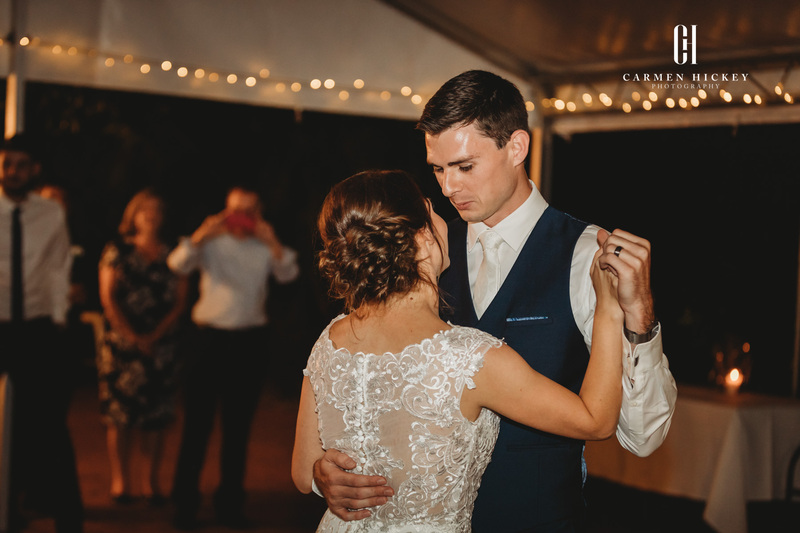 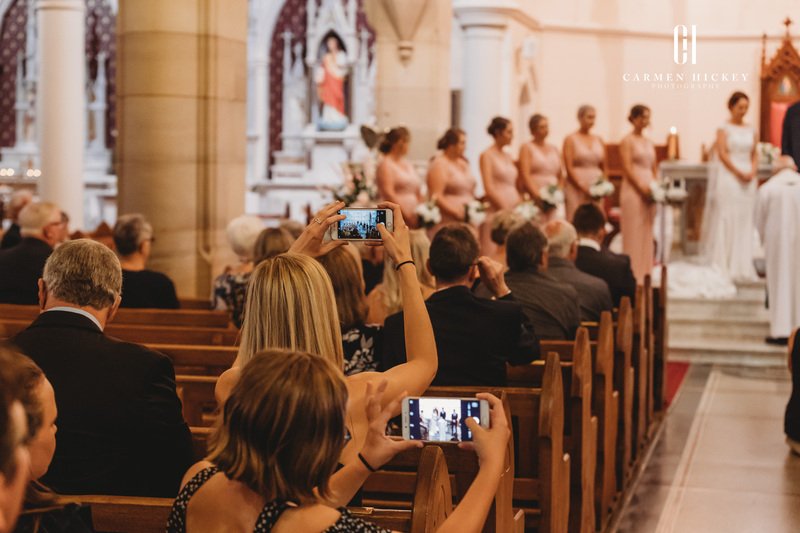 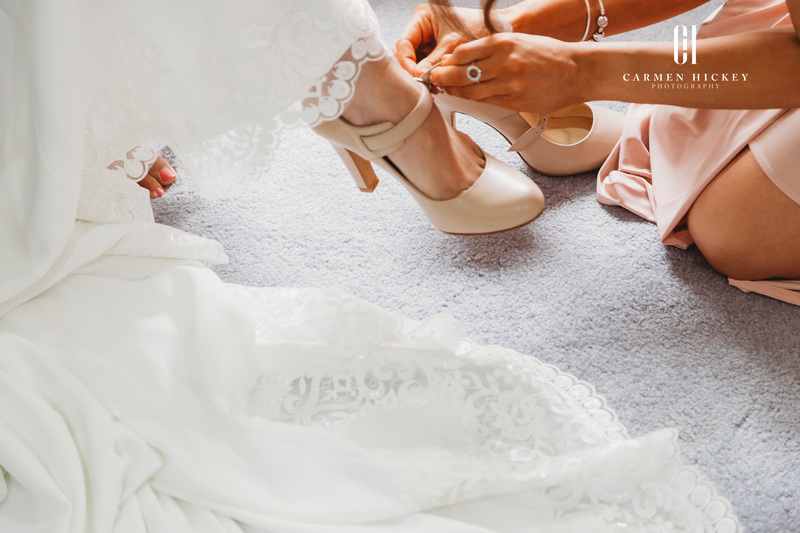 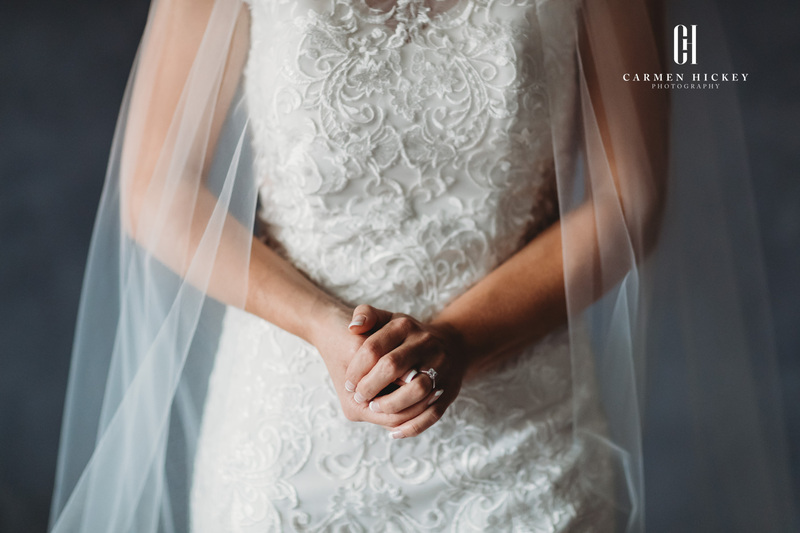 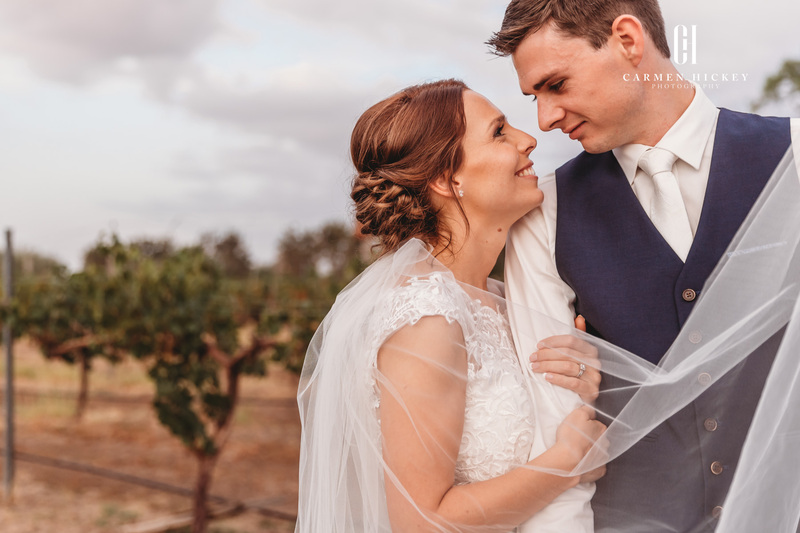 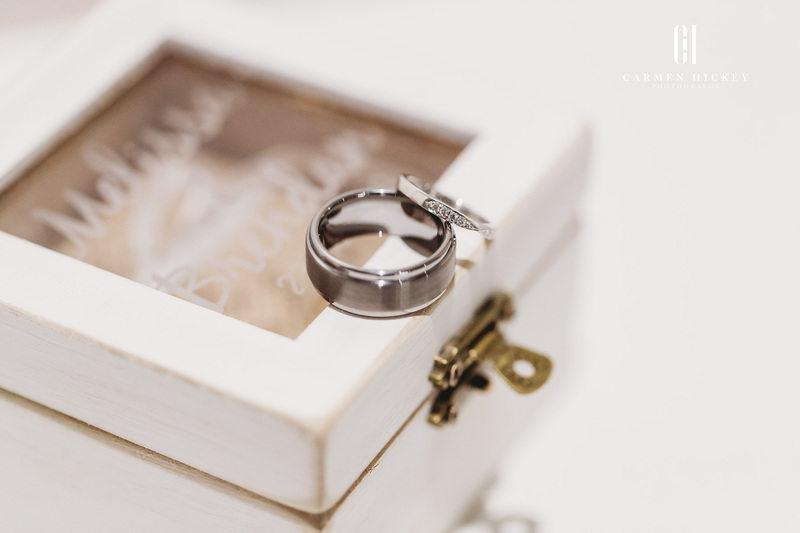 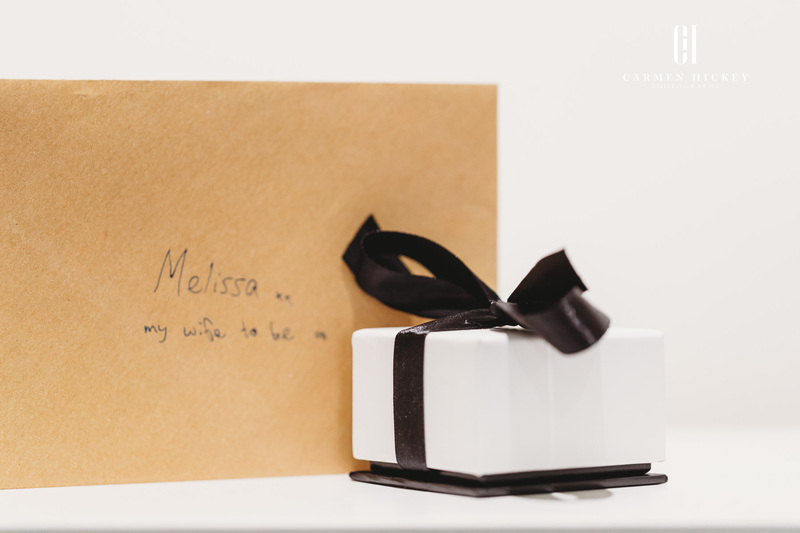 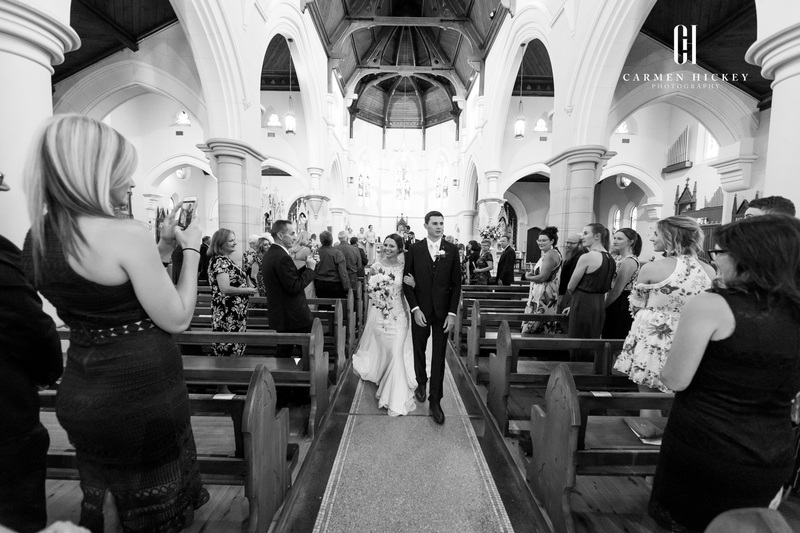 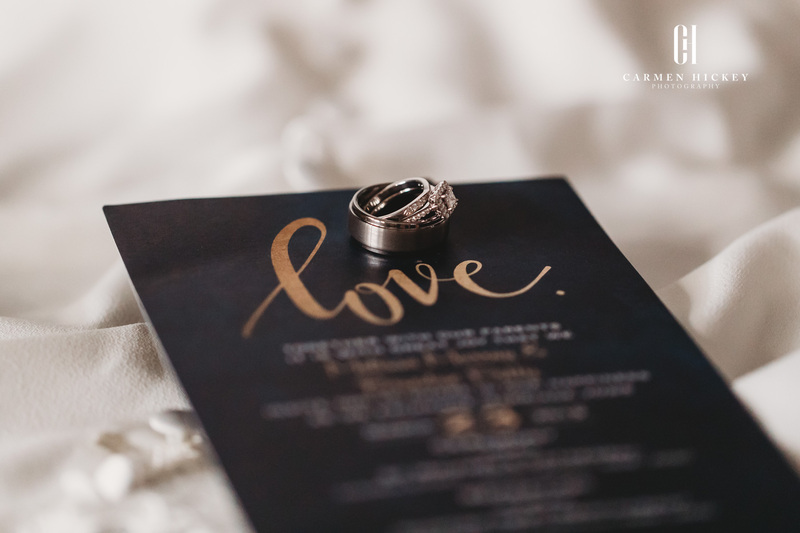 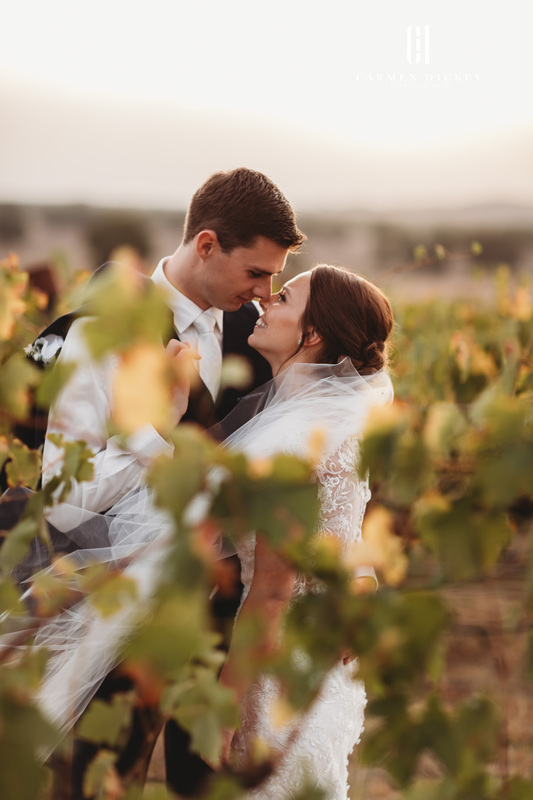 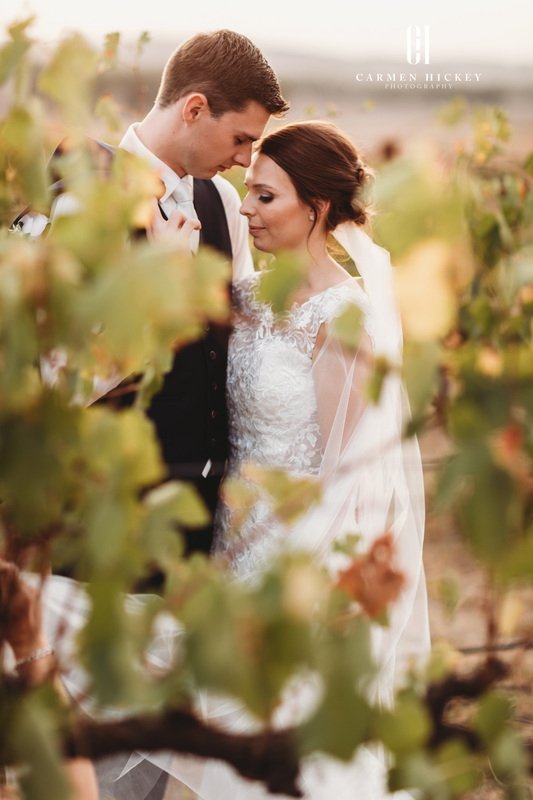 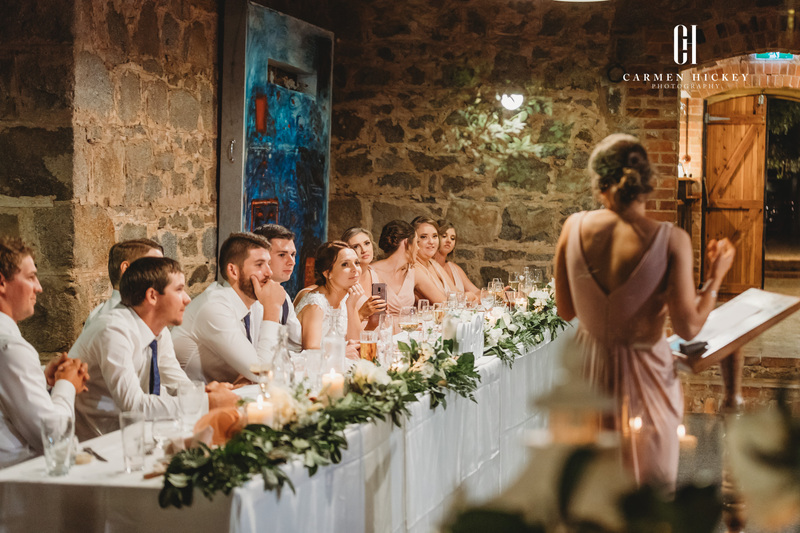 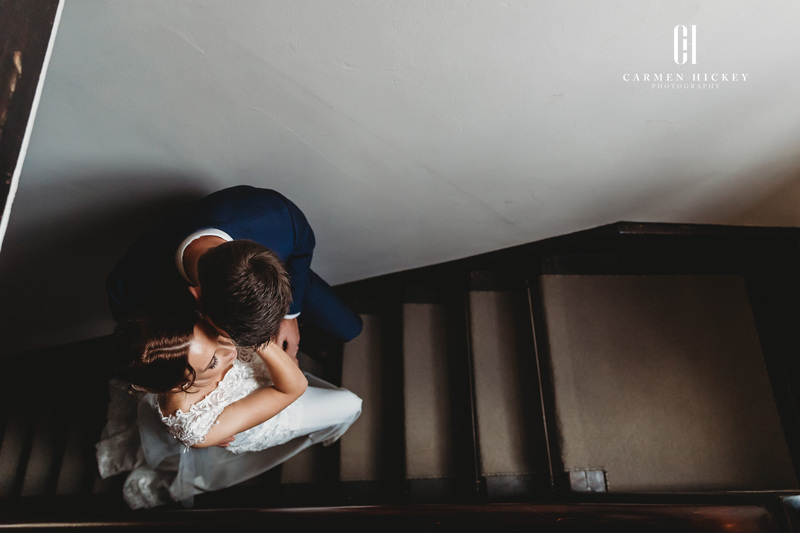 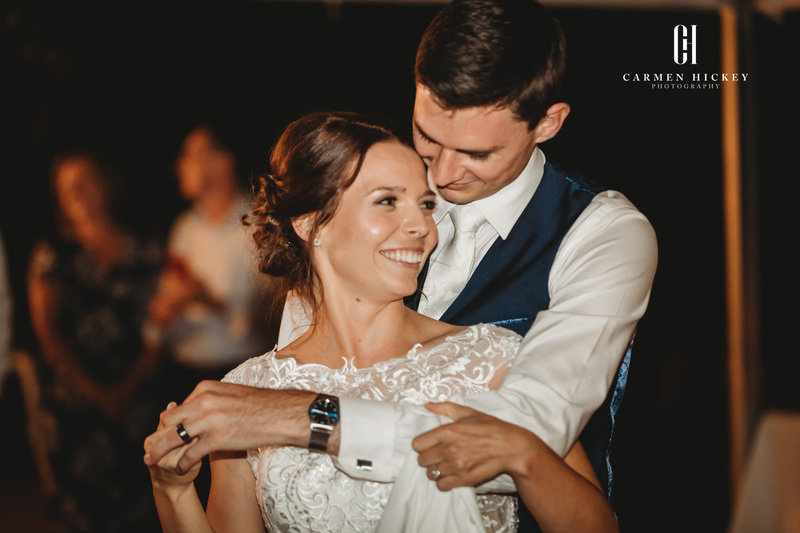 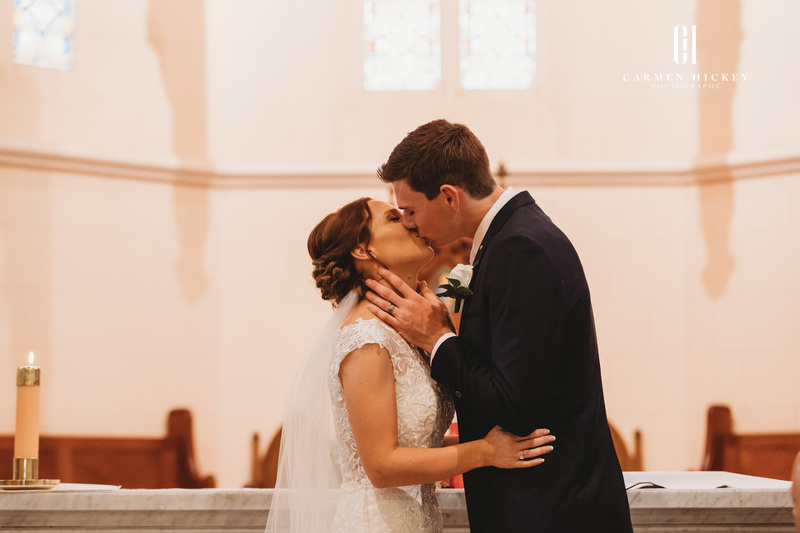 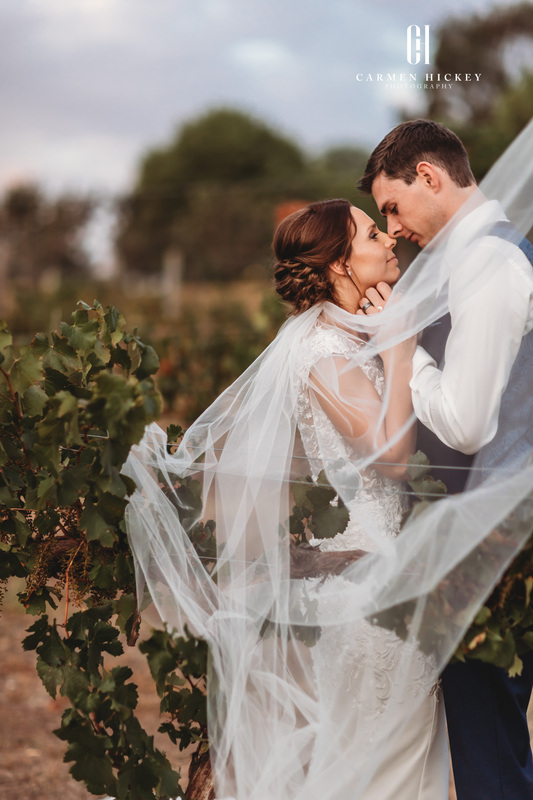 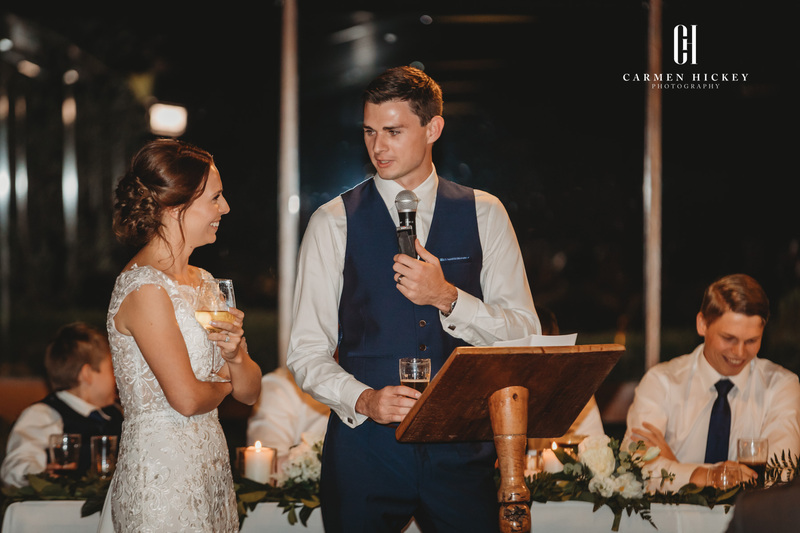 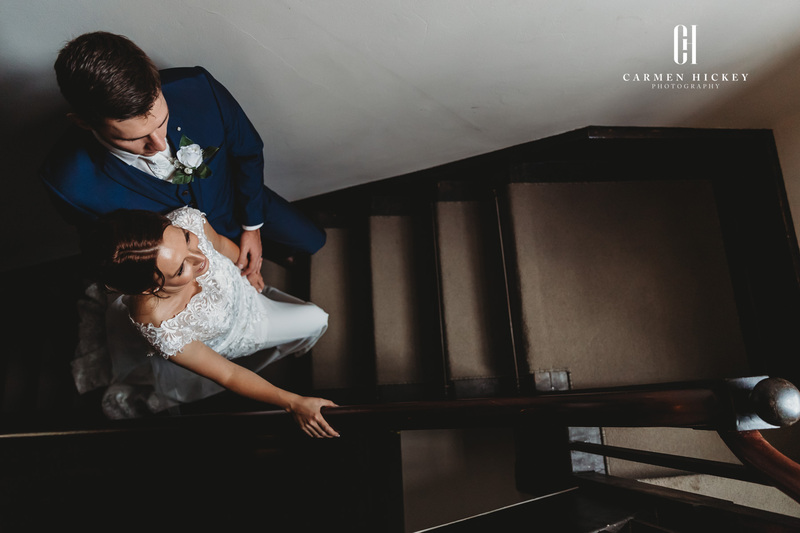 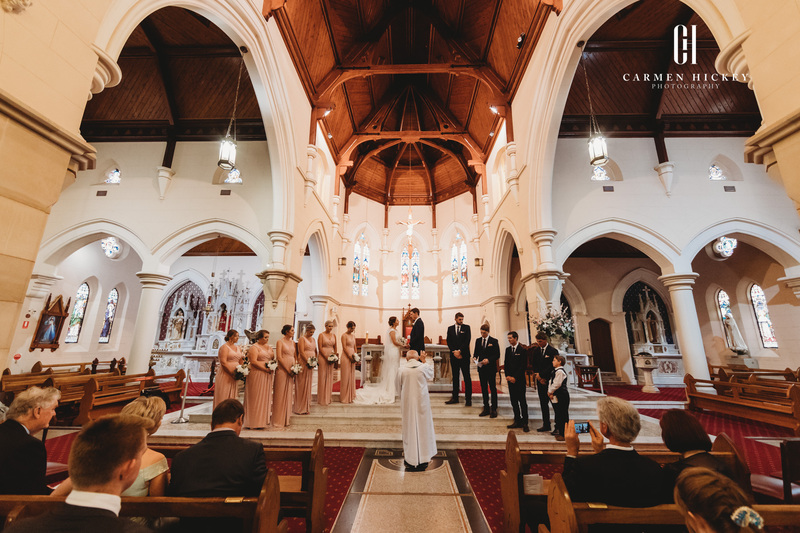 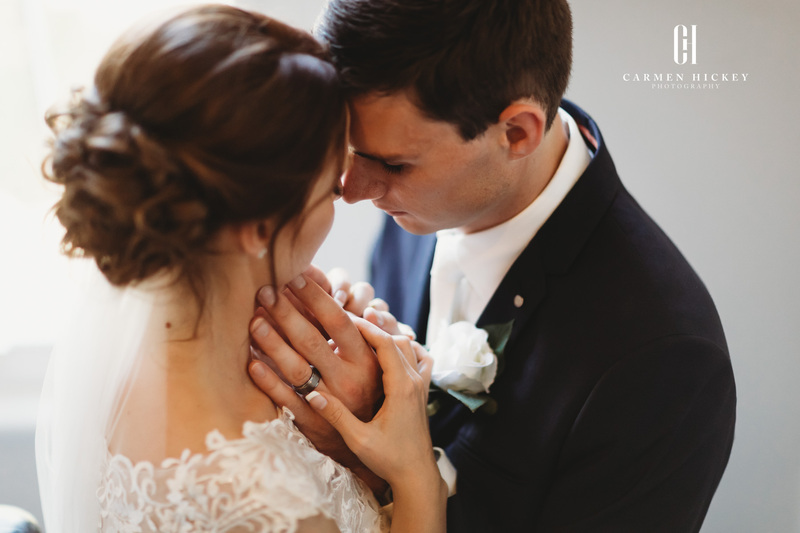 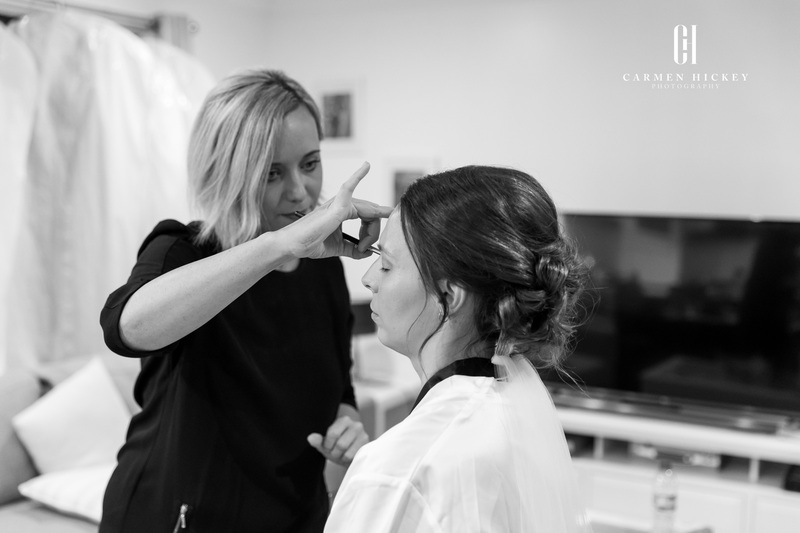 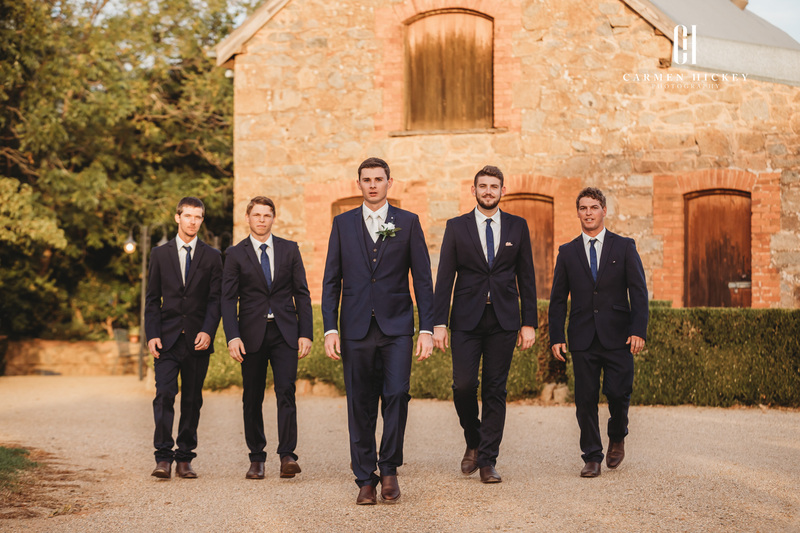 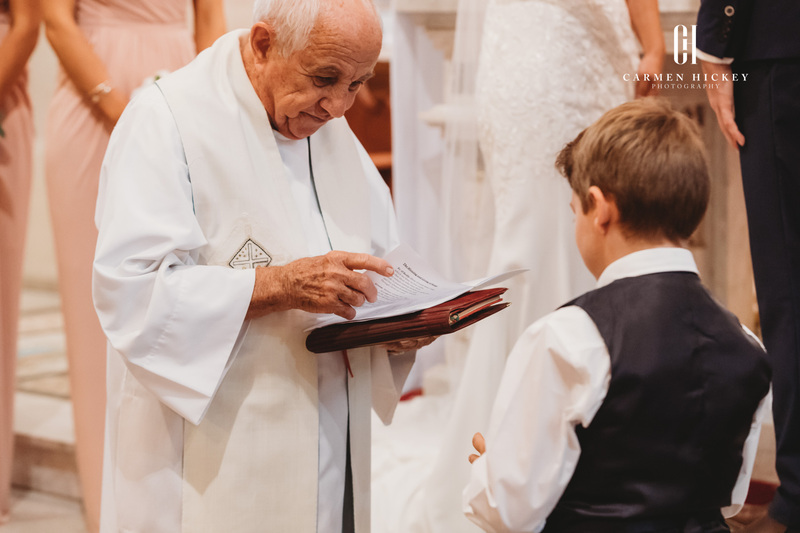 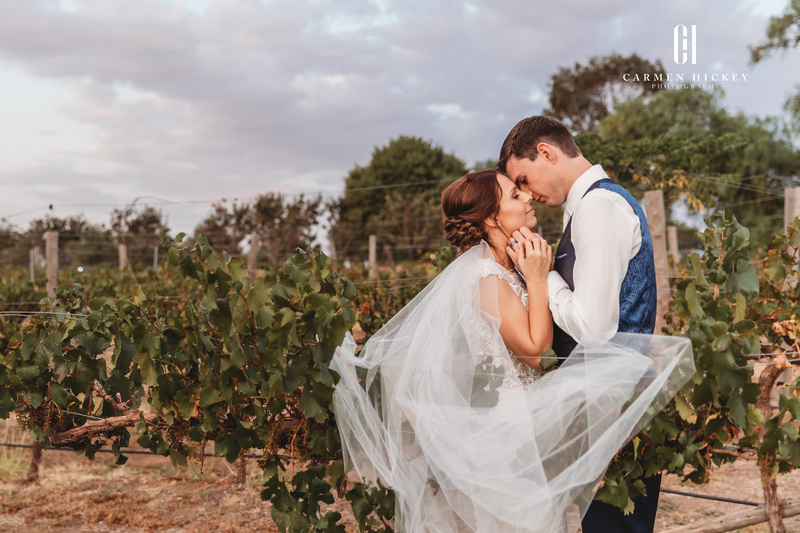 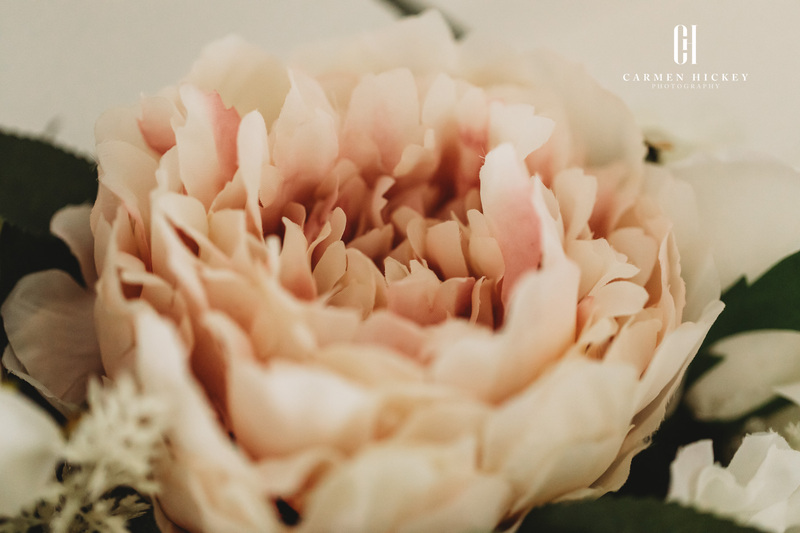 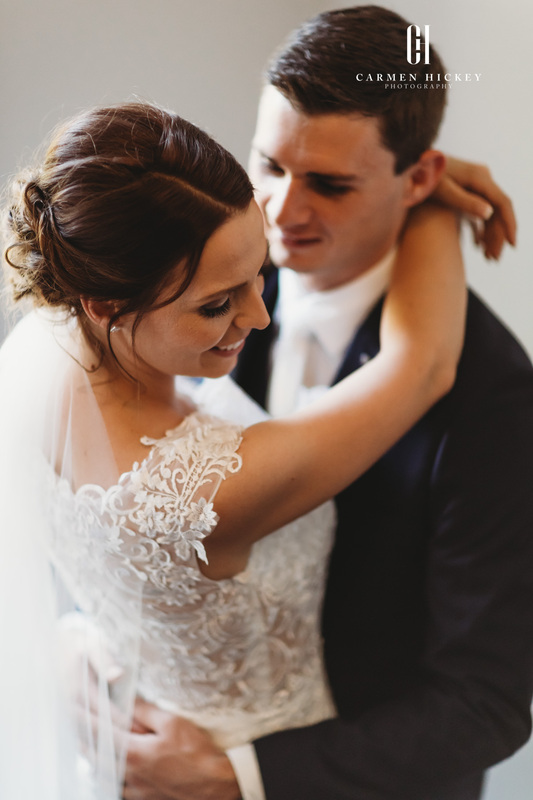 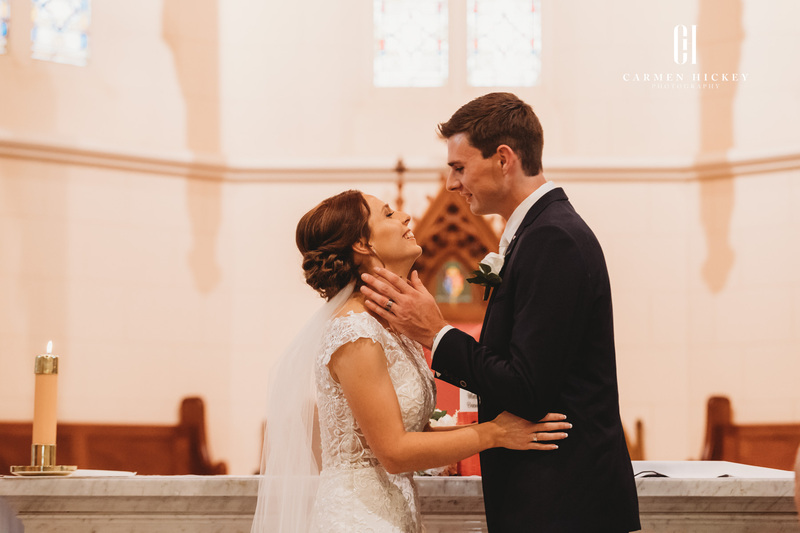 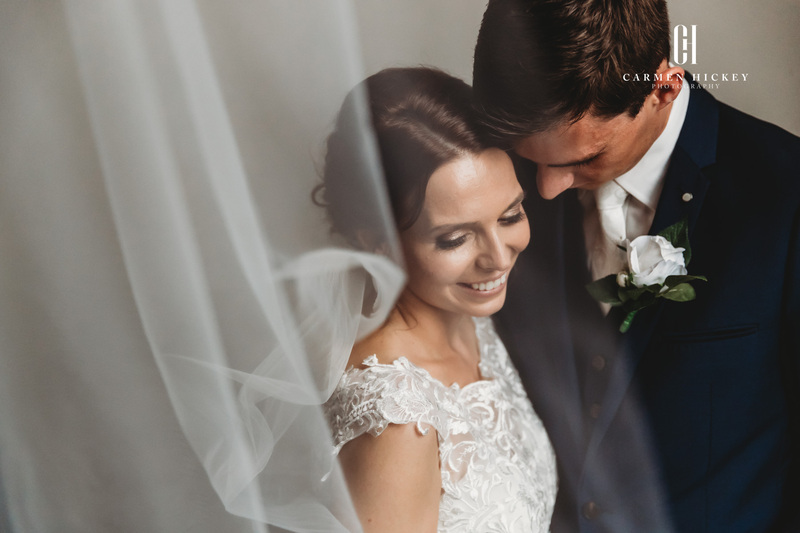 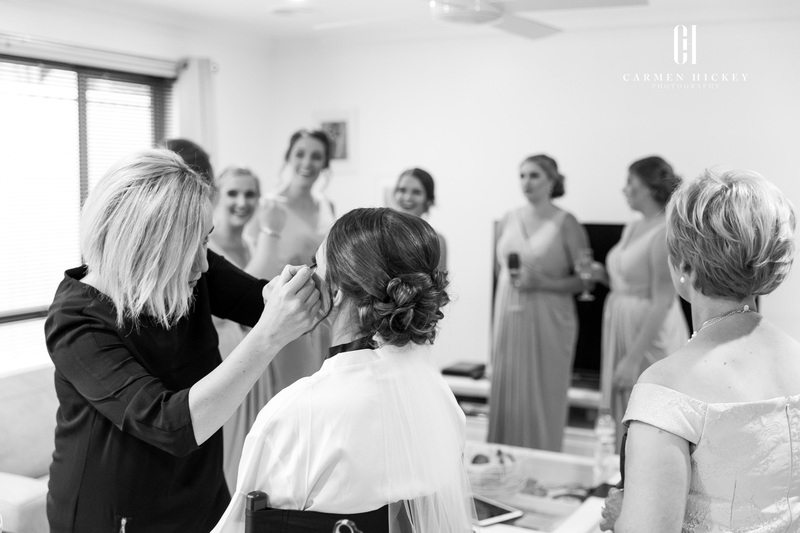 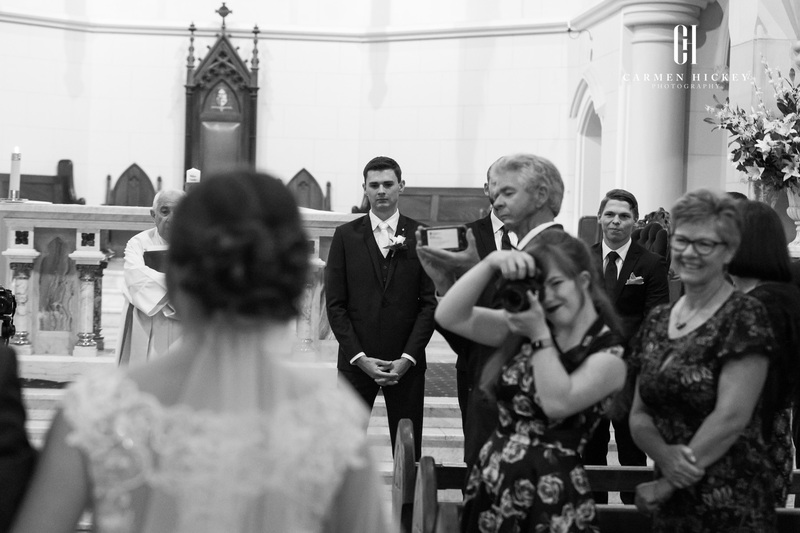 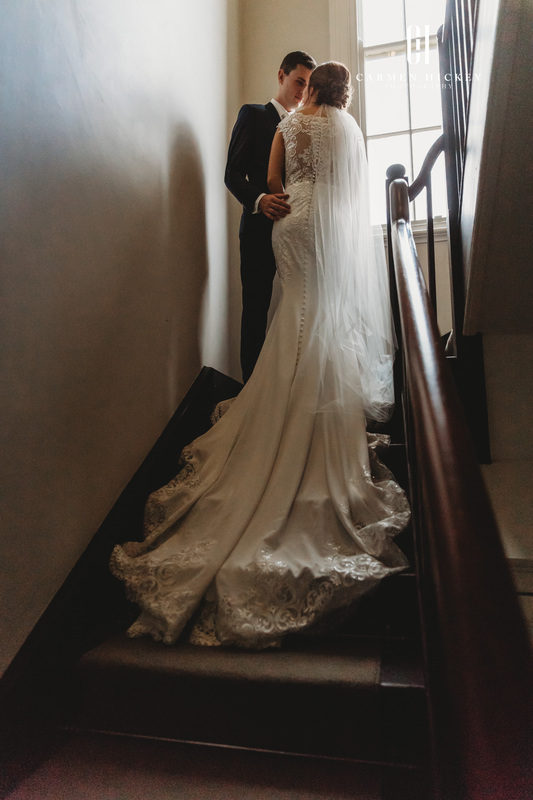 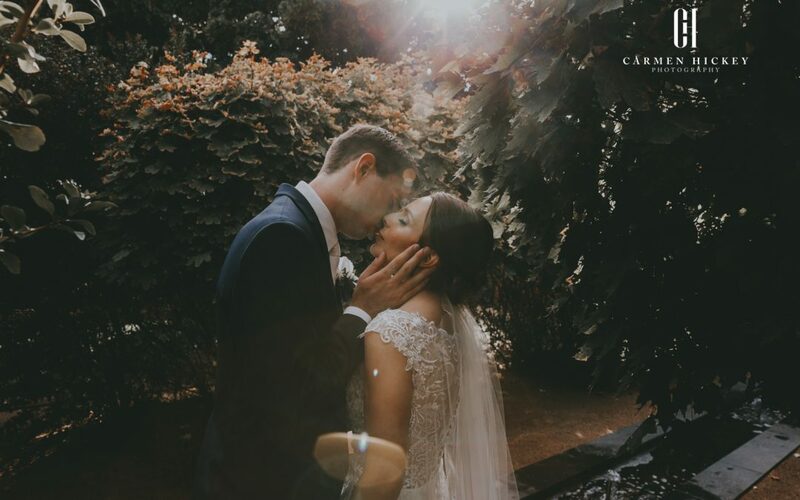 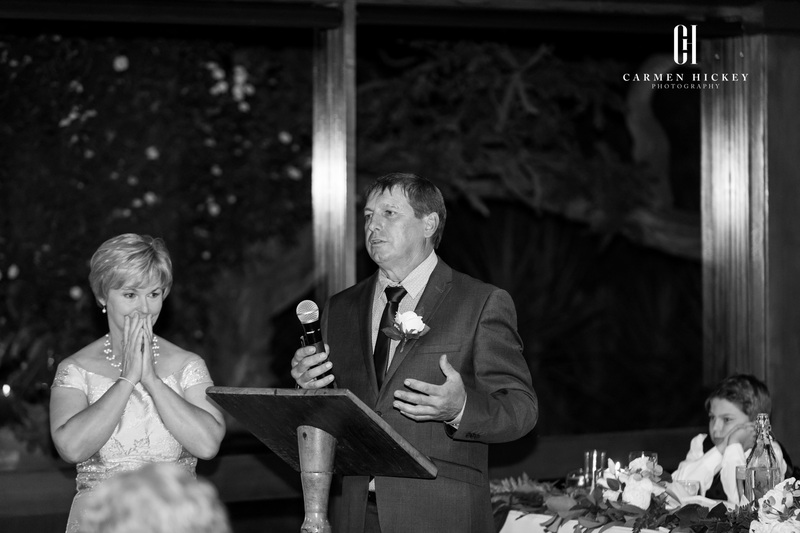 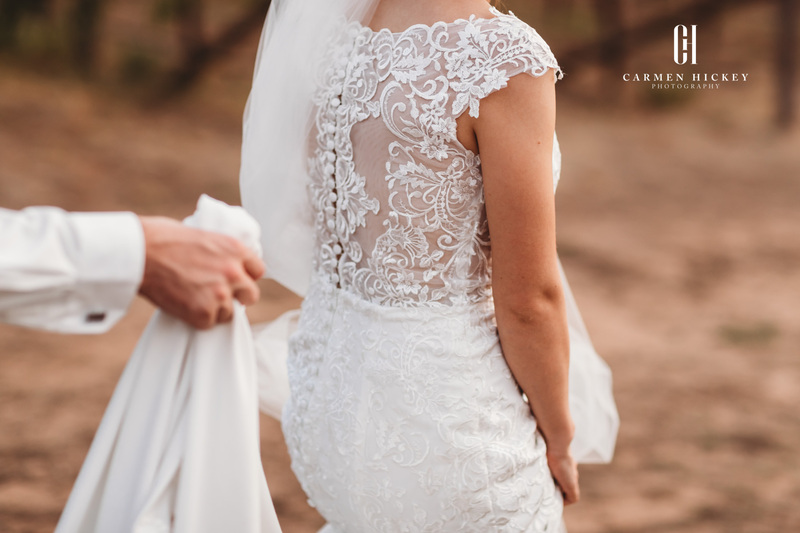 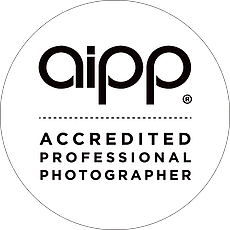 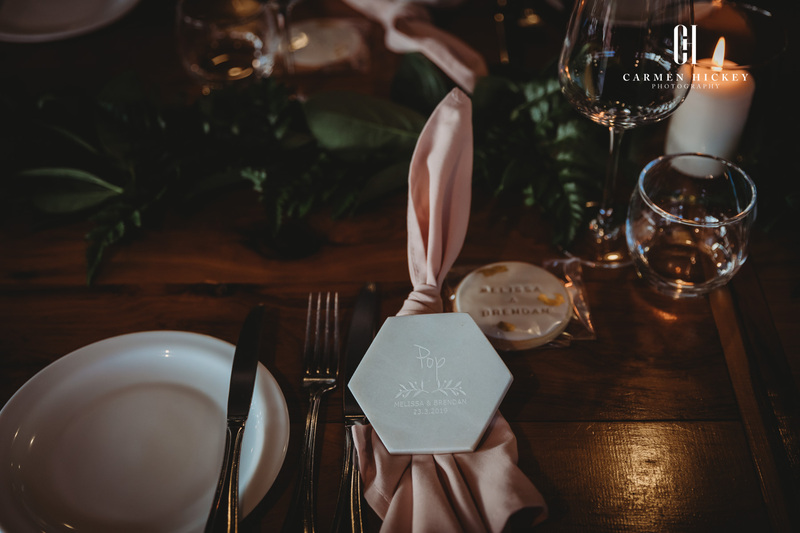 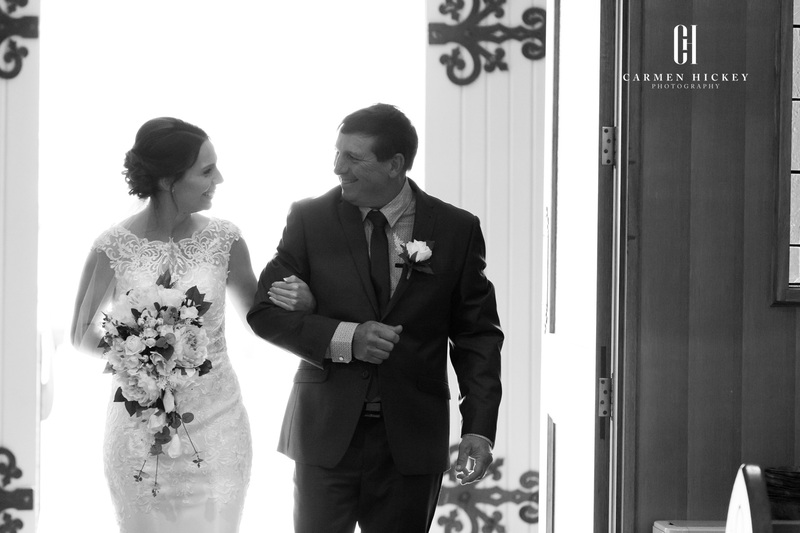 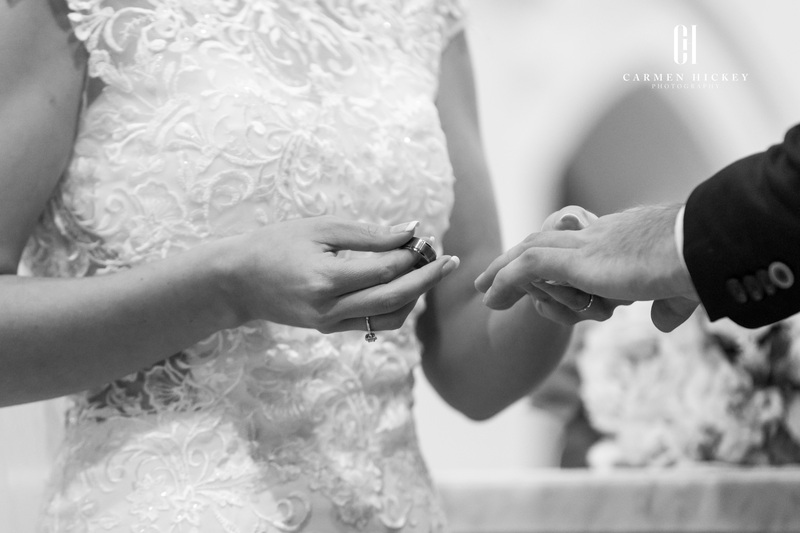 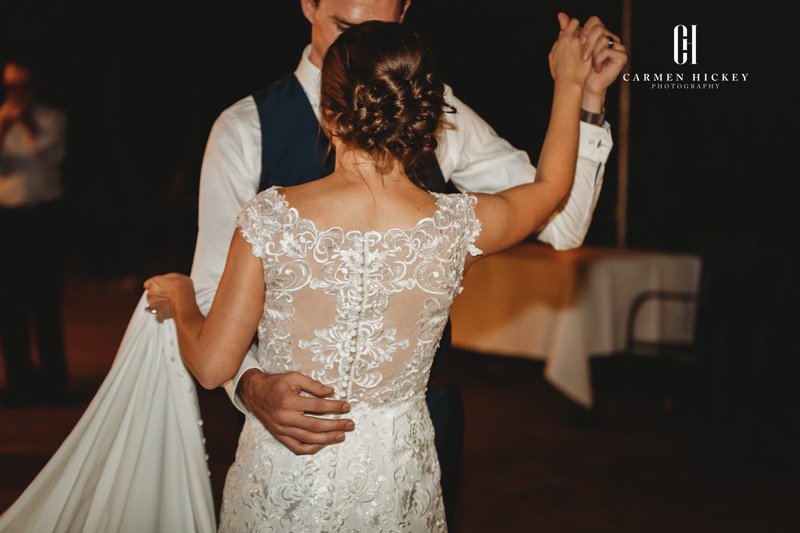 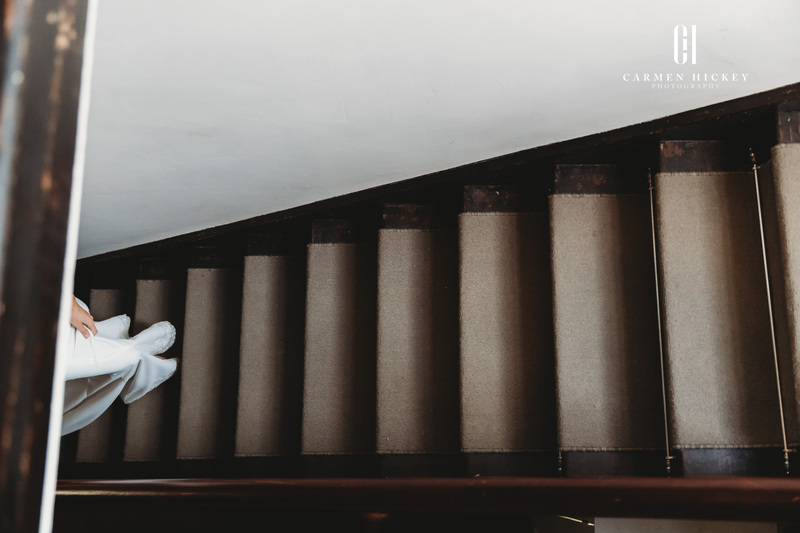 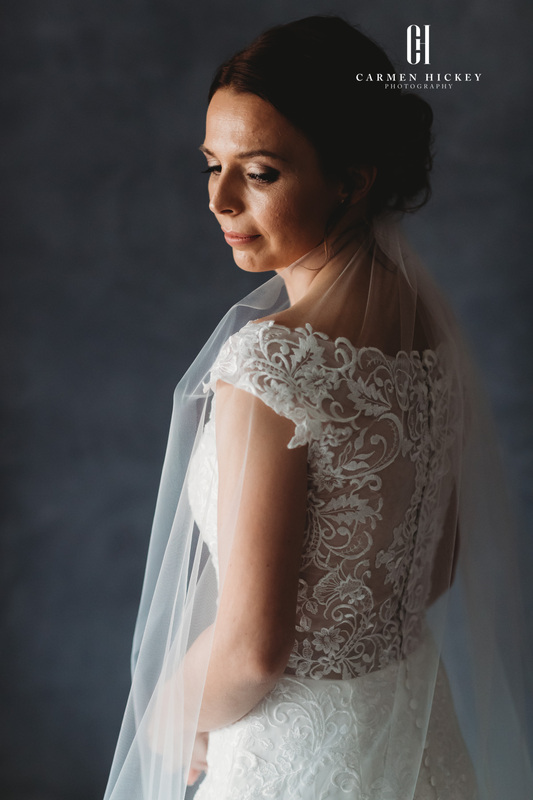 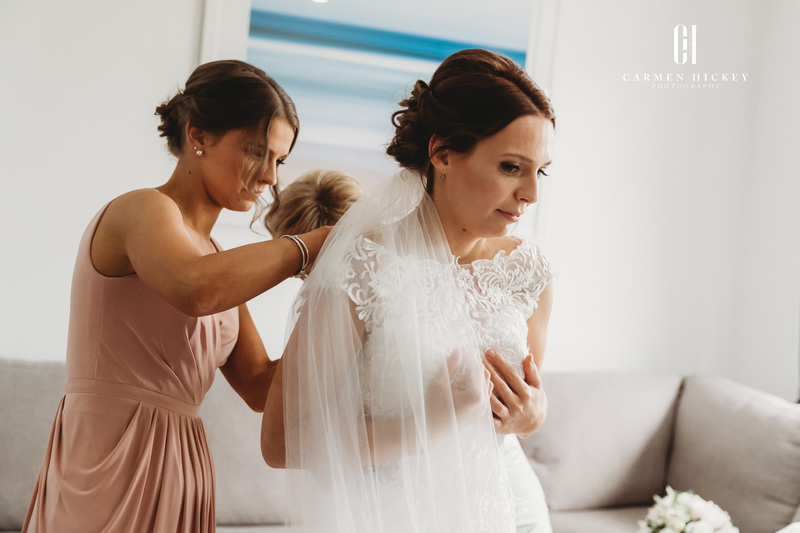 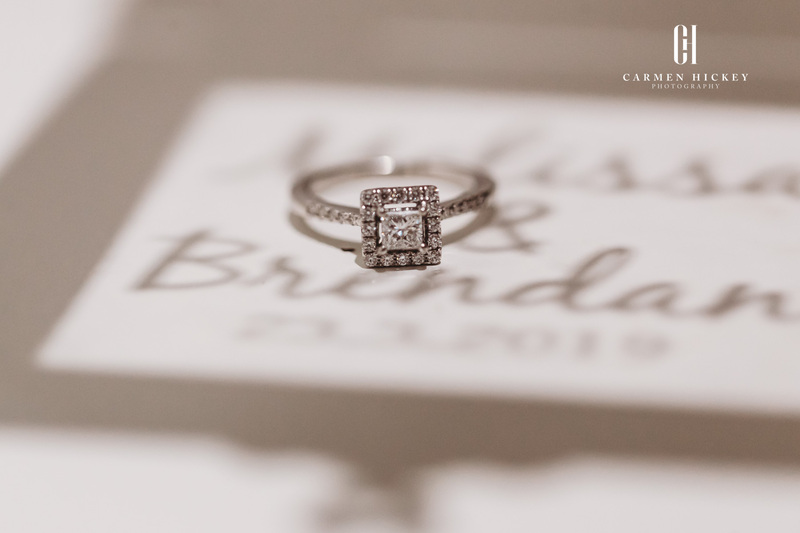 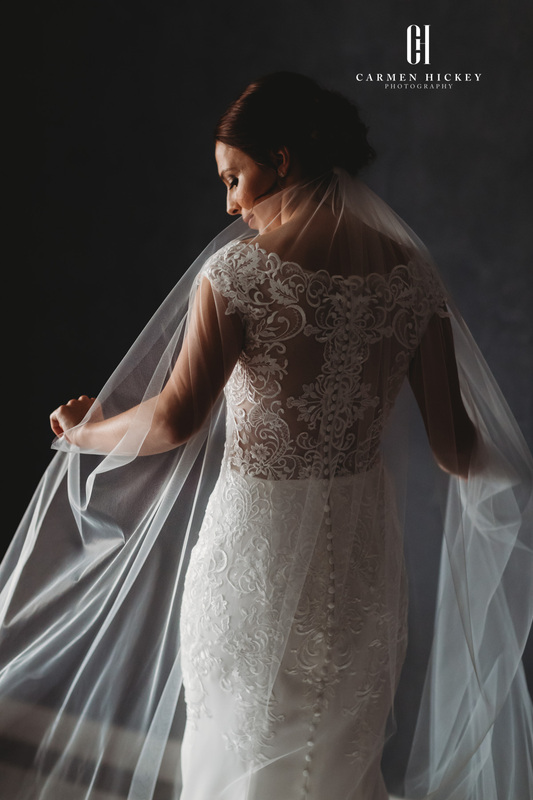 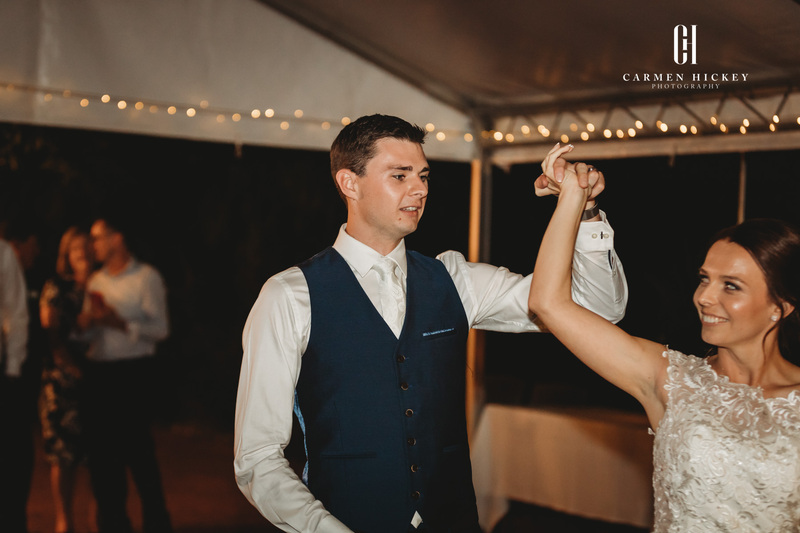 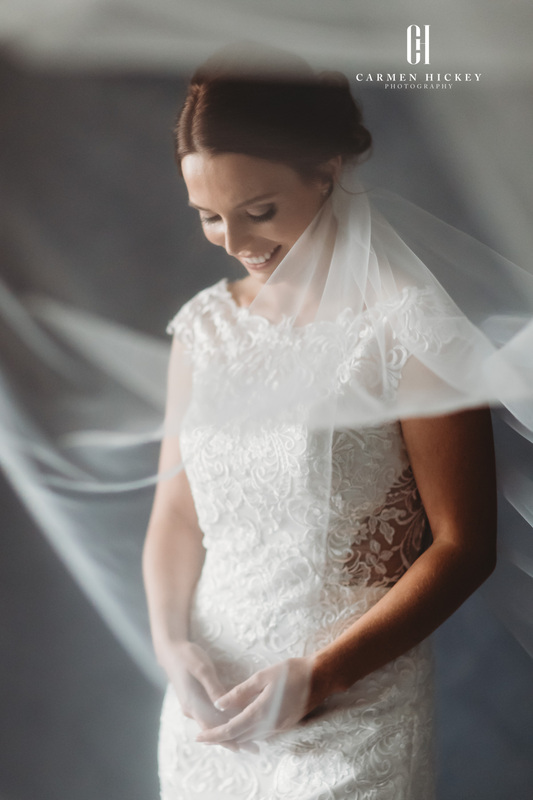 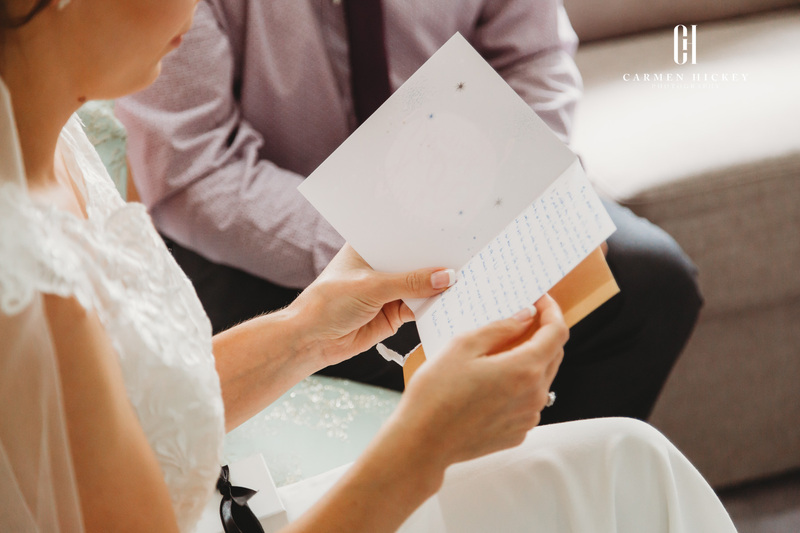 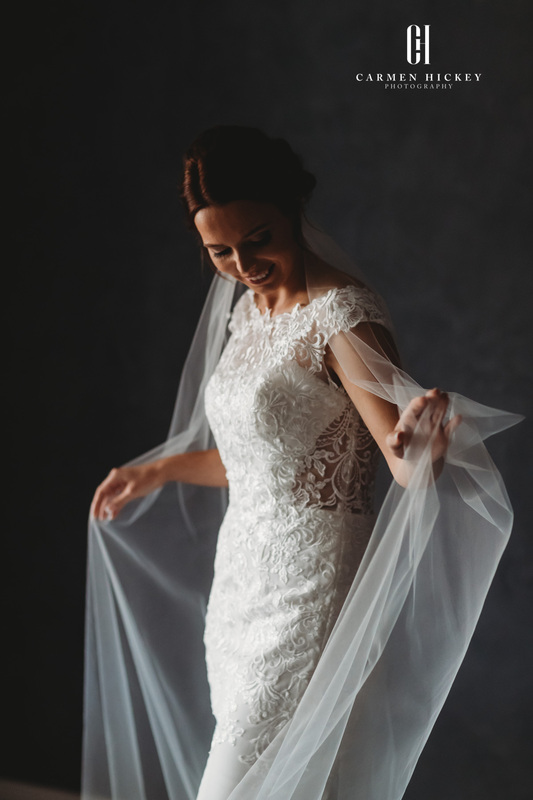 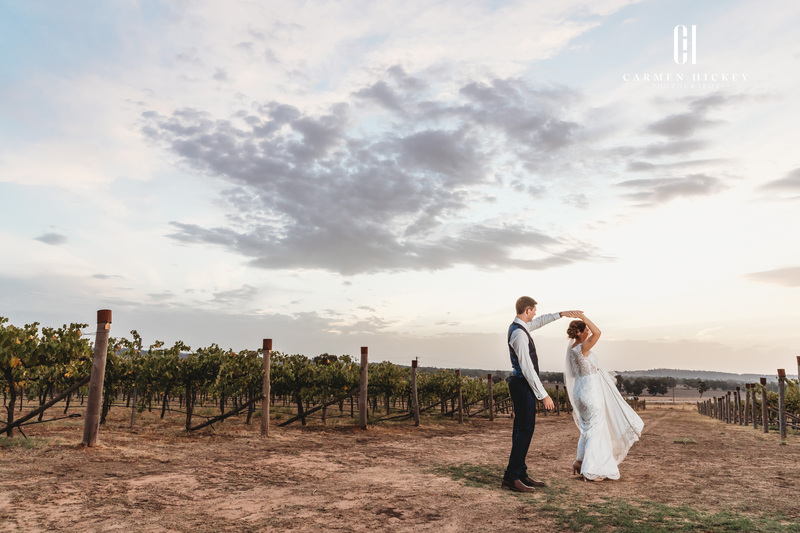 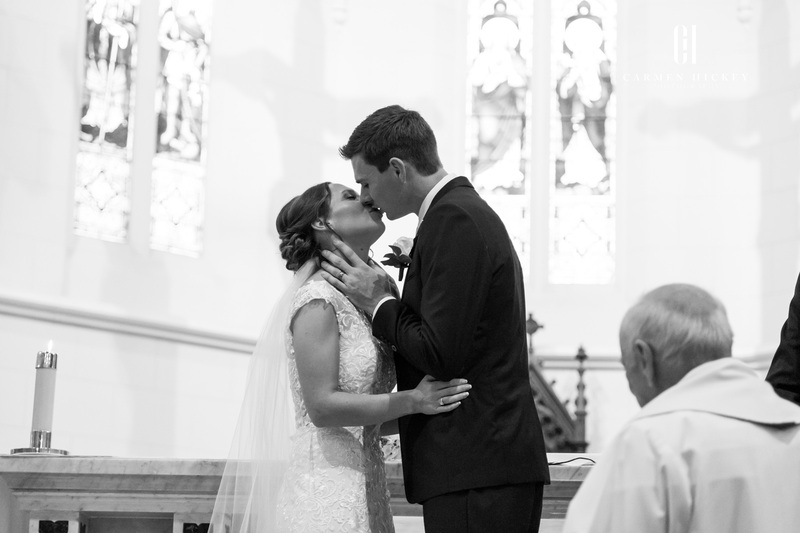 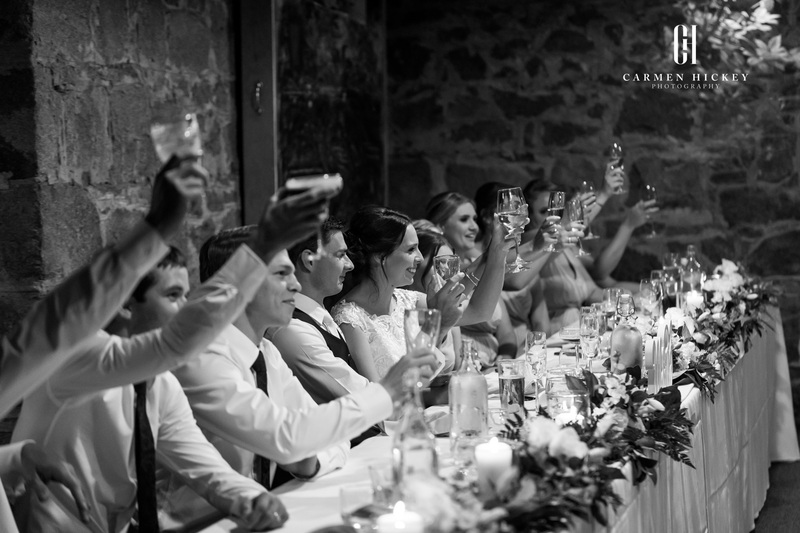 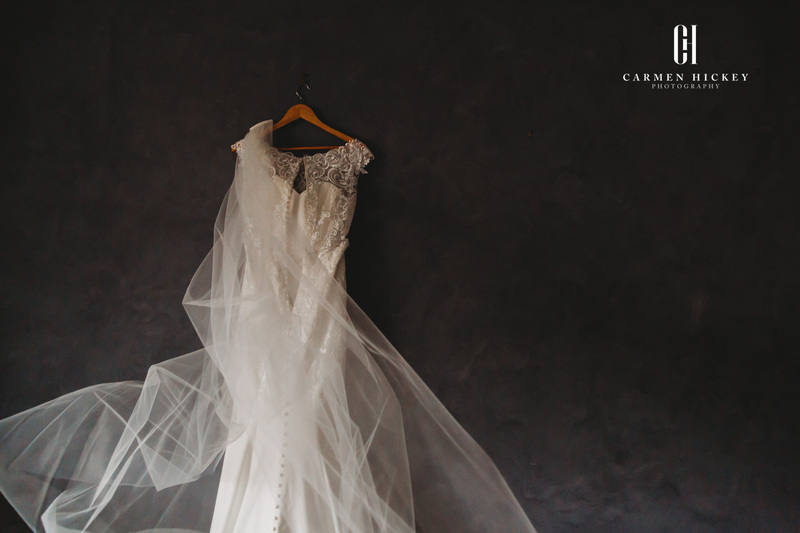 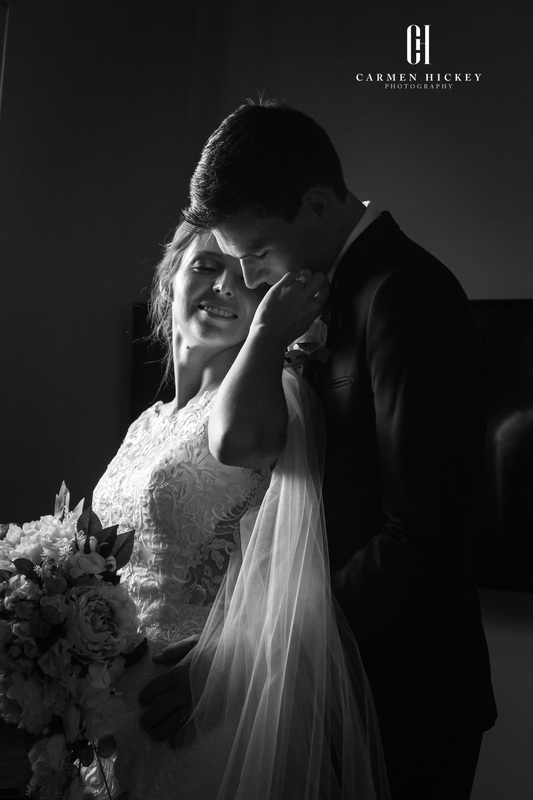 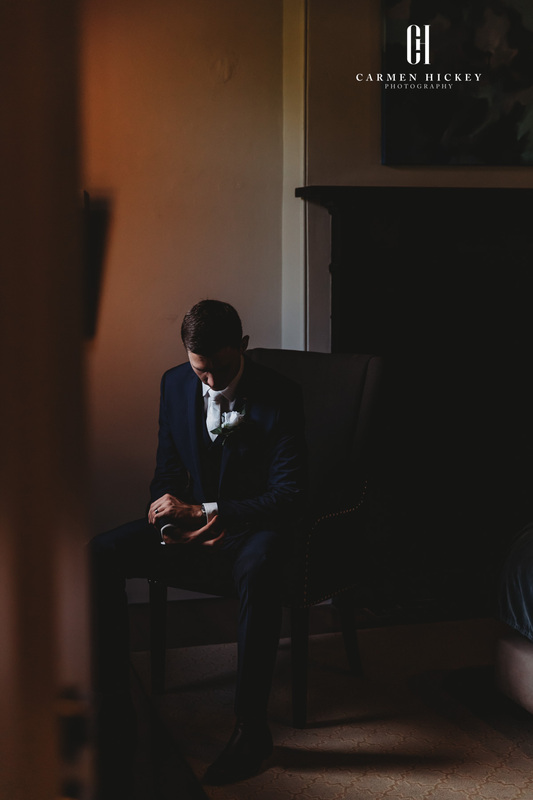 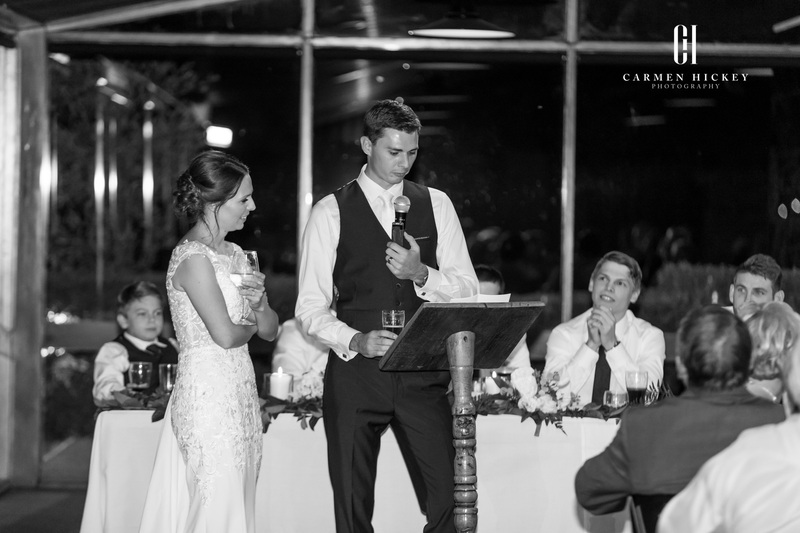 Carmen photographs weddings in Sydney, Melbourne and Canberra. 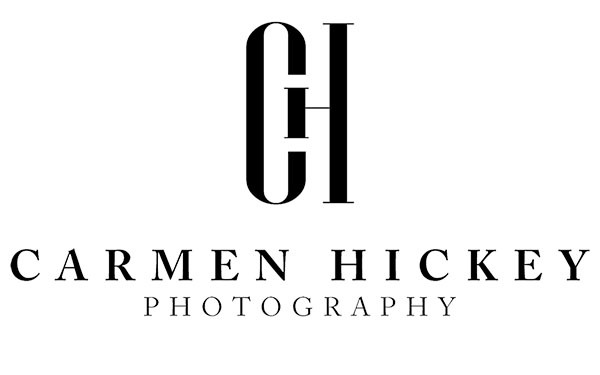 Additionally, Carmen has photographed weddings Internationally including in the iconic Valley of Fire in Nevada, USA.